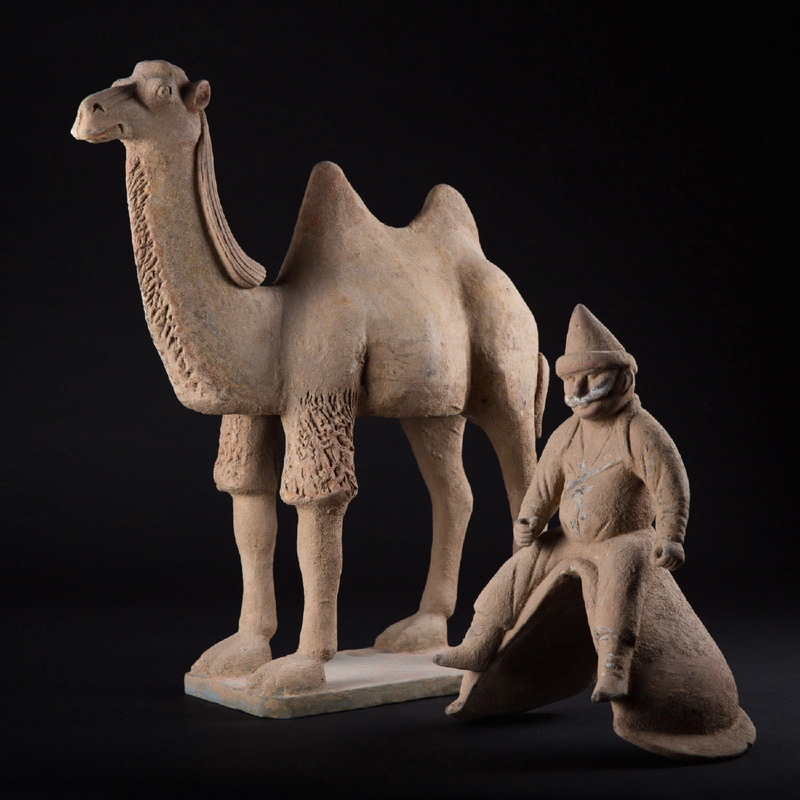 This “Country of the Middle” a vast, ever-changing geographic and cultural patchwork, contradicts the theory of the inescapable decline of civilizations. 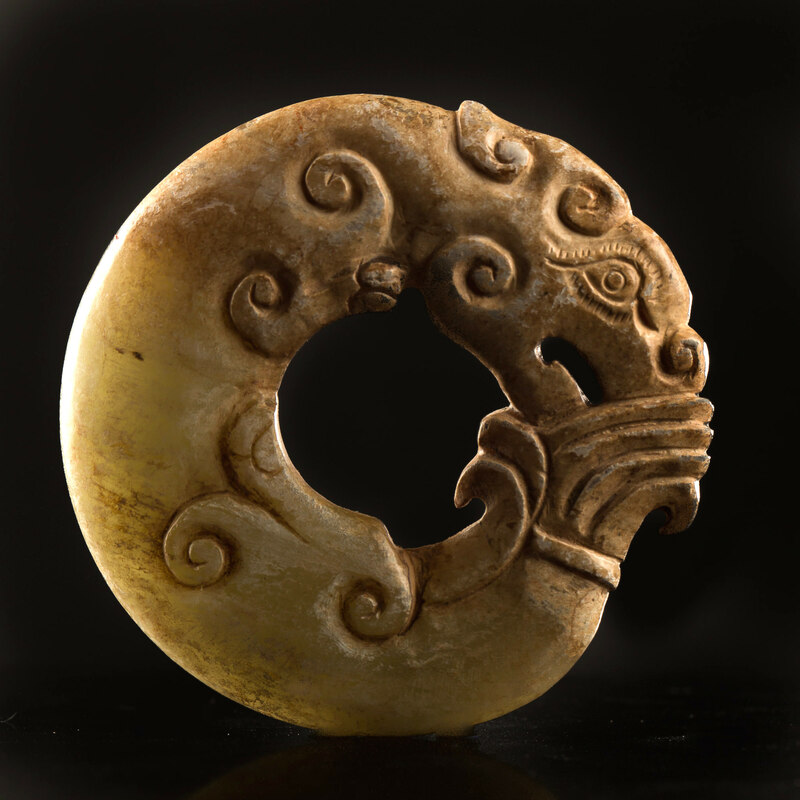 Its complicated and tumultuous history is one of a succession of ferocious wars and joyful peace, but also of people unified by a common pictographic writing that, since it could be detached from phonetics, could be used by everyone, Mongols, Tibetans and Manchurians alike. 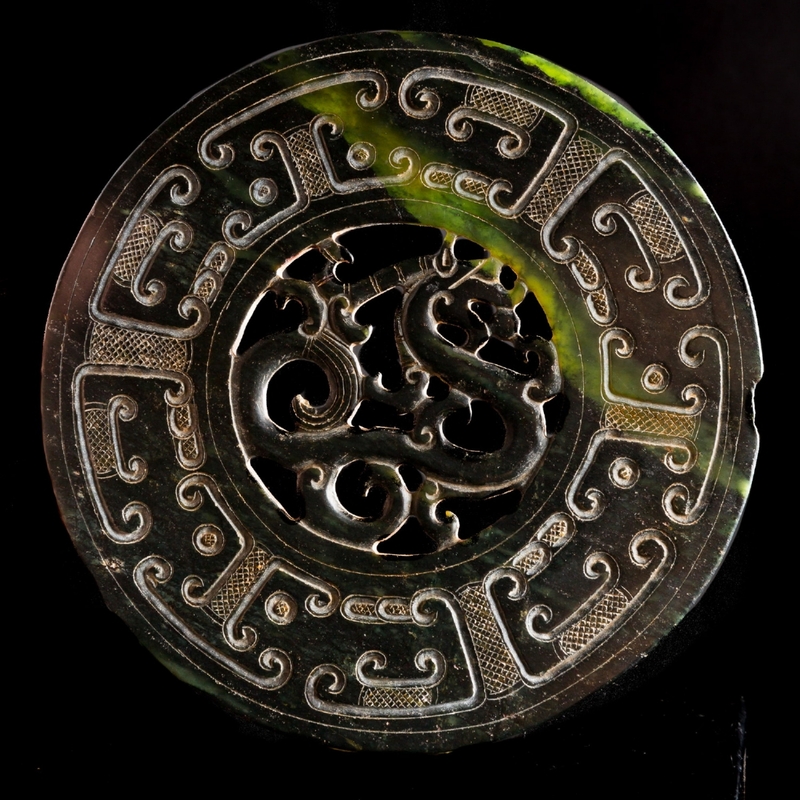 Thus, the first Chinese art form was calligraphy, from which all later Chinese art would take its cue. 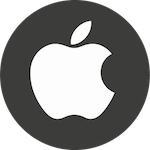 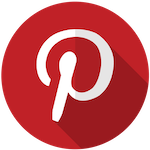 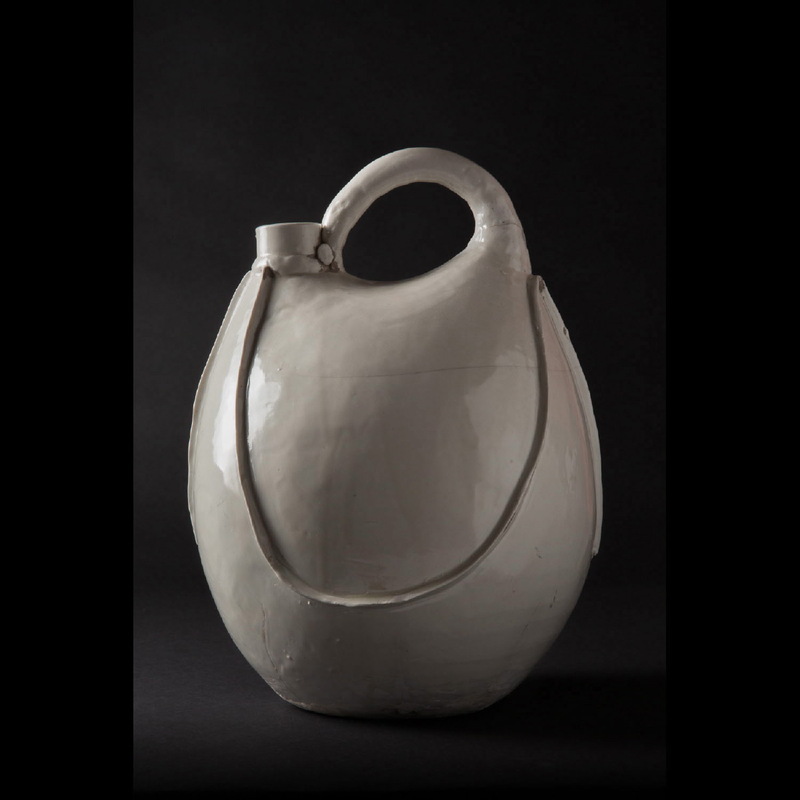 Calling for extreme simplicity and economy of both intellectual and graphic means, it allowed for the union of interior and exterior harmony, man and his environment. 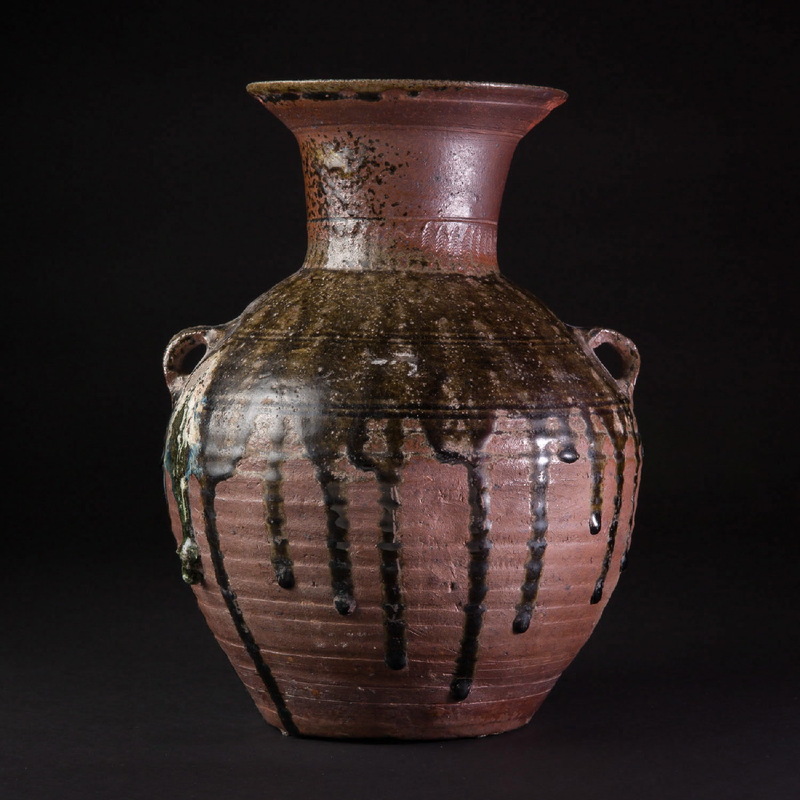 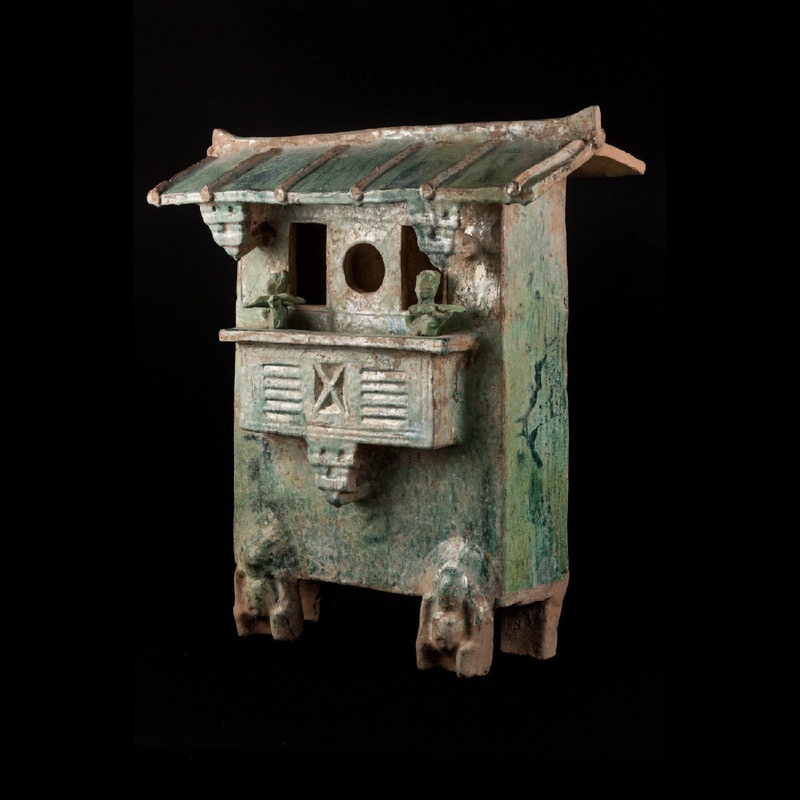 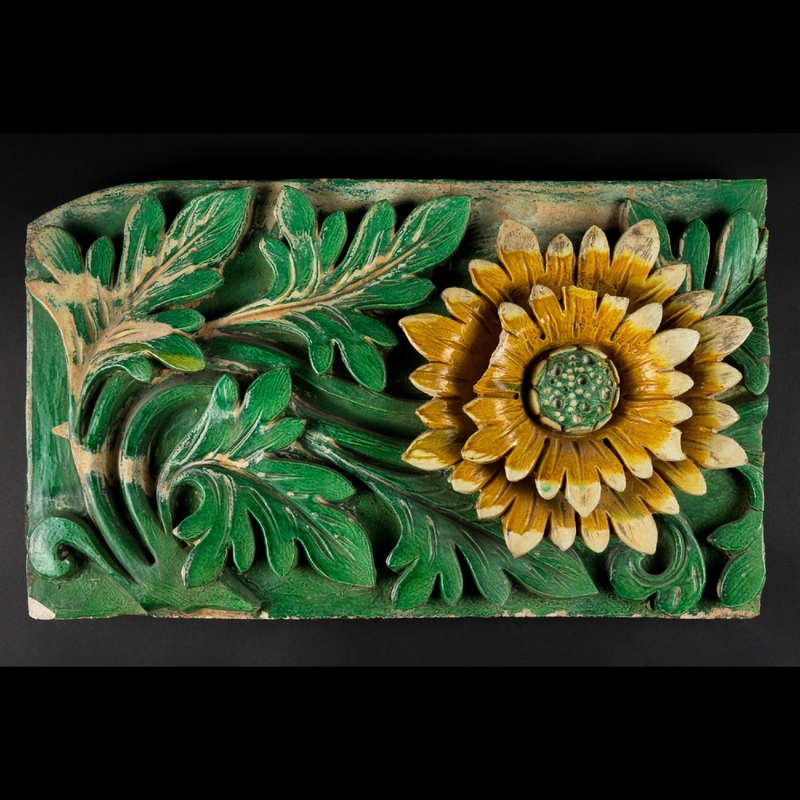 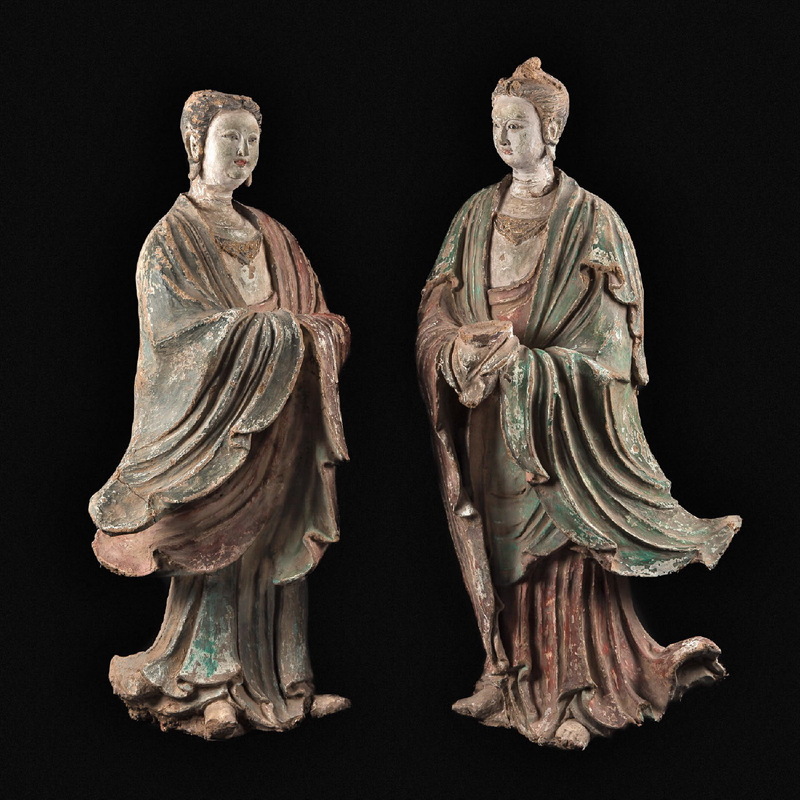 Establishing repetition as a practice, it greatly influenced the development of Chinese arts. 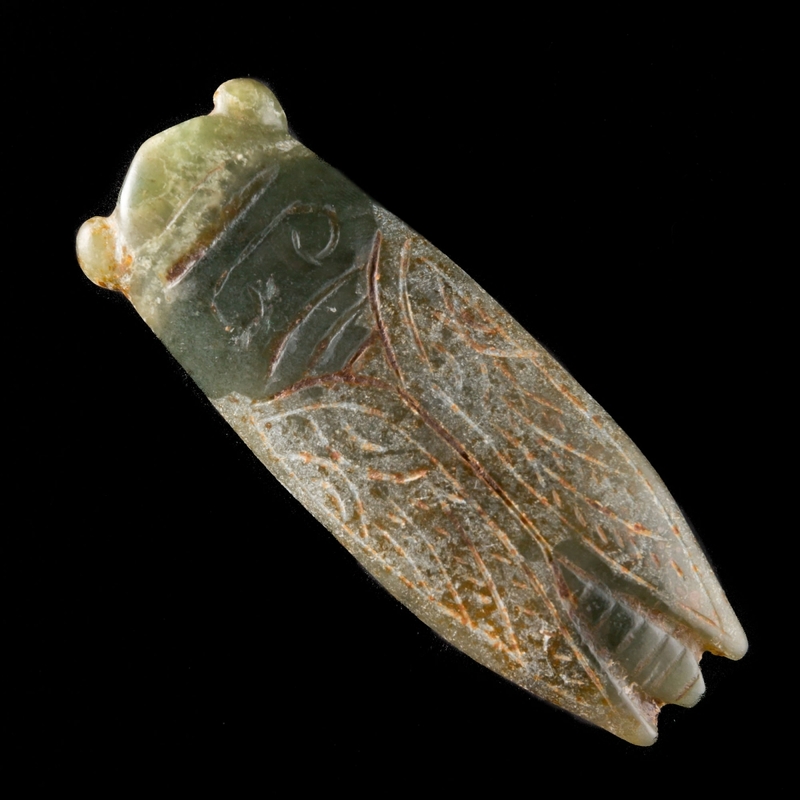 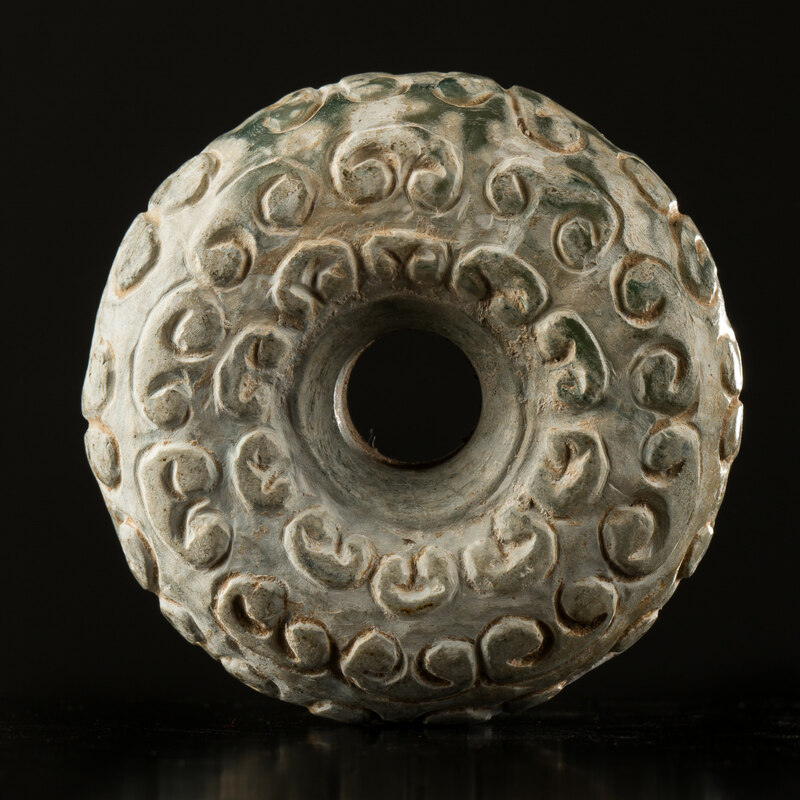 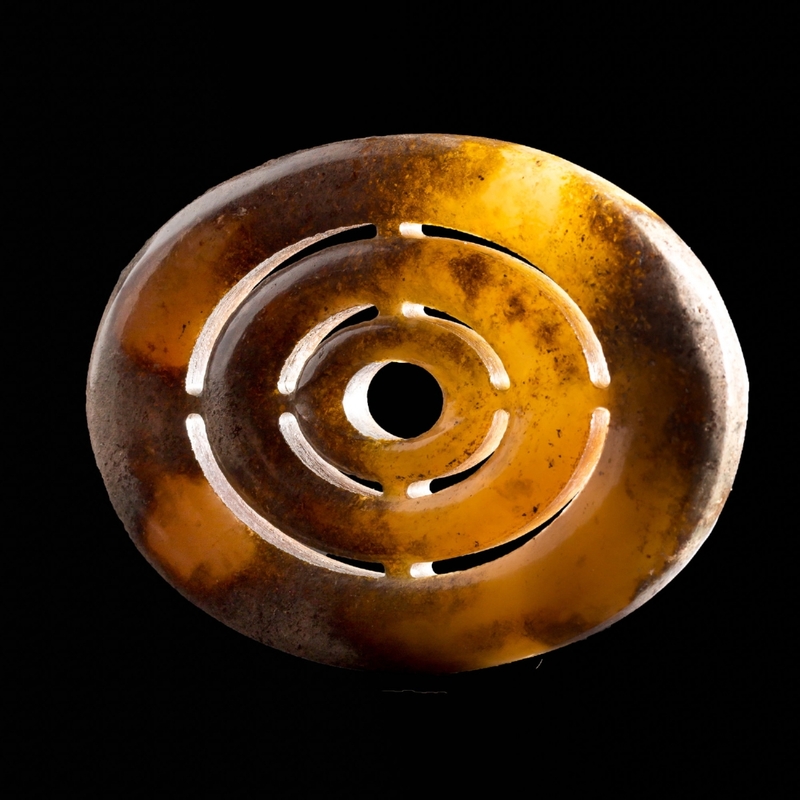 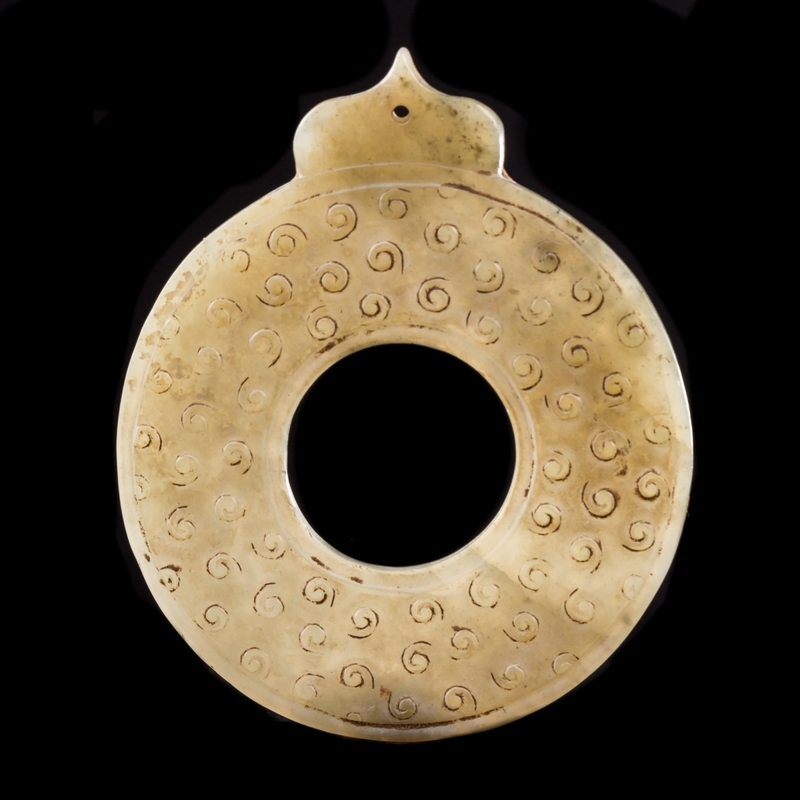 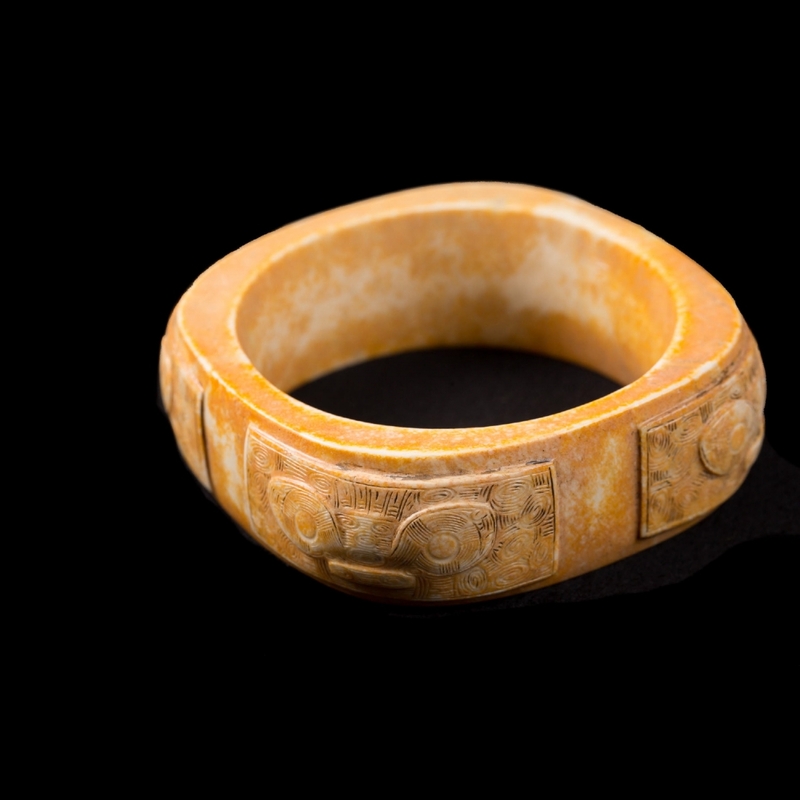 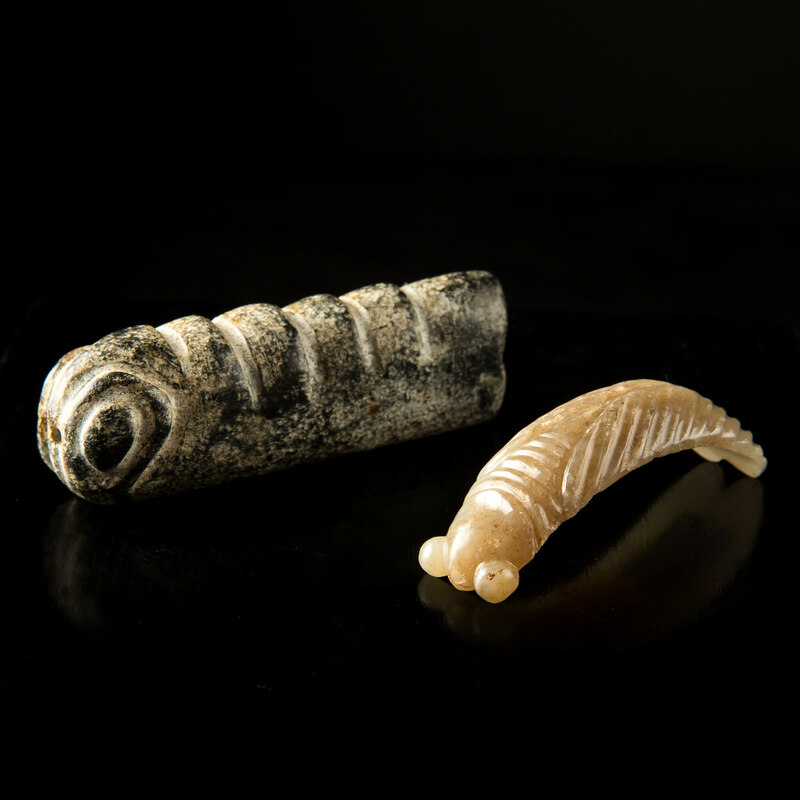 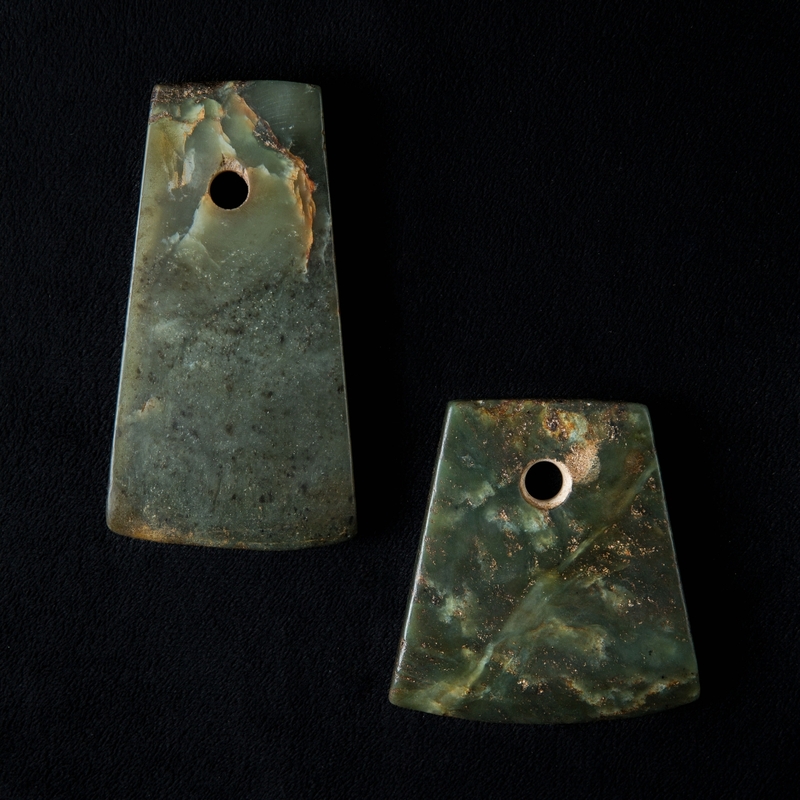 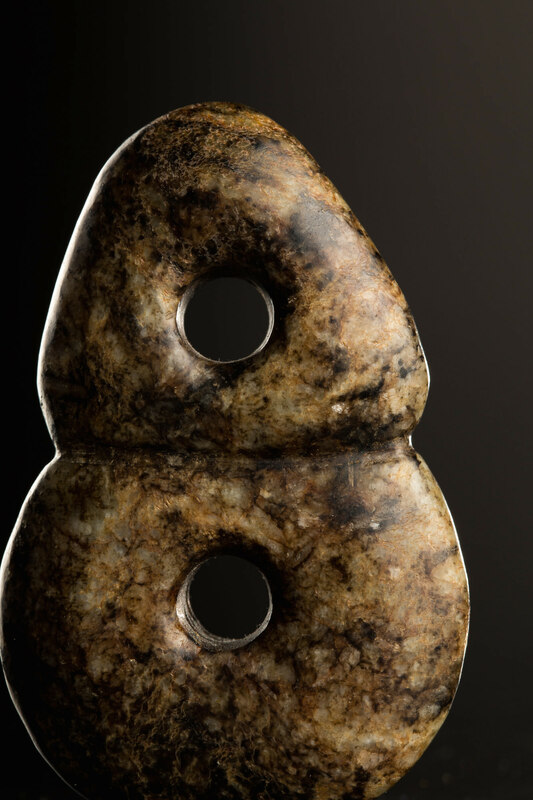 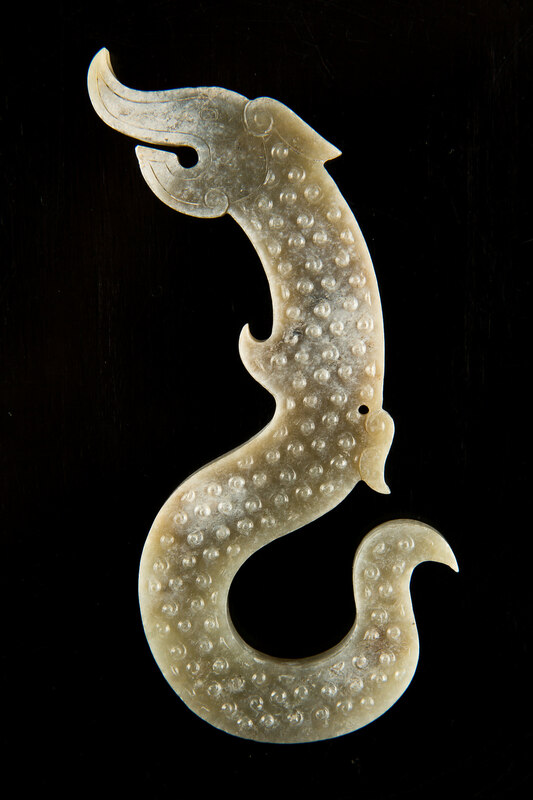 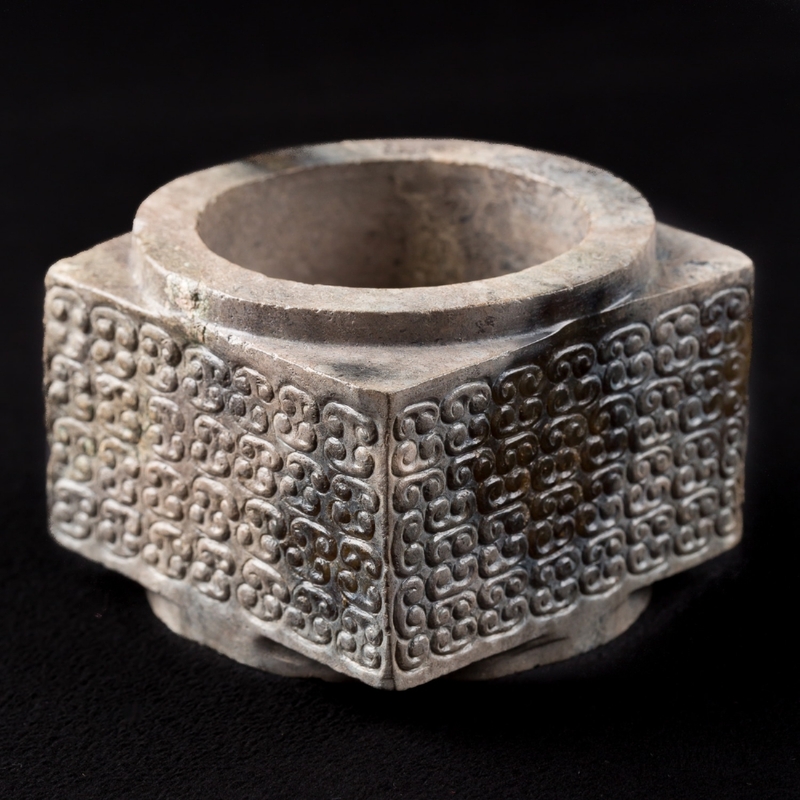 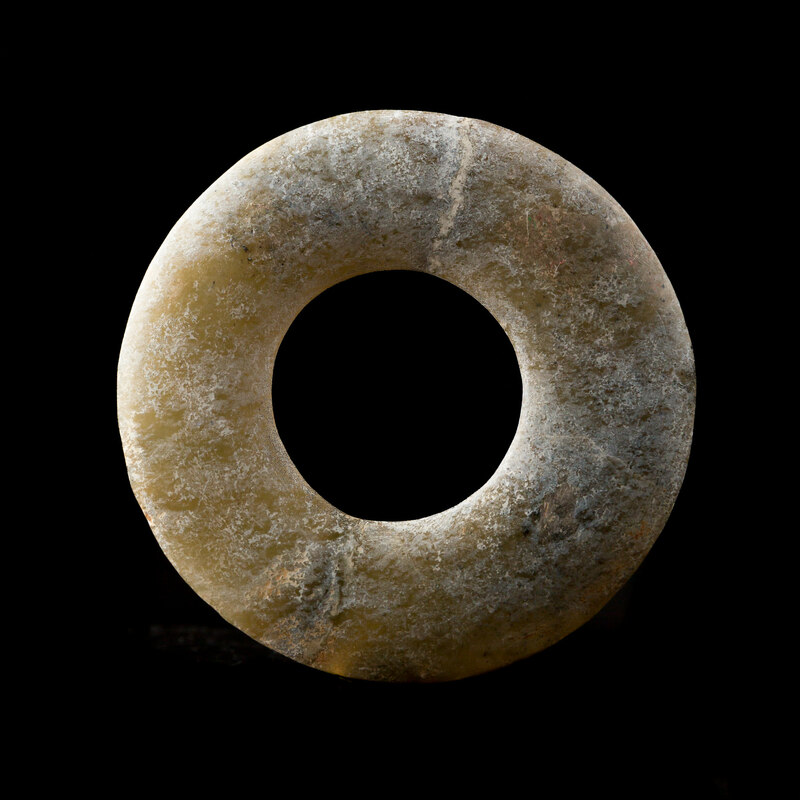 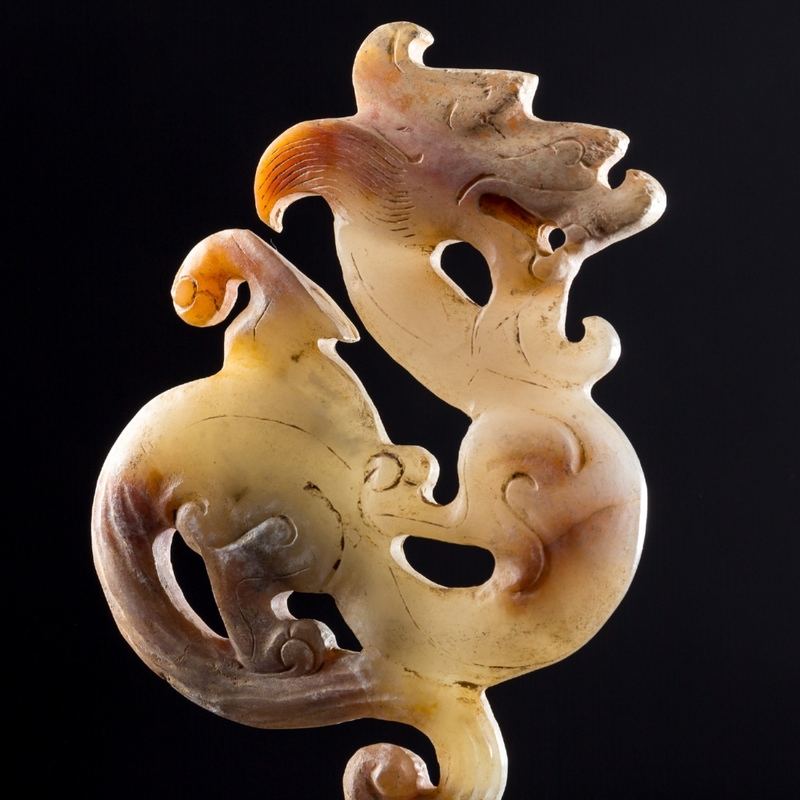 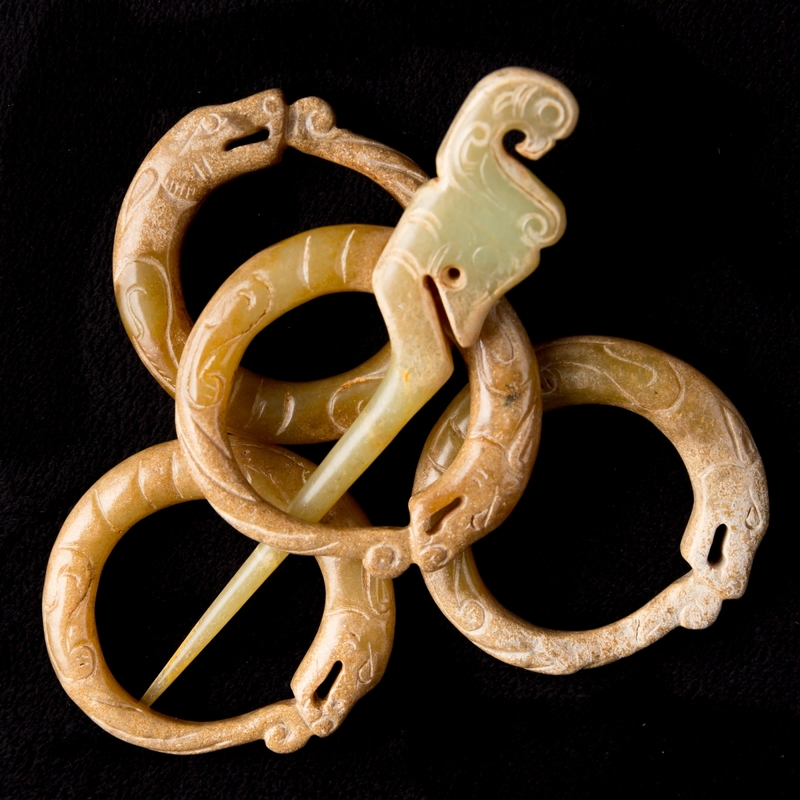 From the Neolithic Period, jade was a material used with extreme deference. 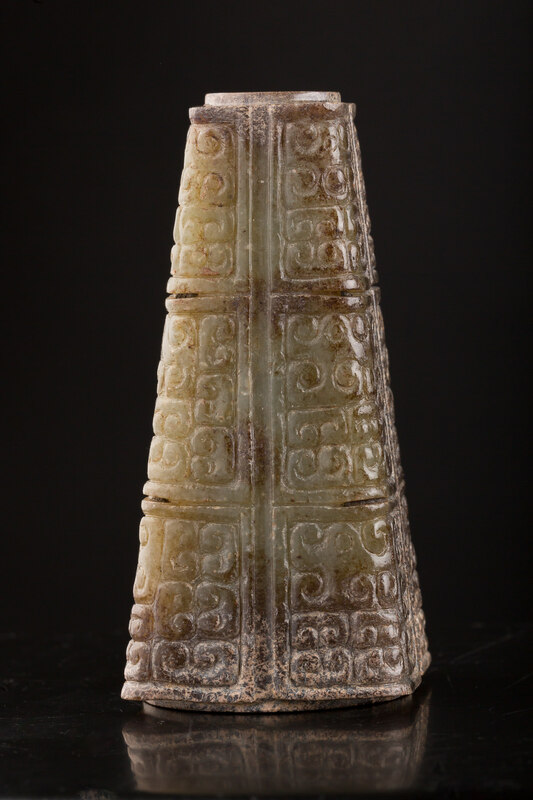 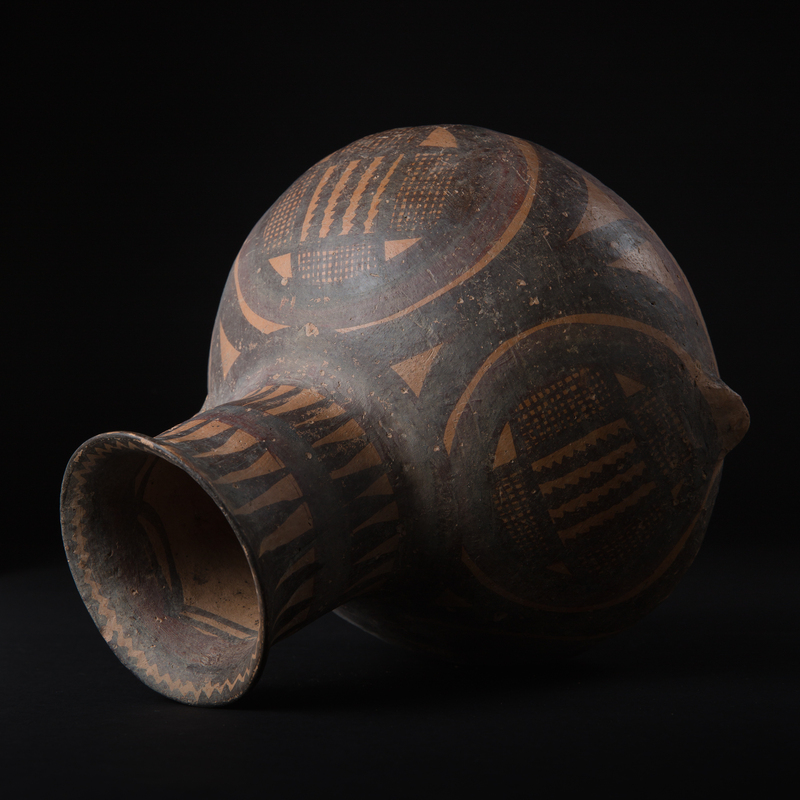 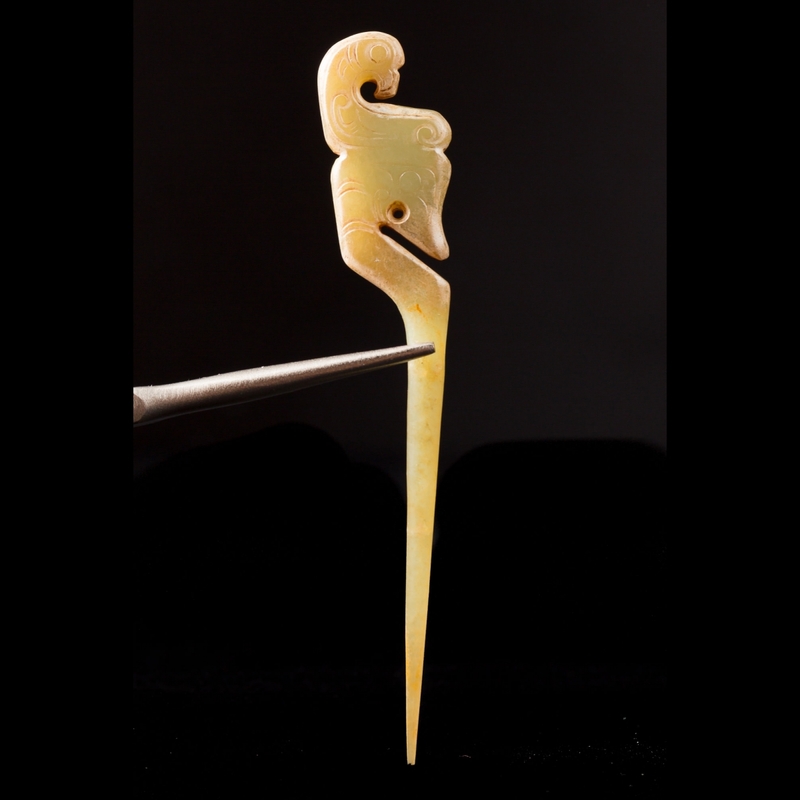 Hard to work and rare to find, it is since the most ancient times an object of devotion used during funerary rituals. 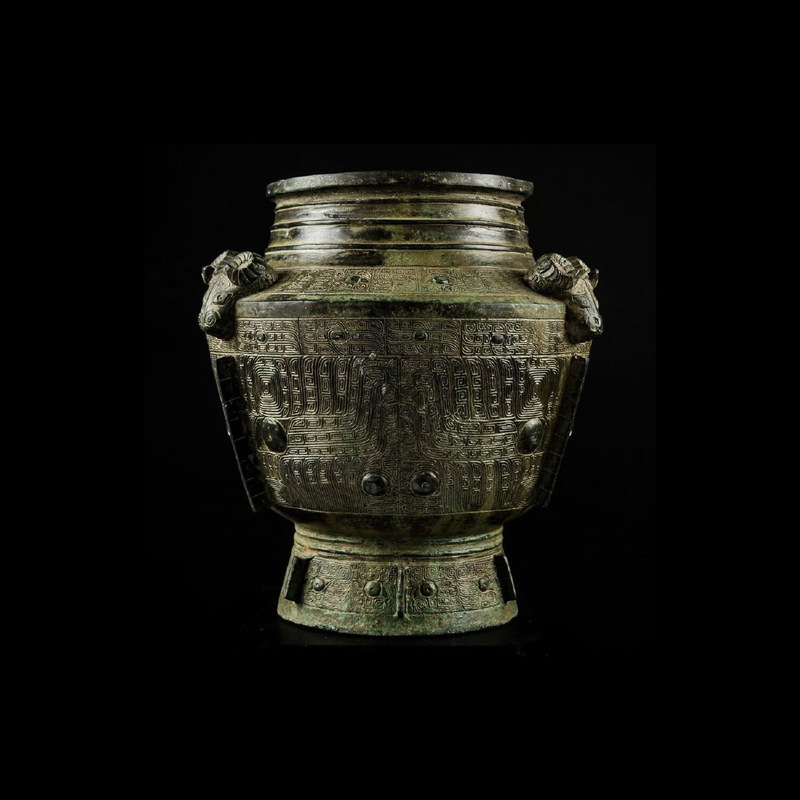 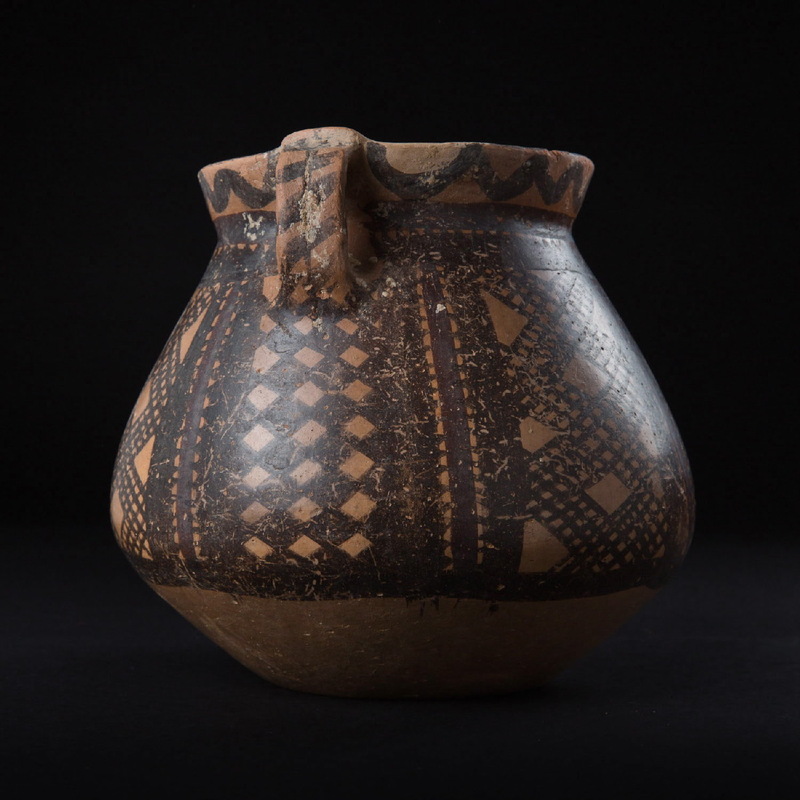 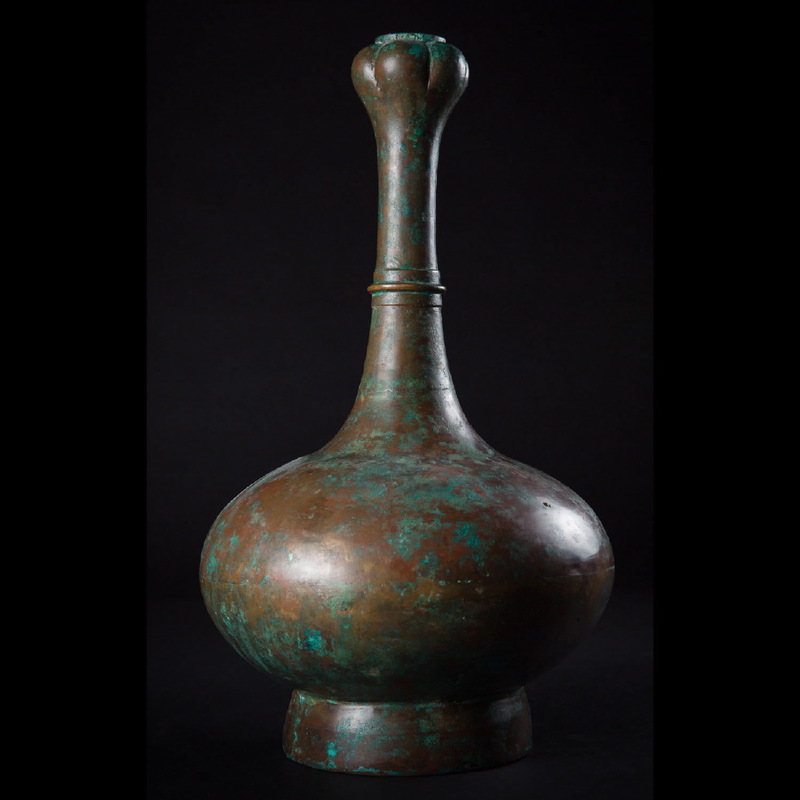 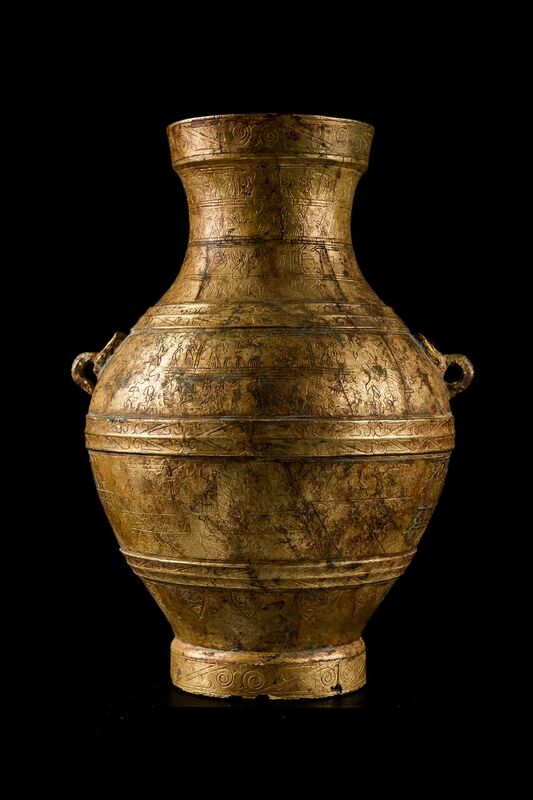 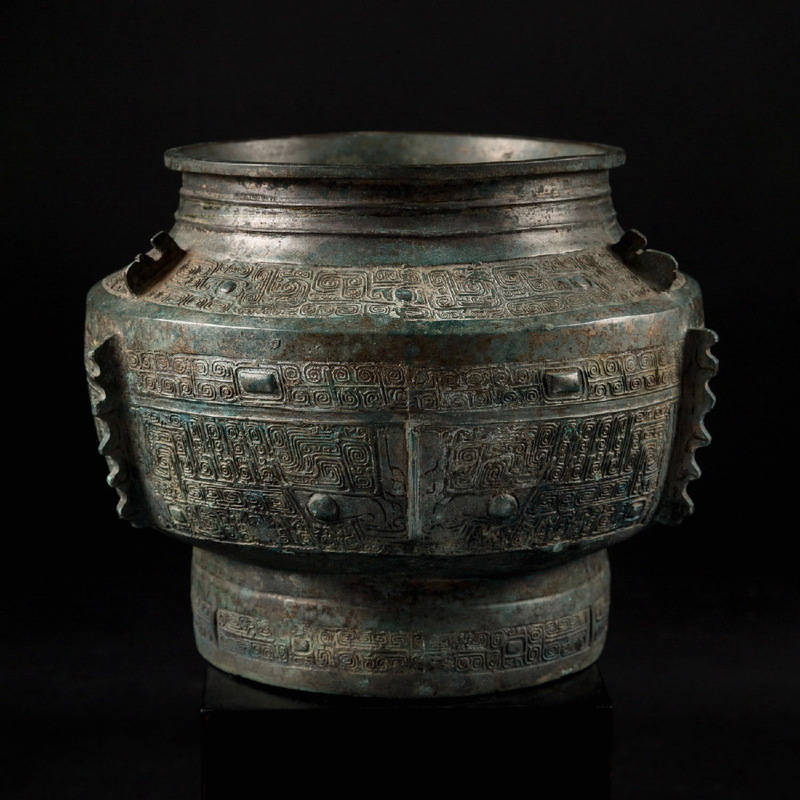 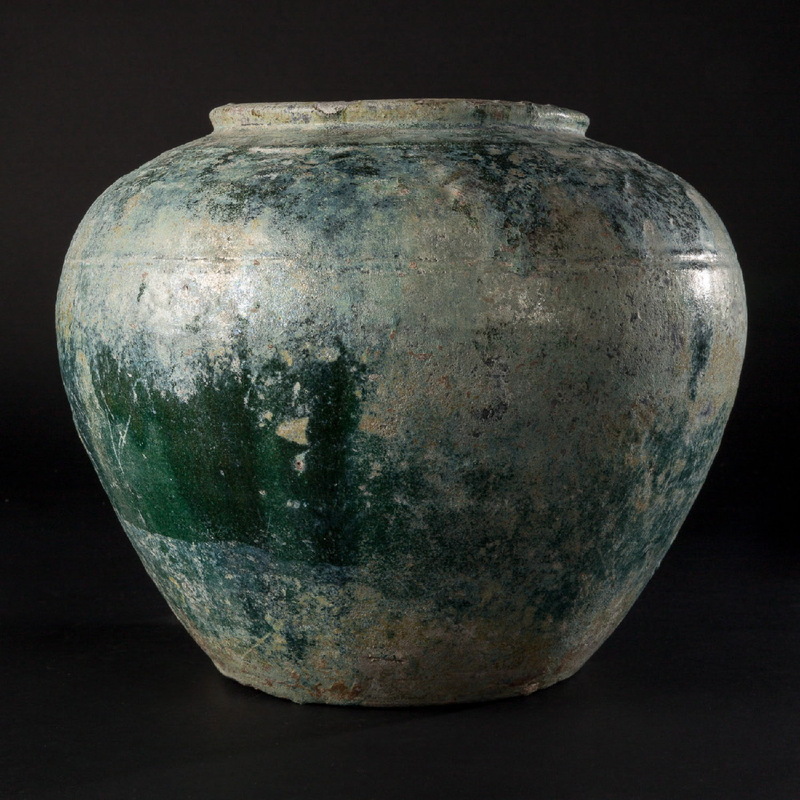 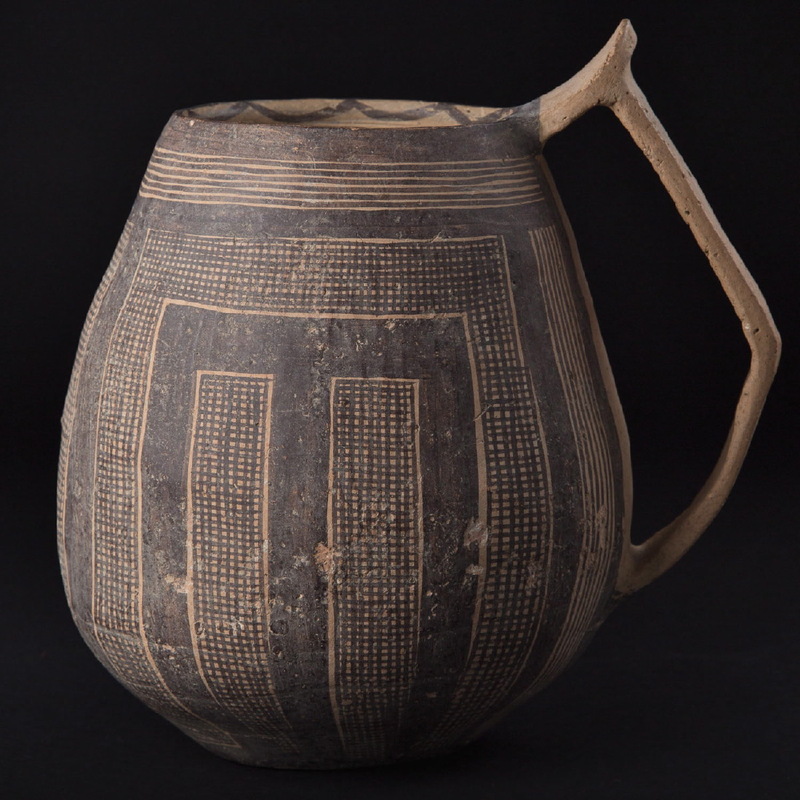 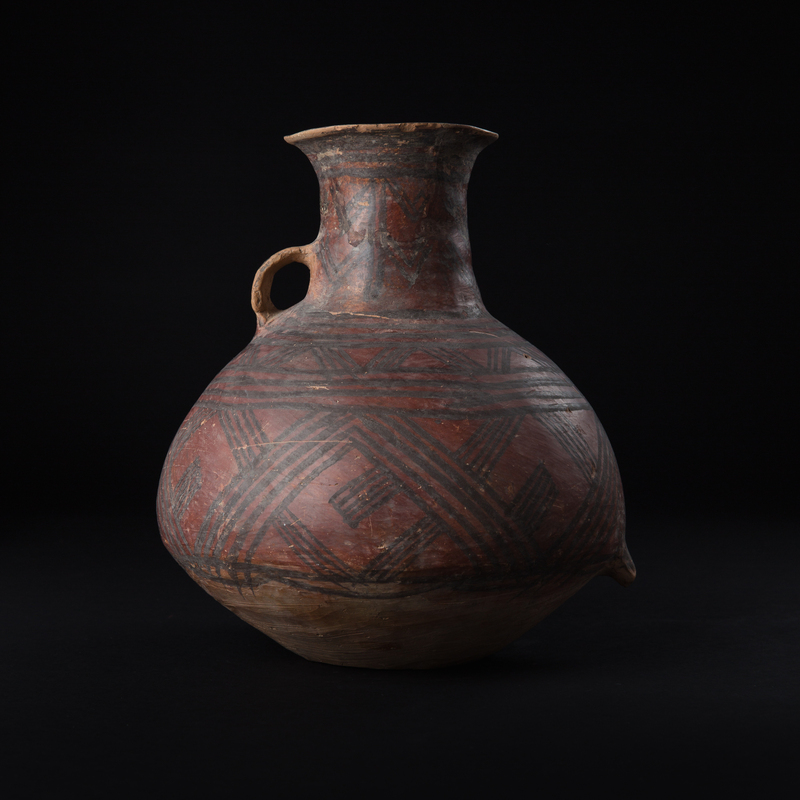 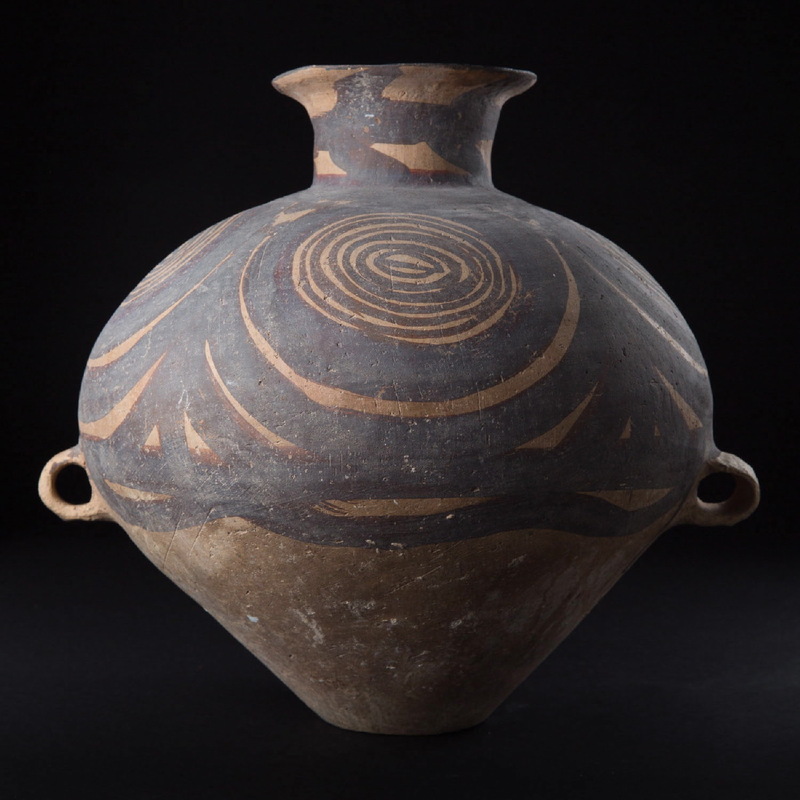 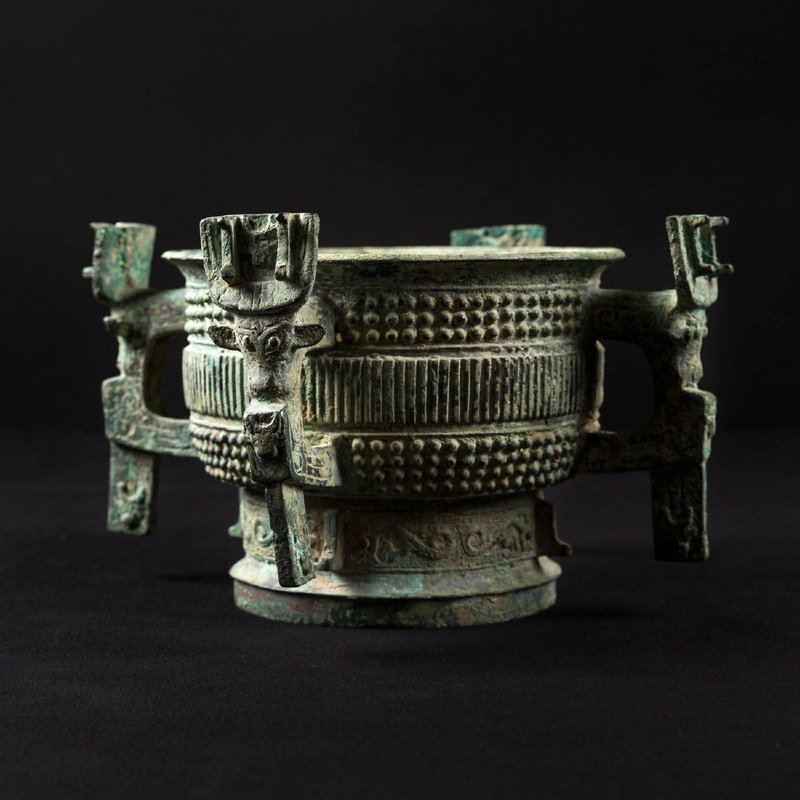 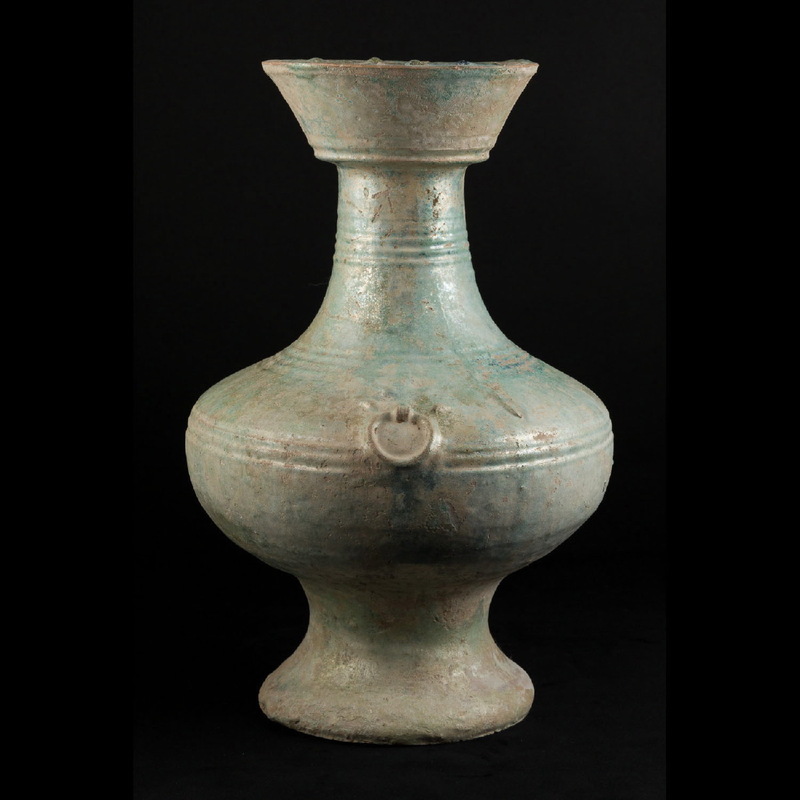 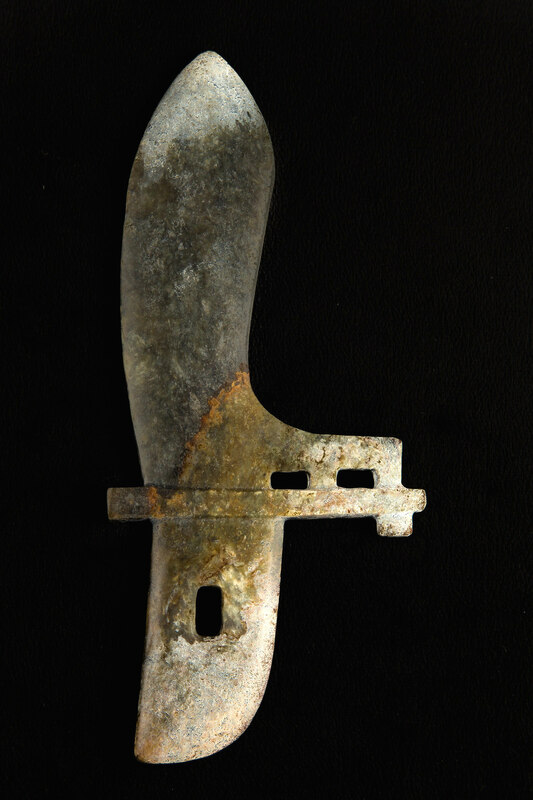 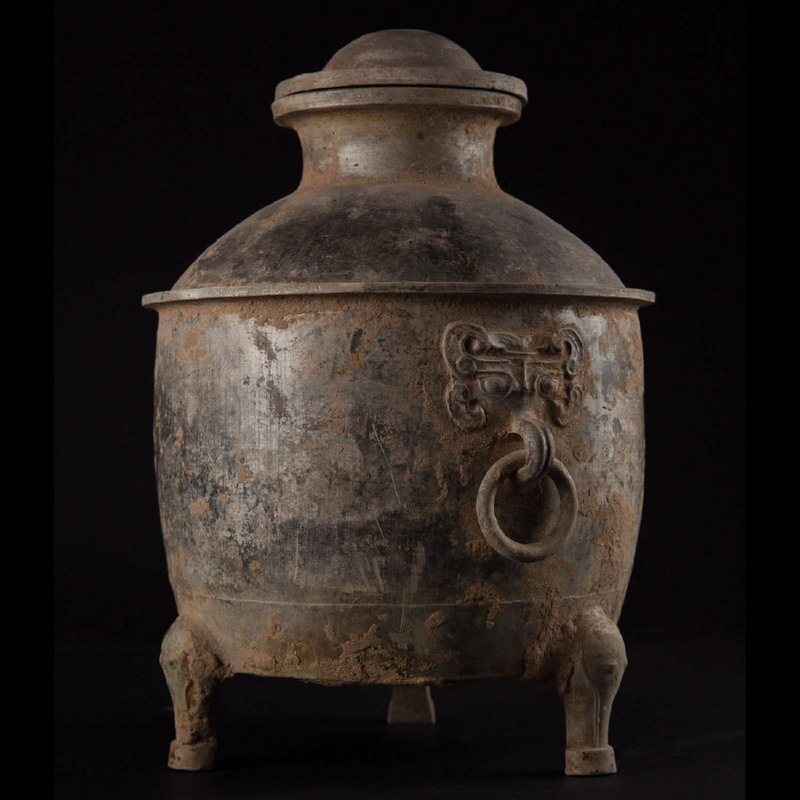 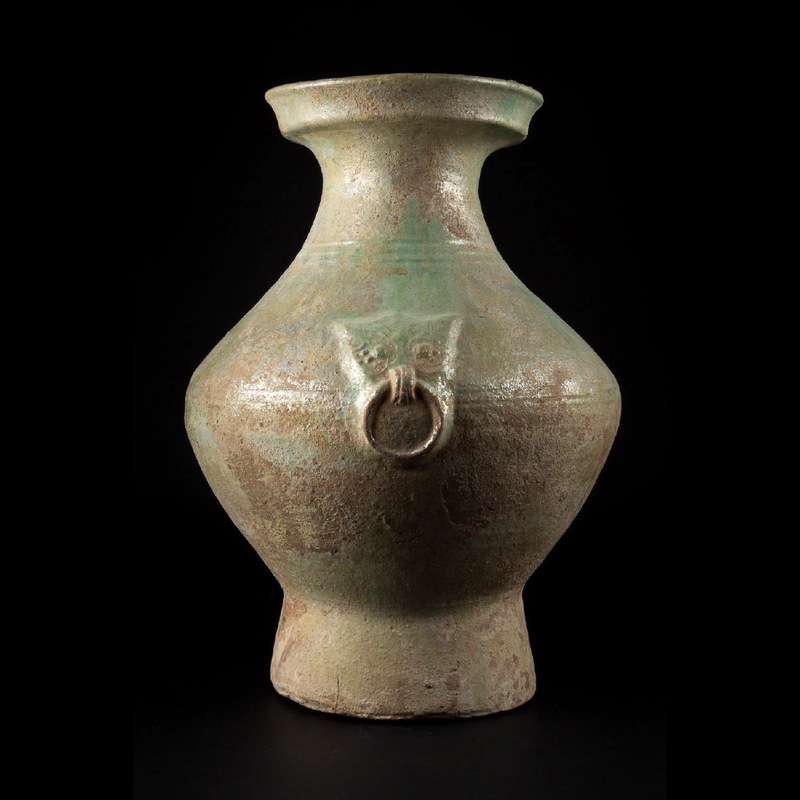 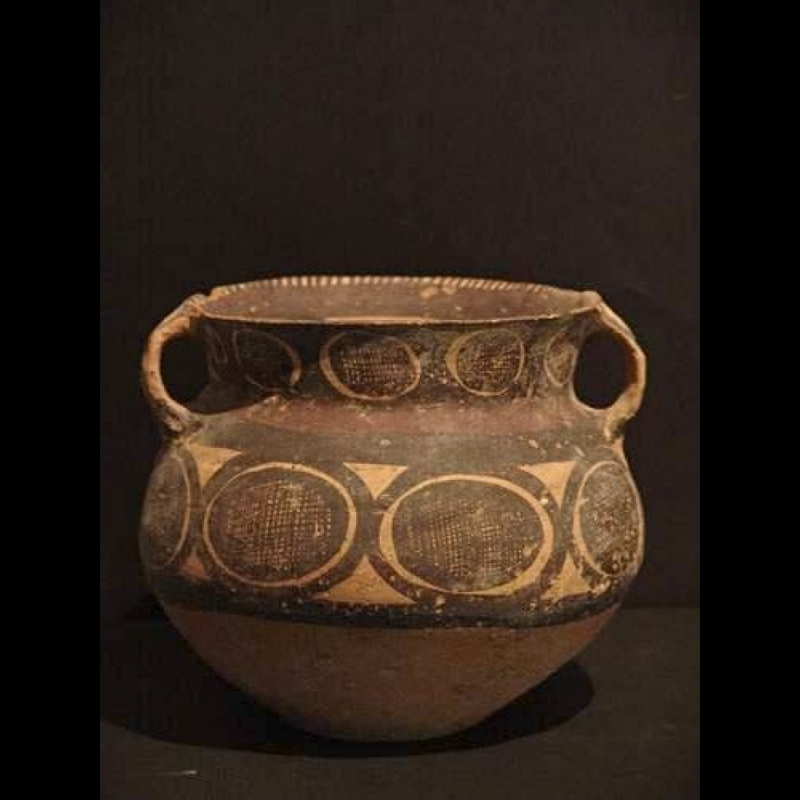 Already cultivating rice in the South and millet in the North 7000 years ago, and producing vessels during the Yangshao period, the Chinese invented metallurgy in 2000 years BC. 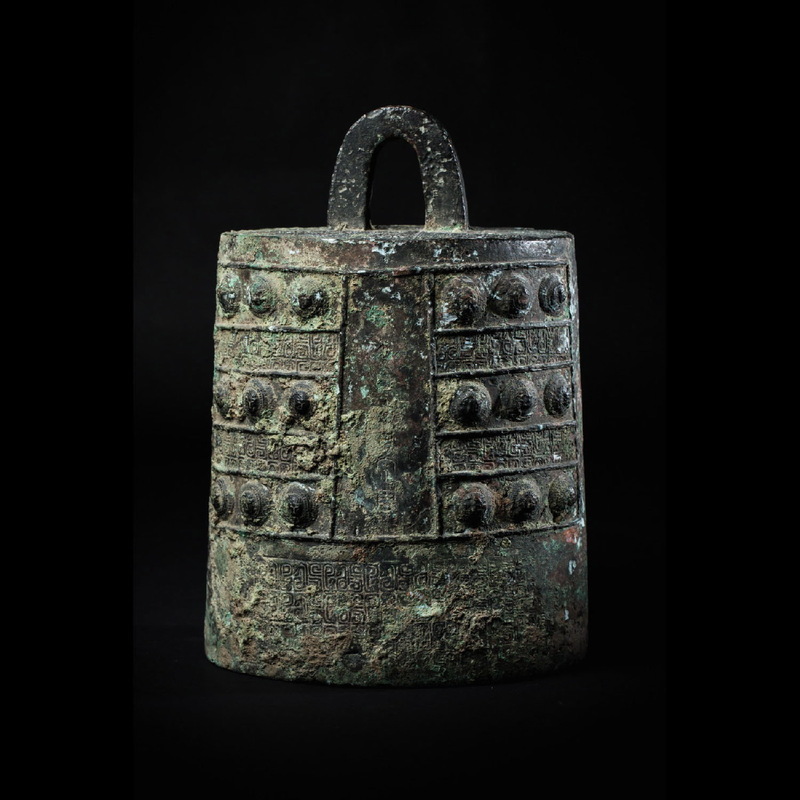 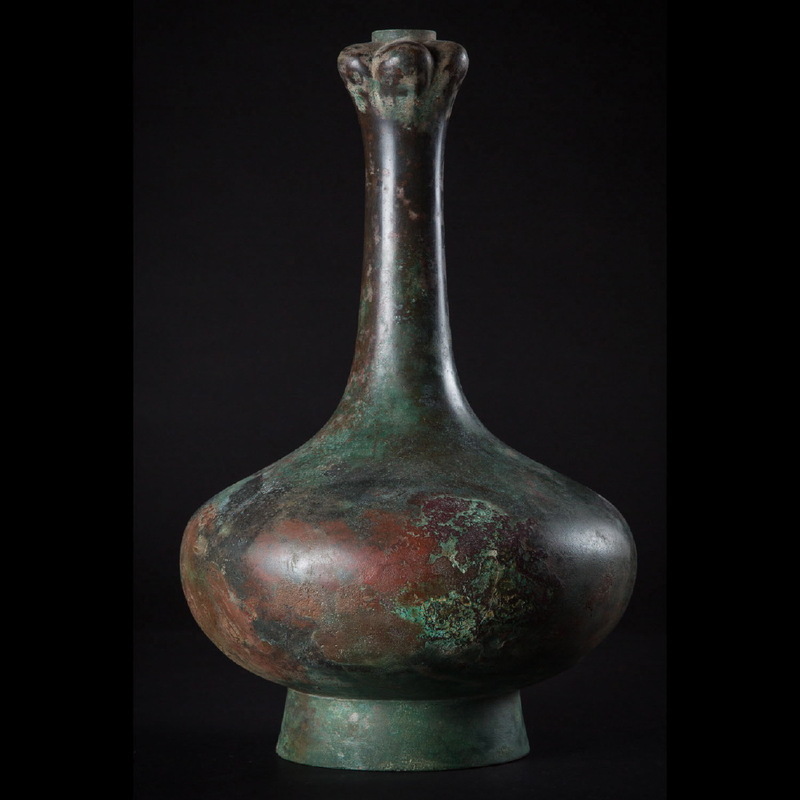 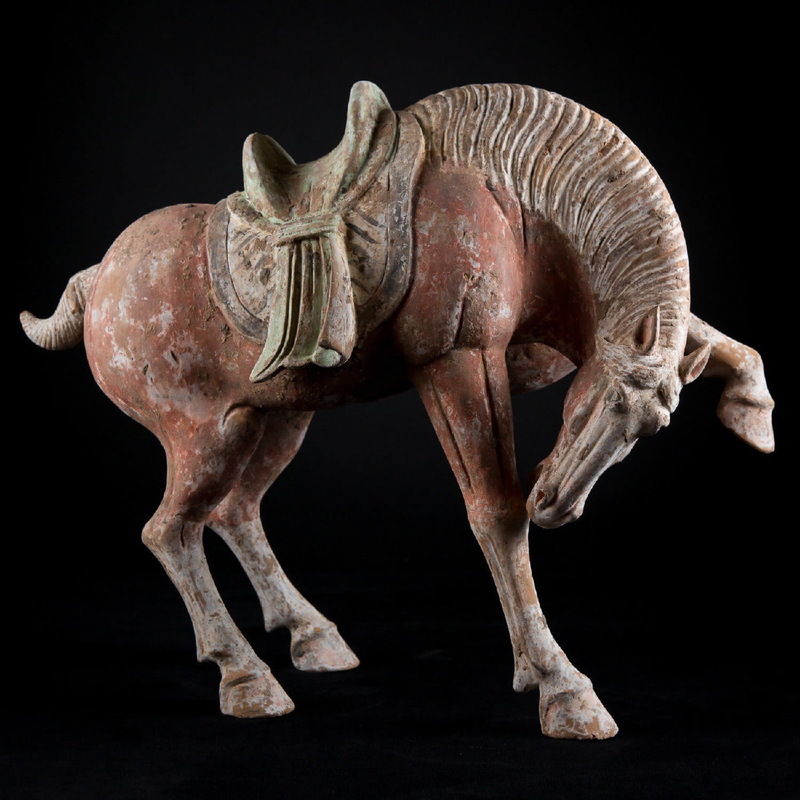 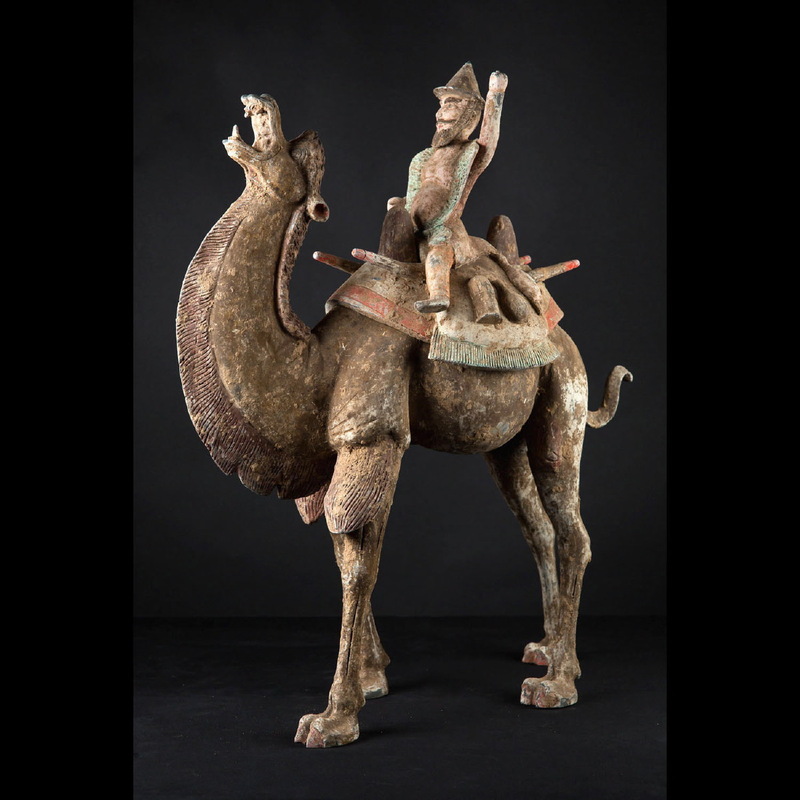 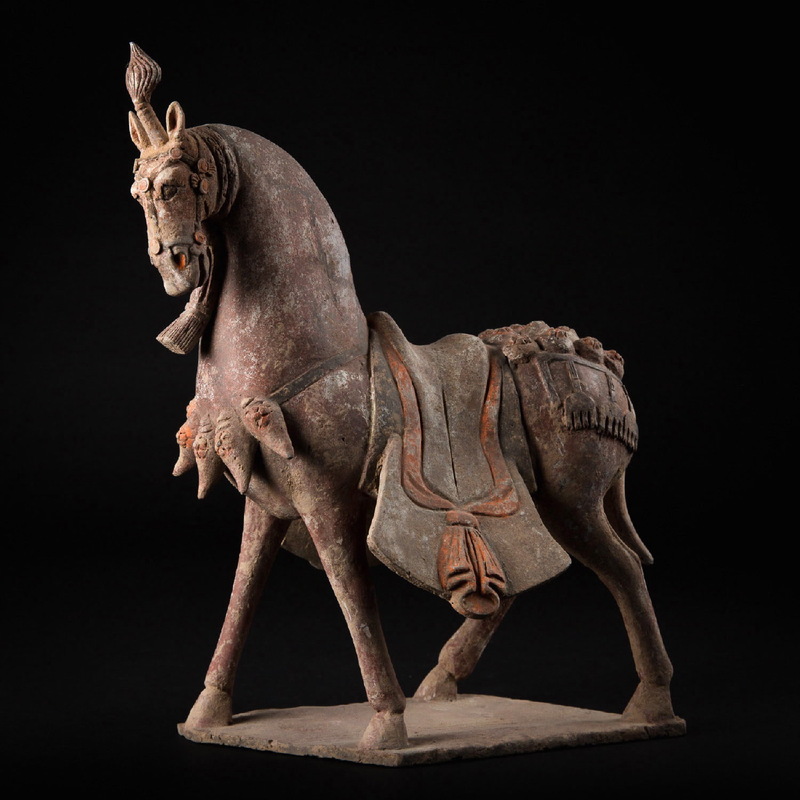 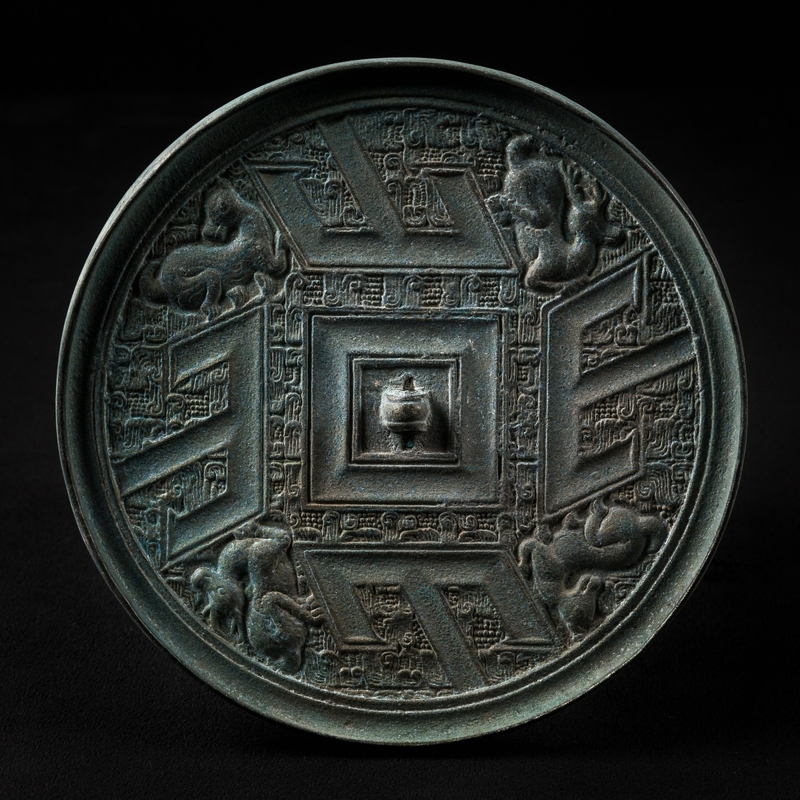 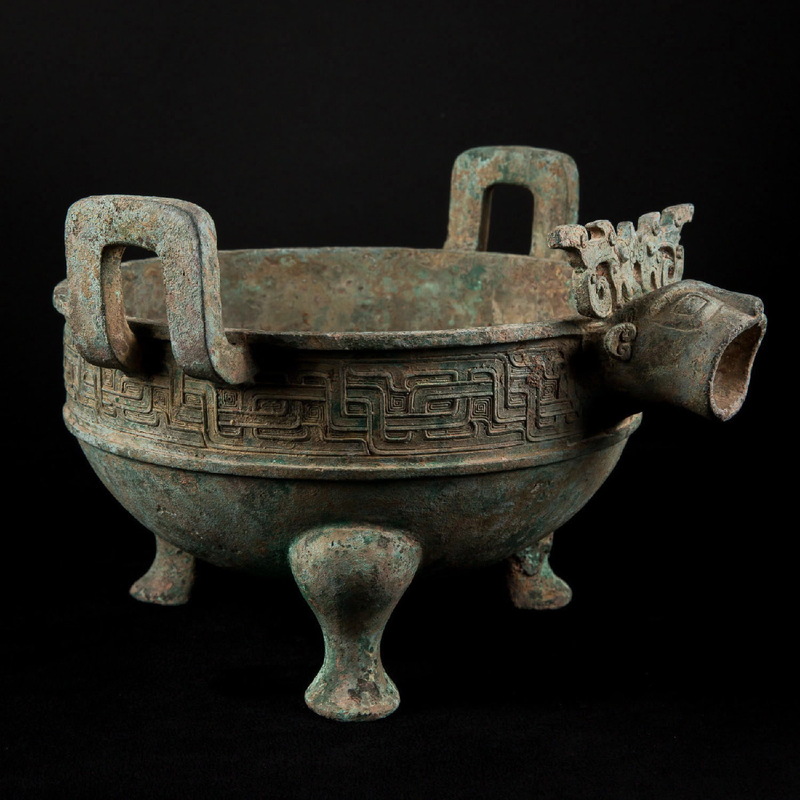 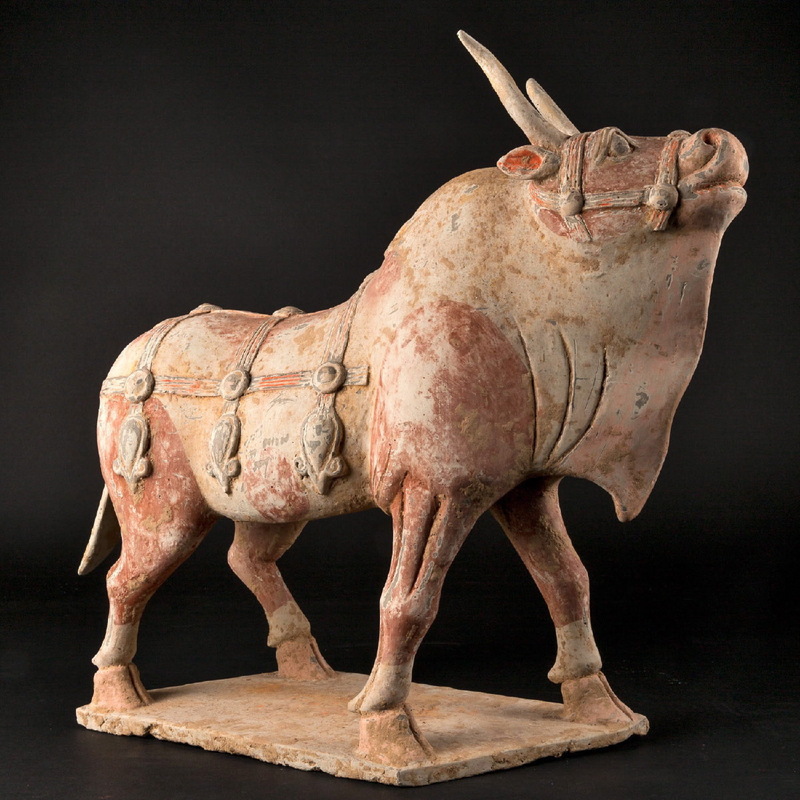 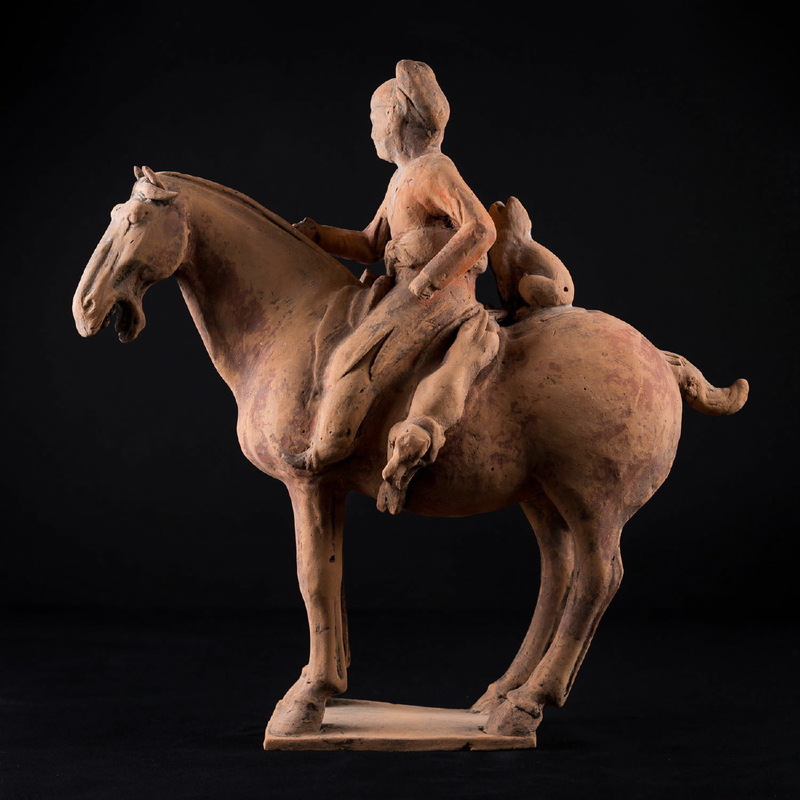 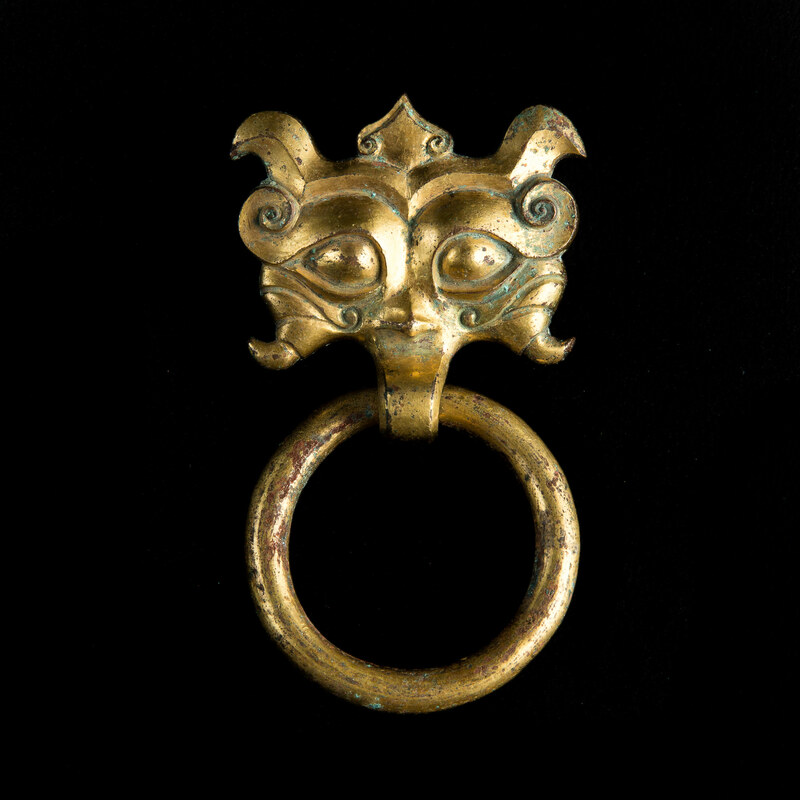 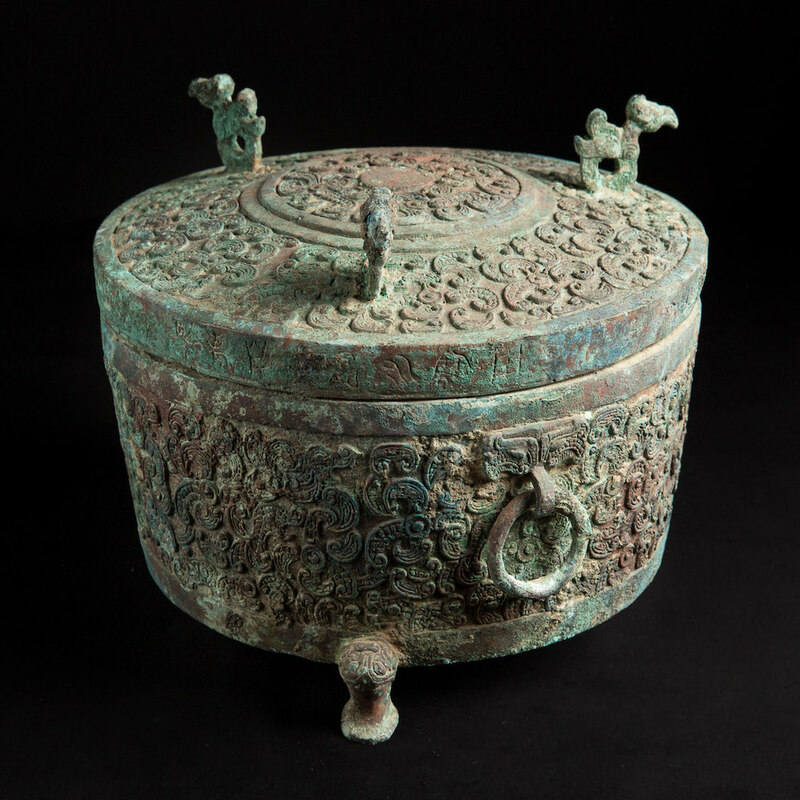 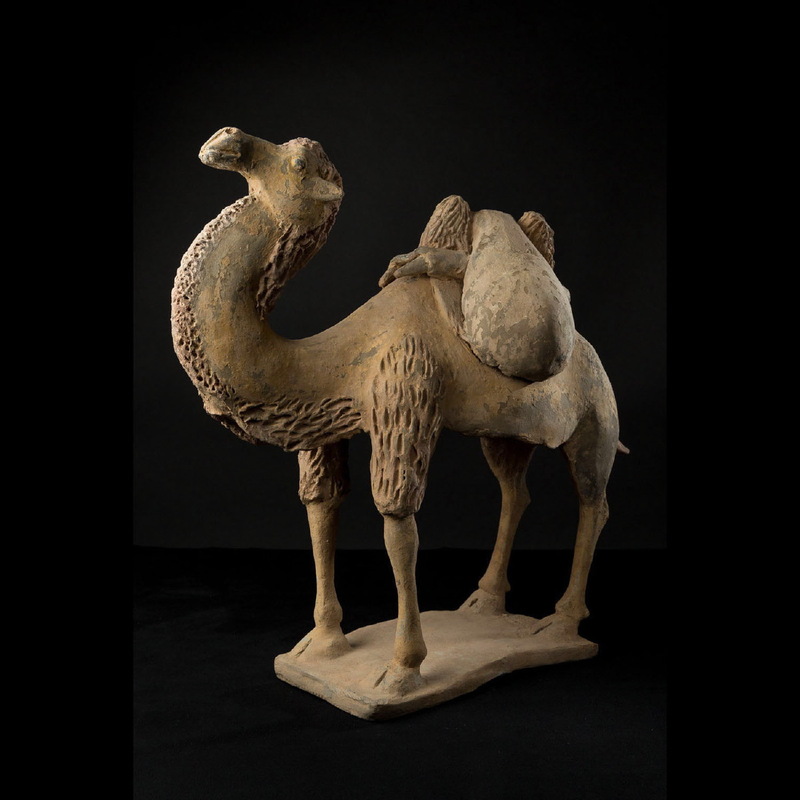 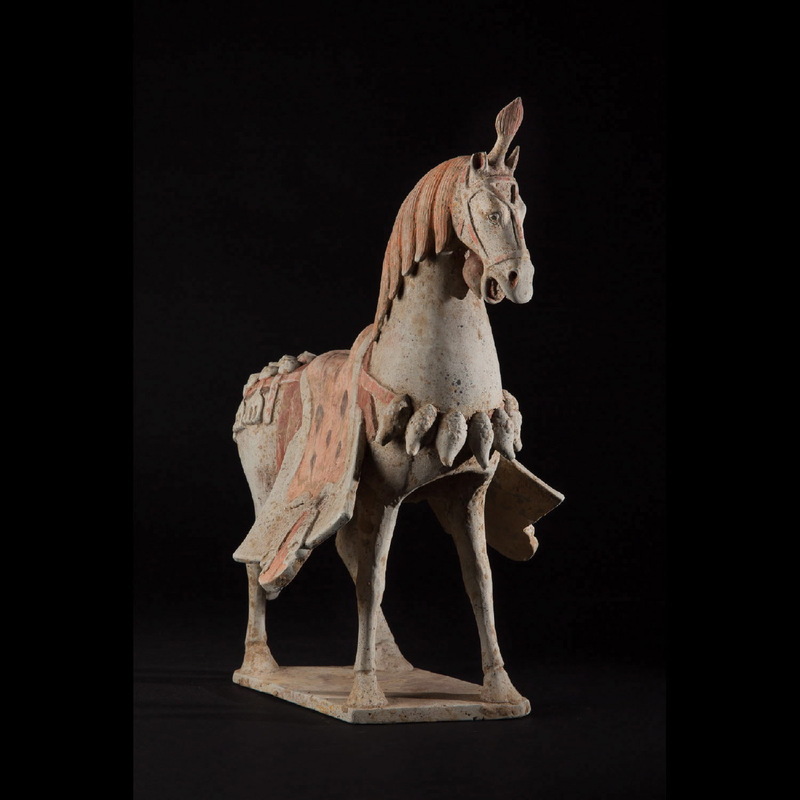 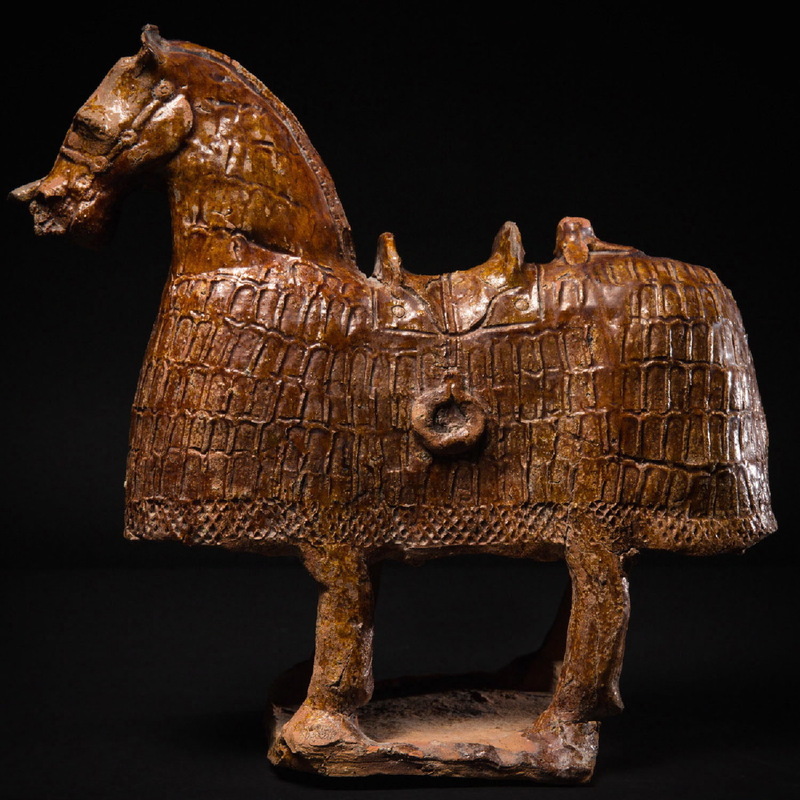 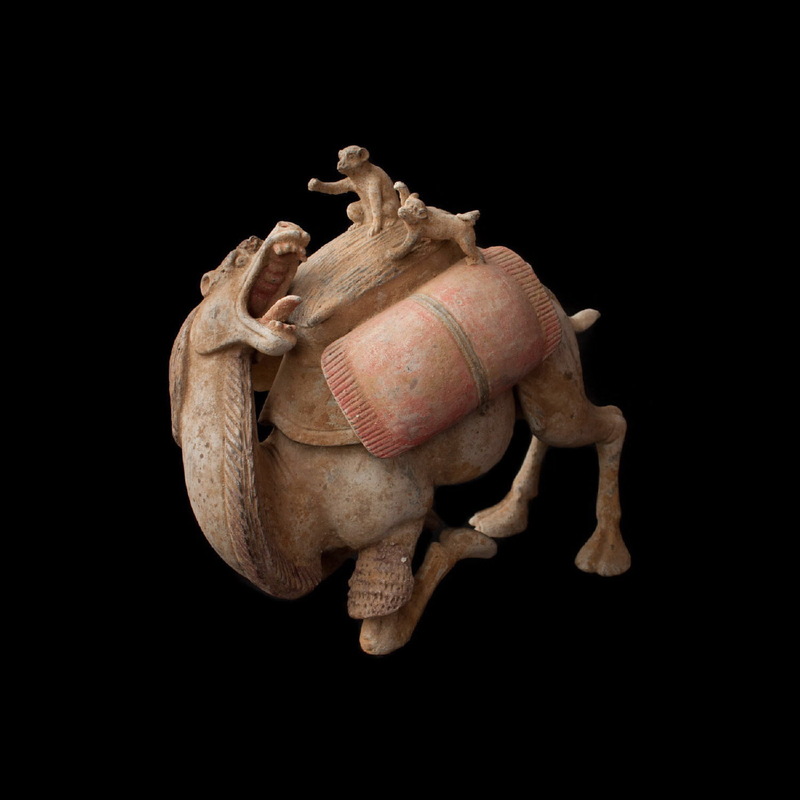 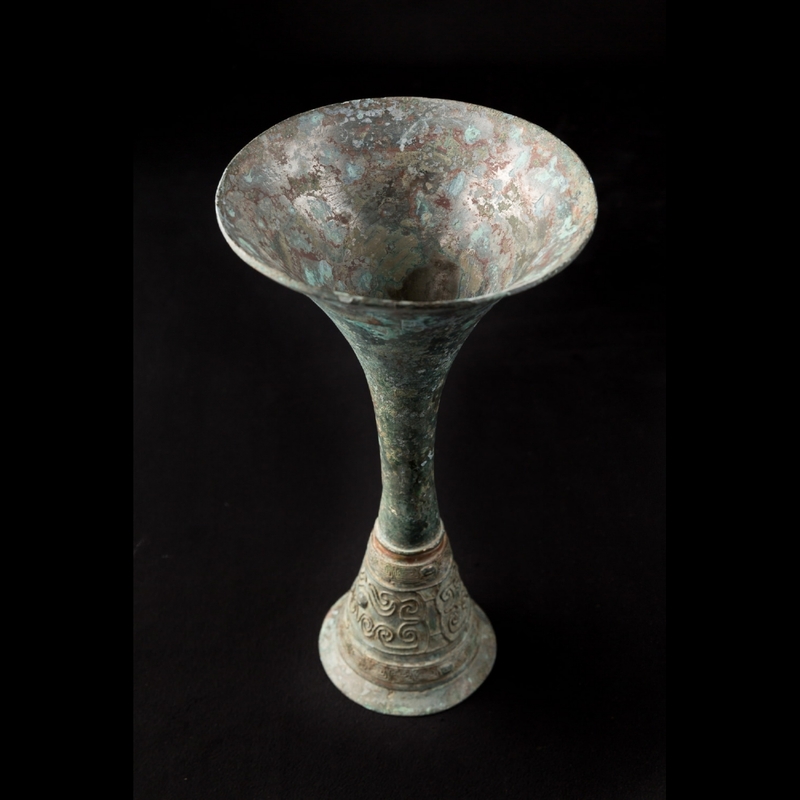 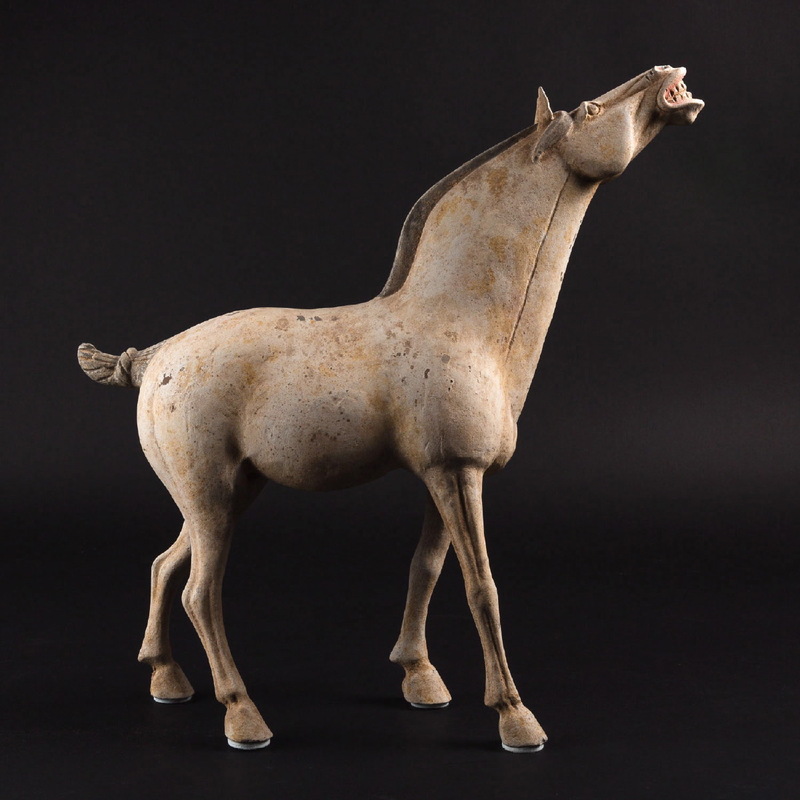 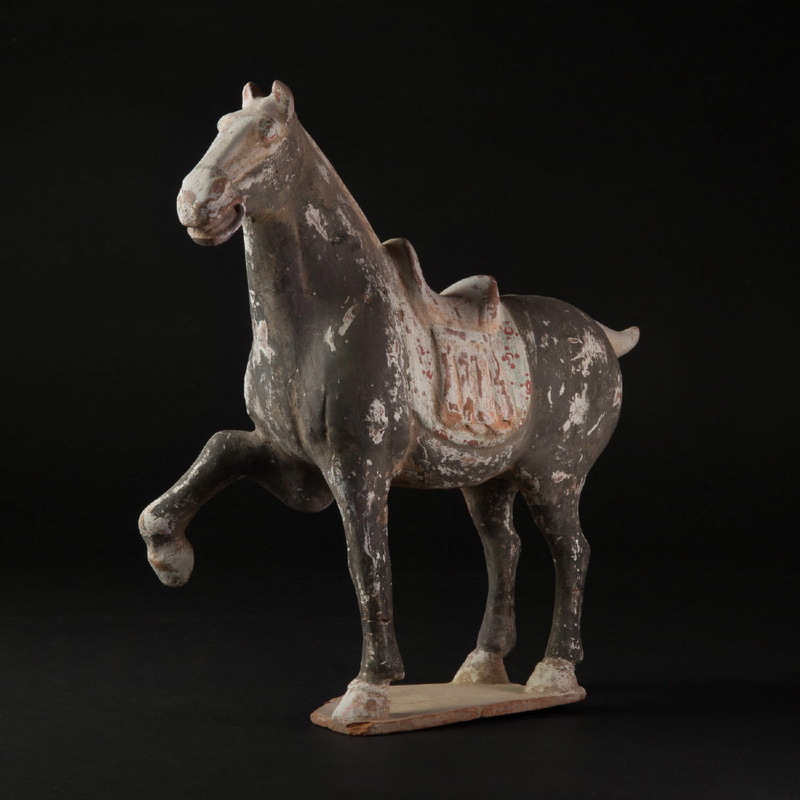 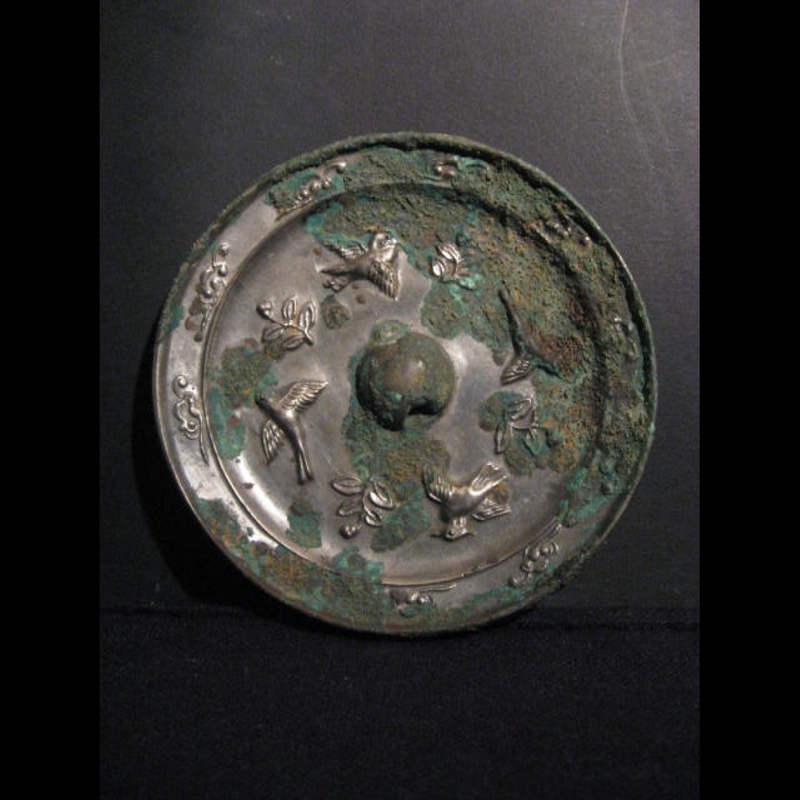 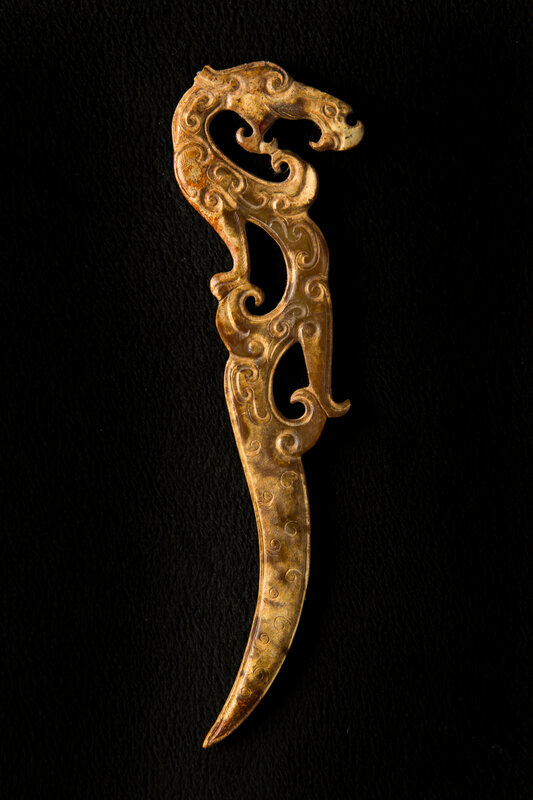 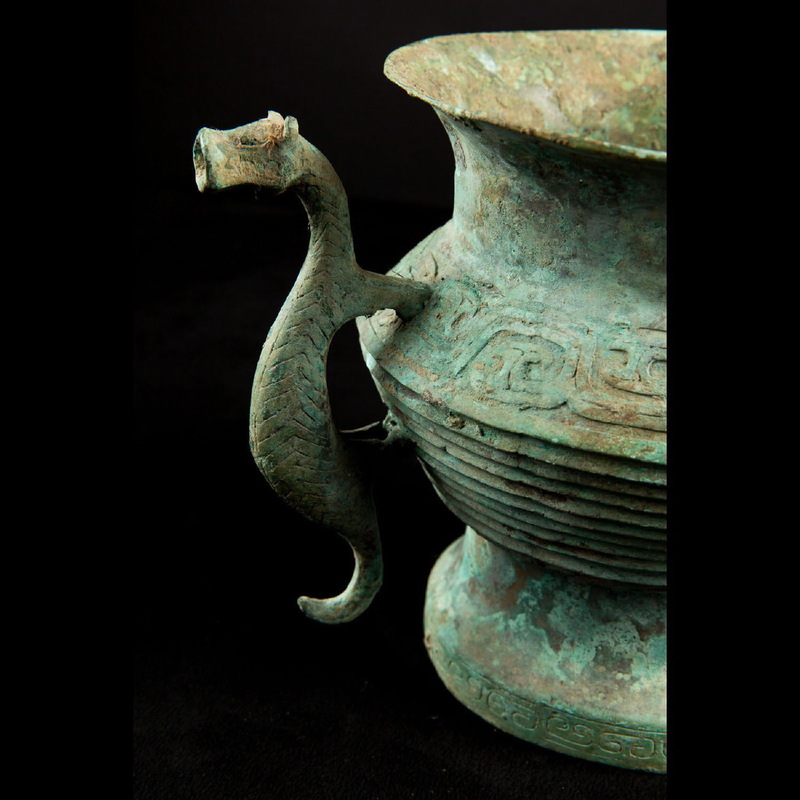 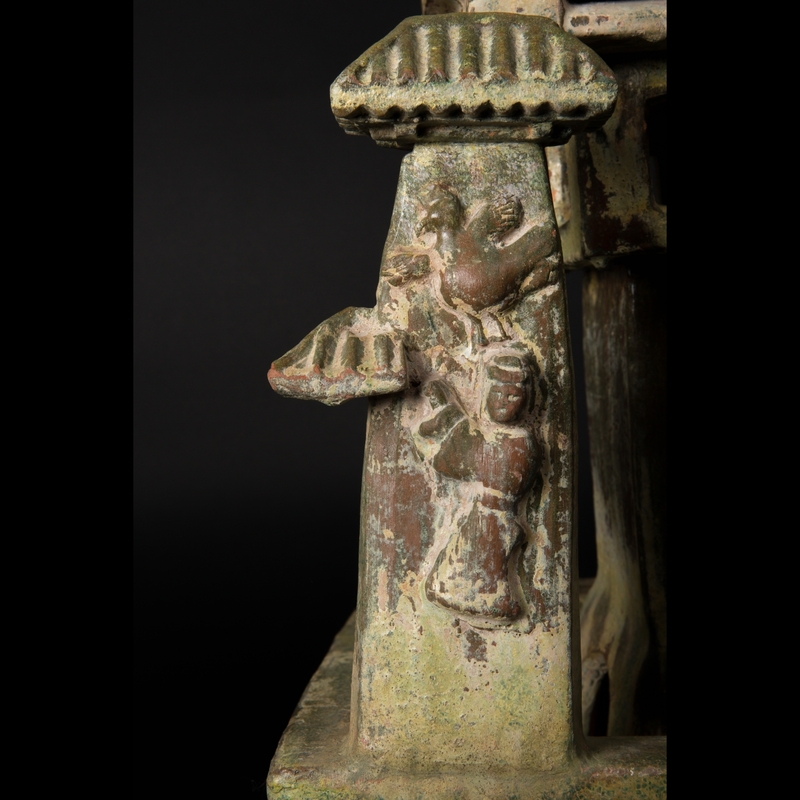 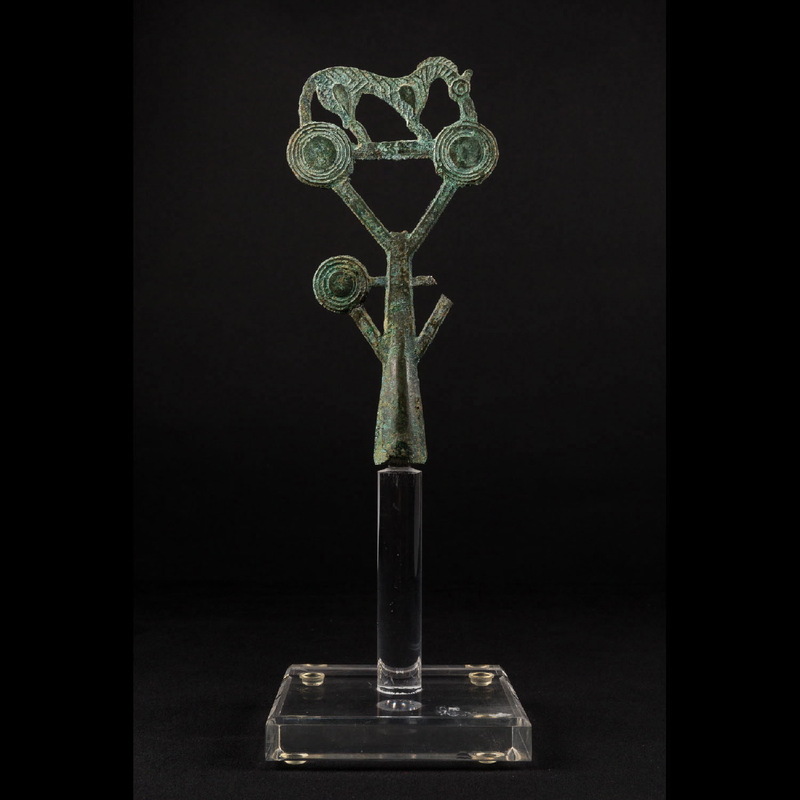 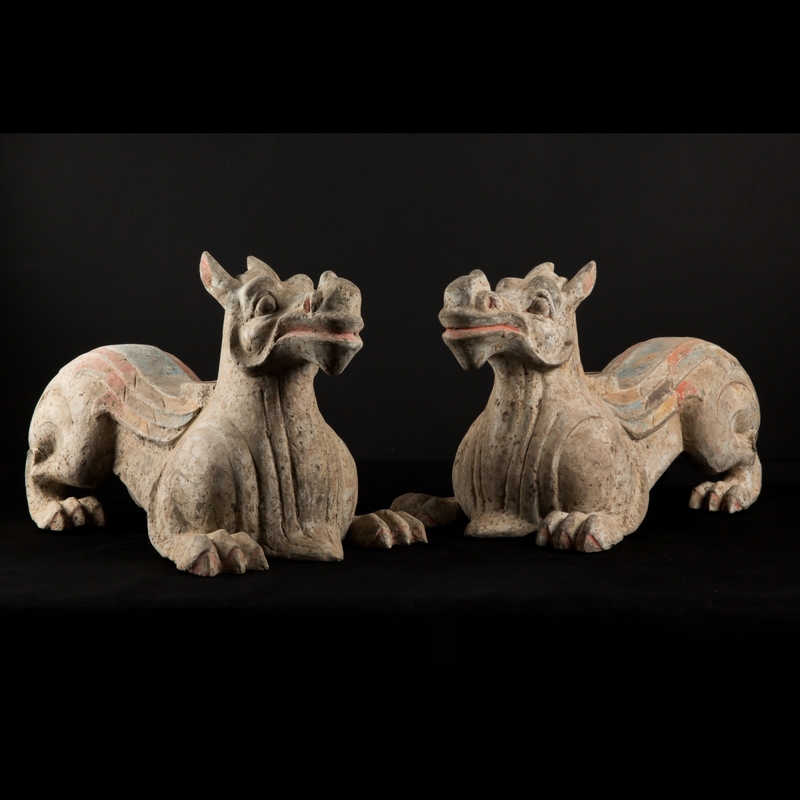 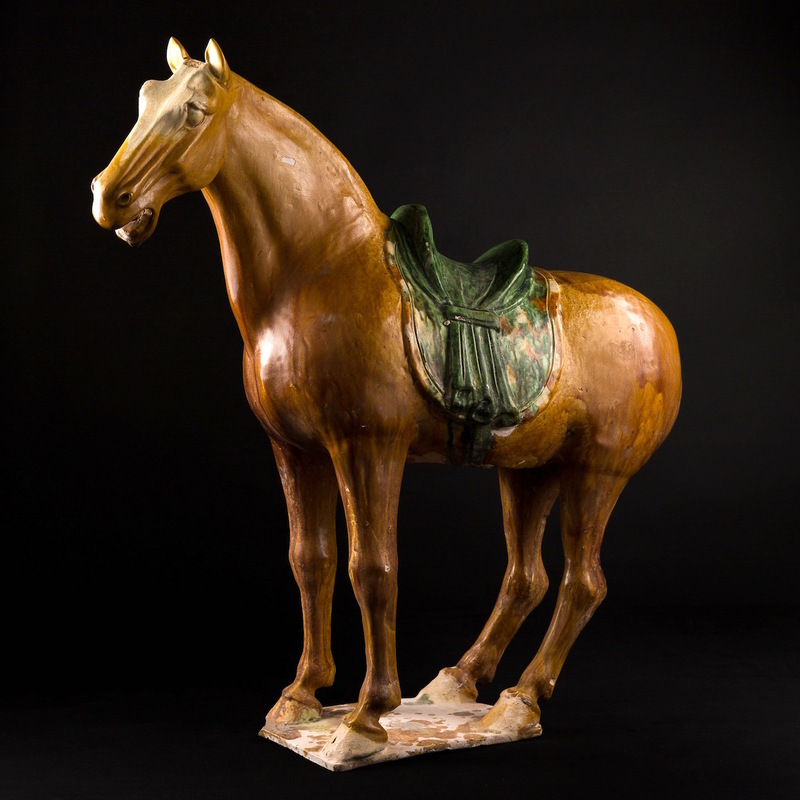 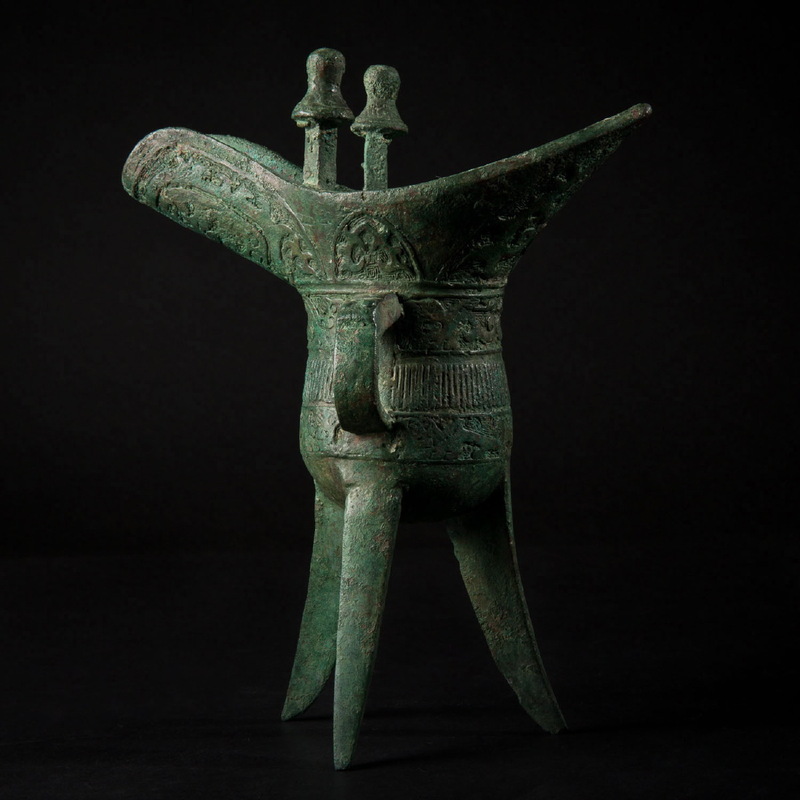 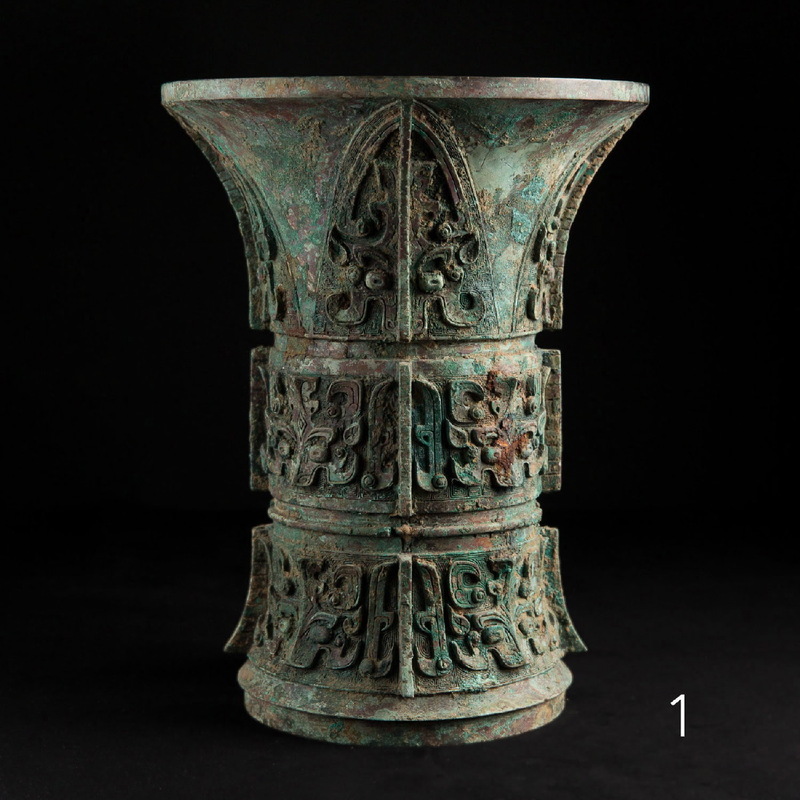 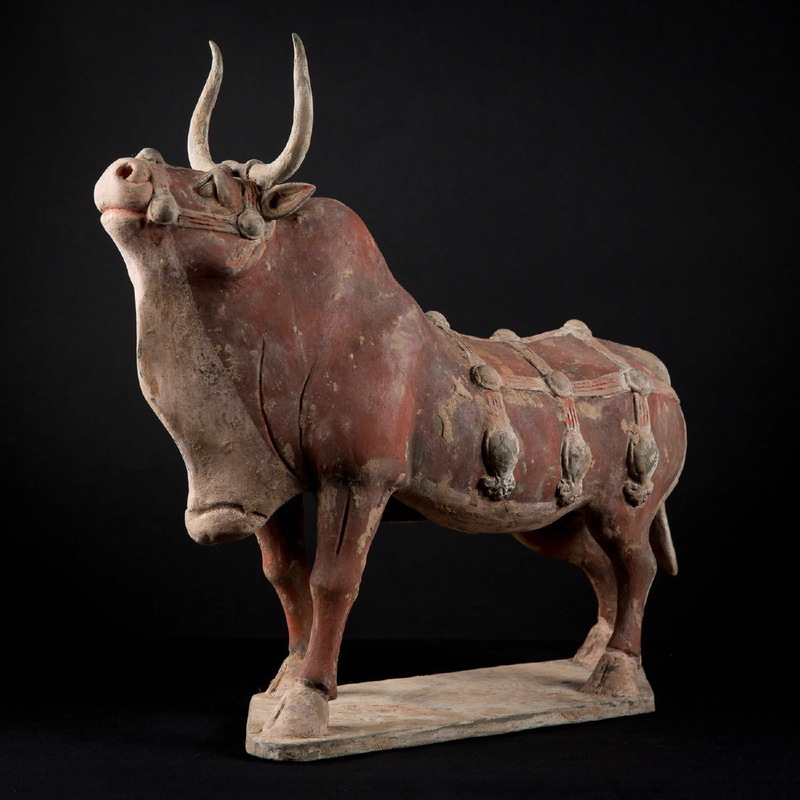 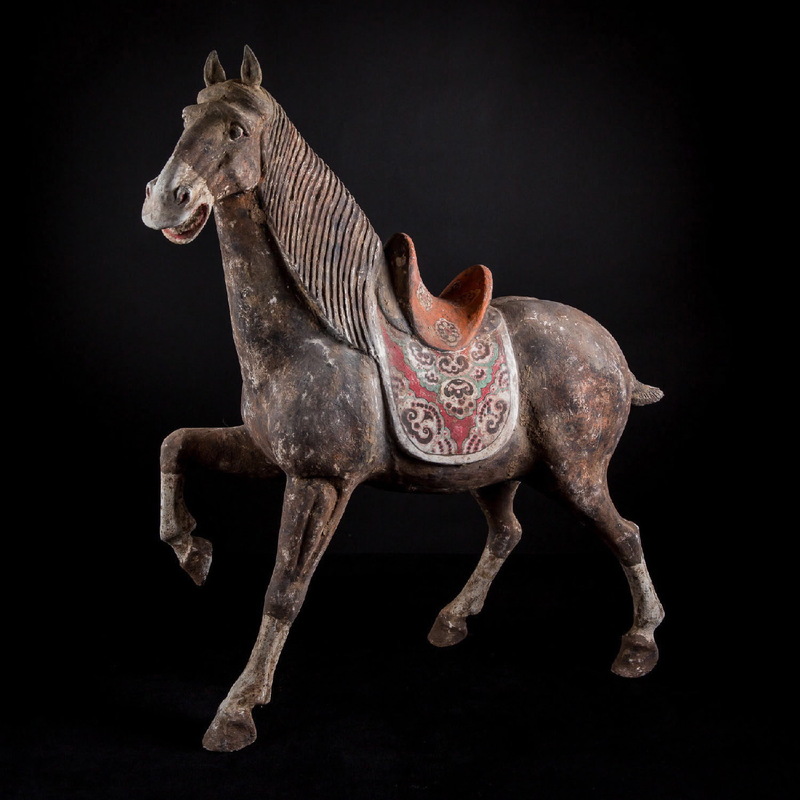 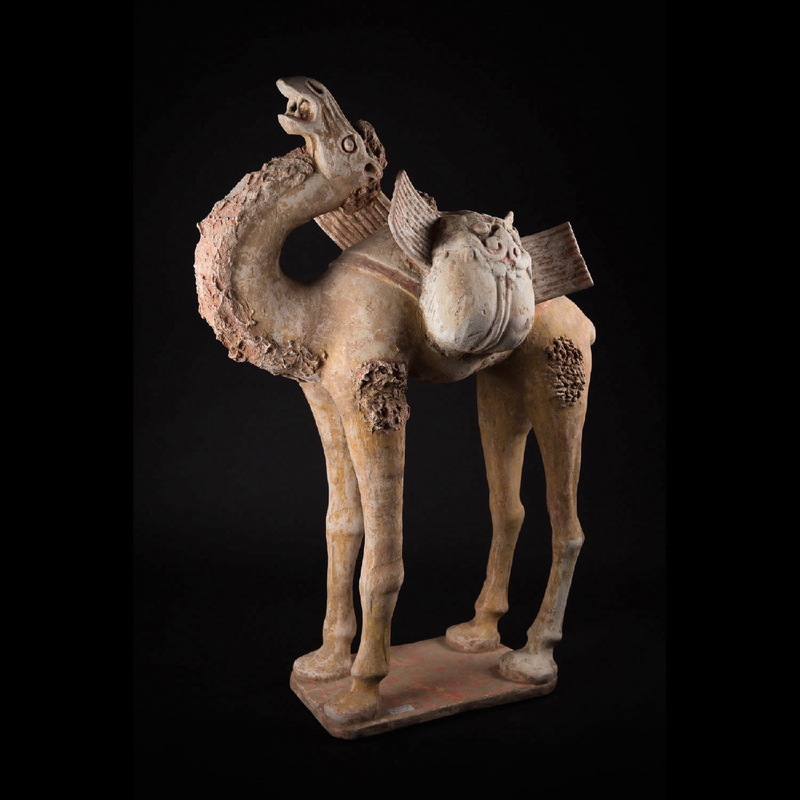 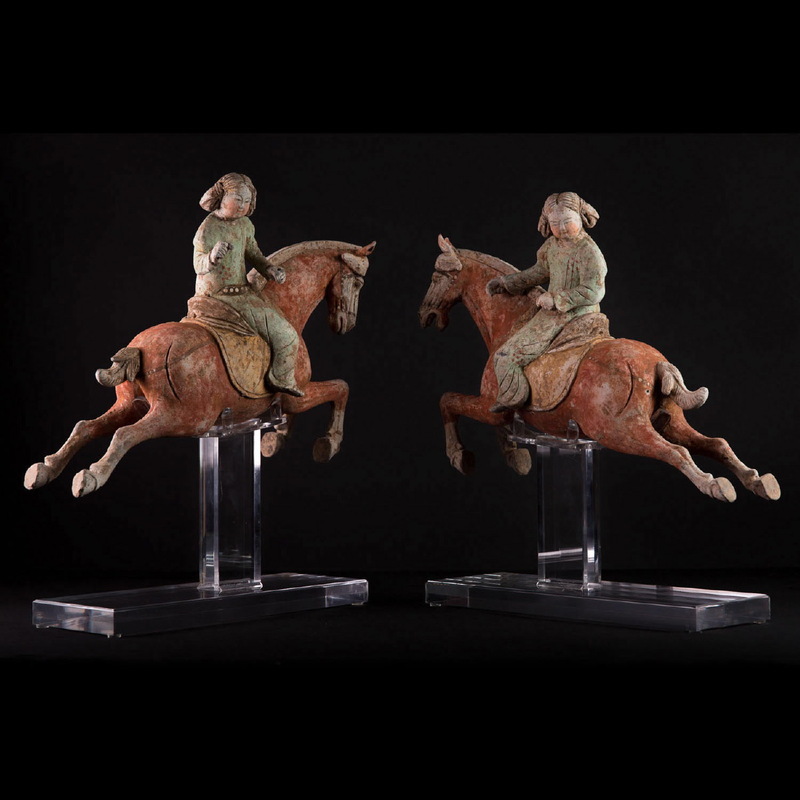 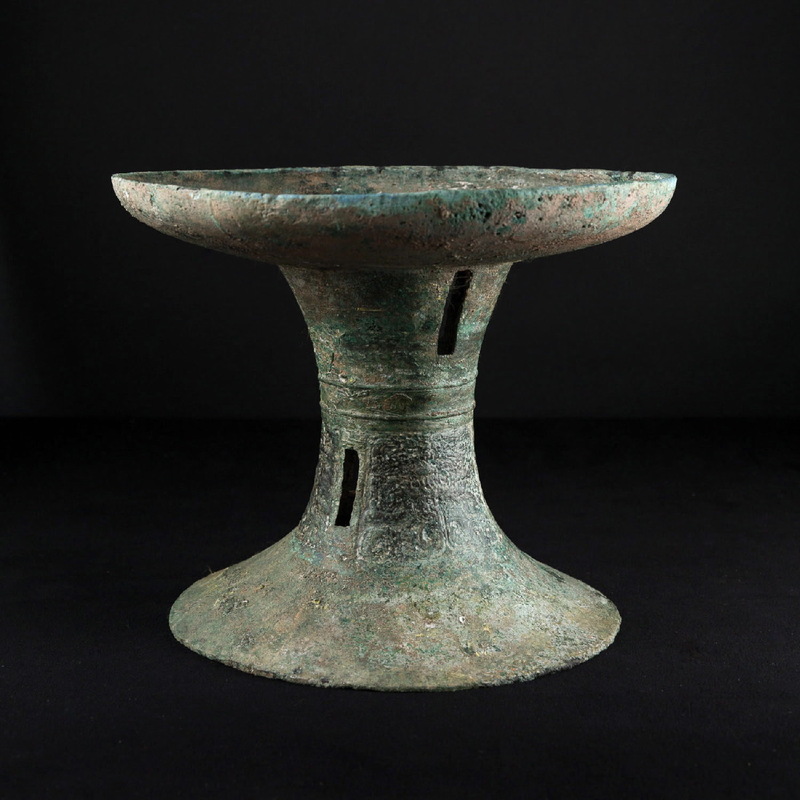 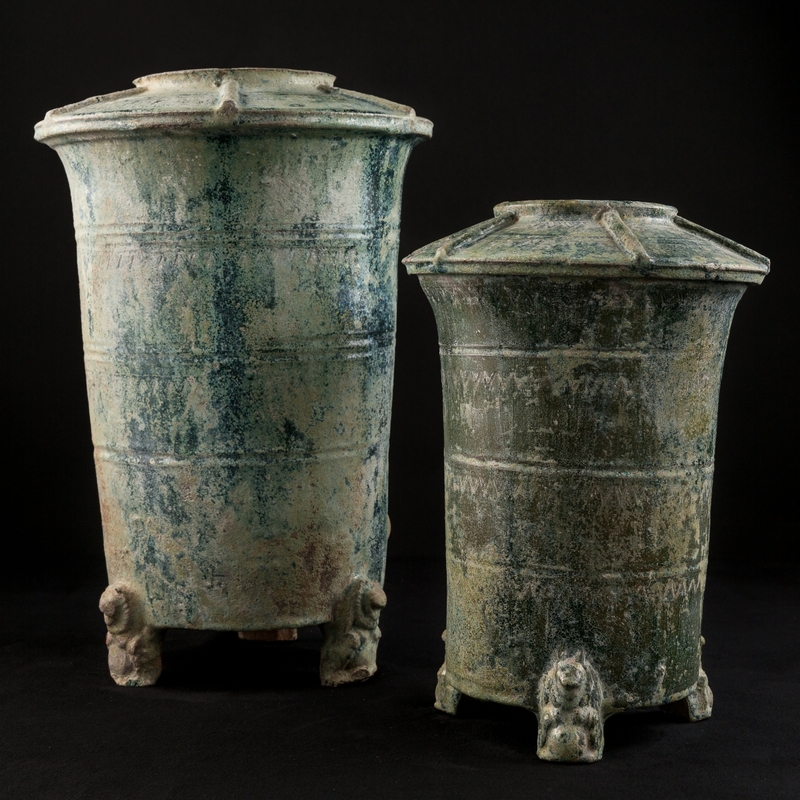 Under the Bronze Age, from the Shang to the Zhou dynasty (1122-221 BC) pieces cast with complex zoomorphic decorations of great aesthetic quality and perfect workmanship appear. 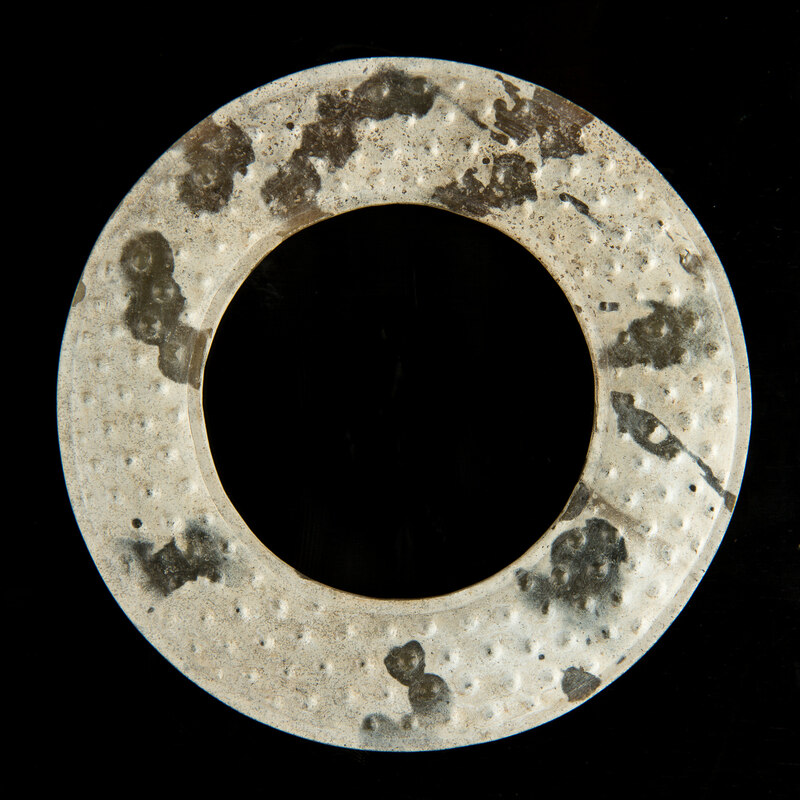 The invention of a special technique, which prevents the double usage of the moulds, enhanced the quality. 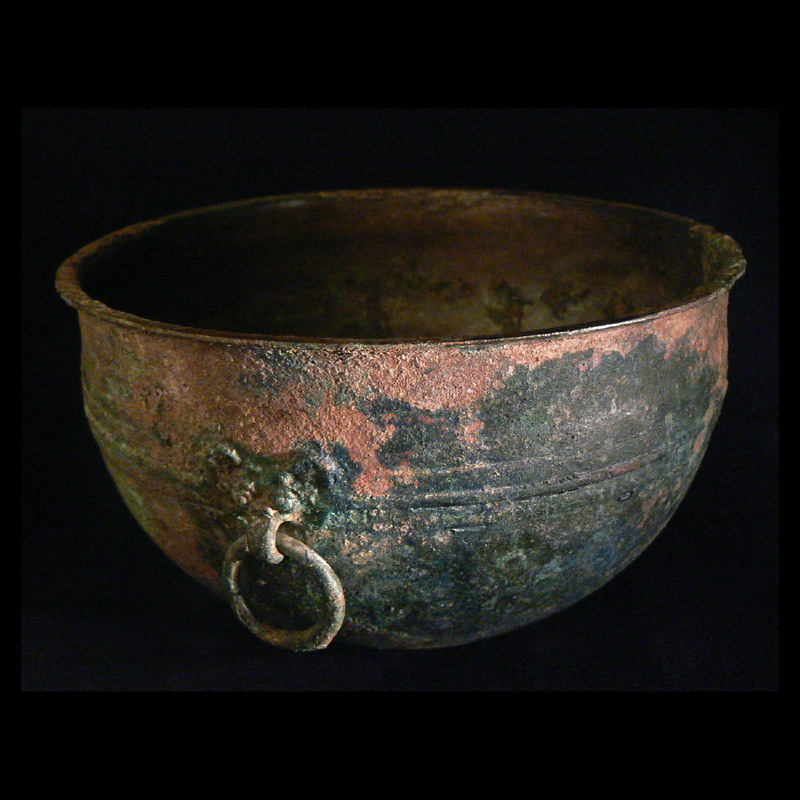 Bronze objects were then considered by the aristocracy as more important than gold. 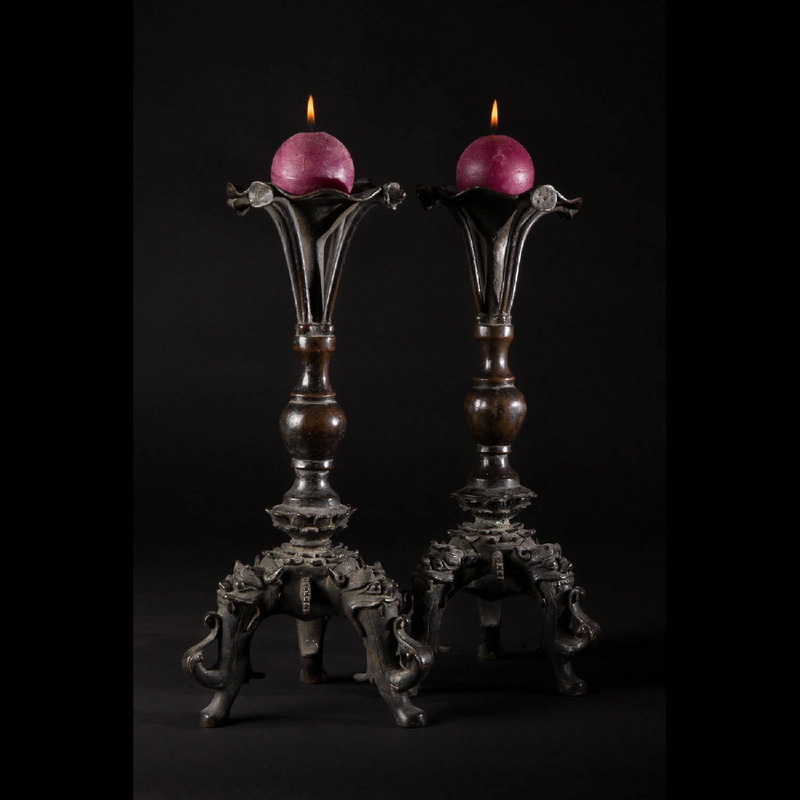 In fact, they were very expensive and only used by nobles. 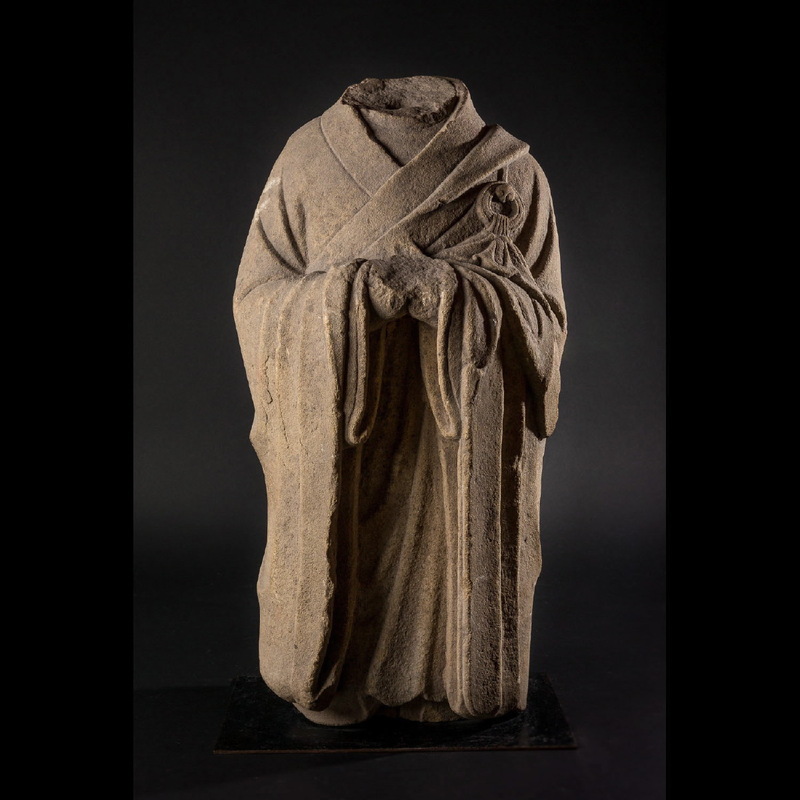 The Han dynasty, spanning over four centuries, was an age of economic prosperity that established Confucianism as the basis for correct conduct. 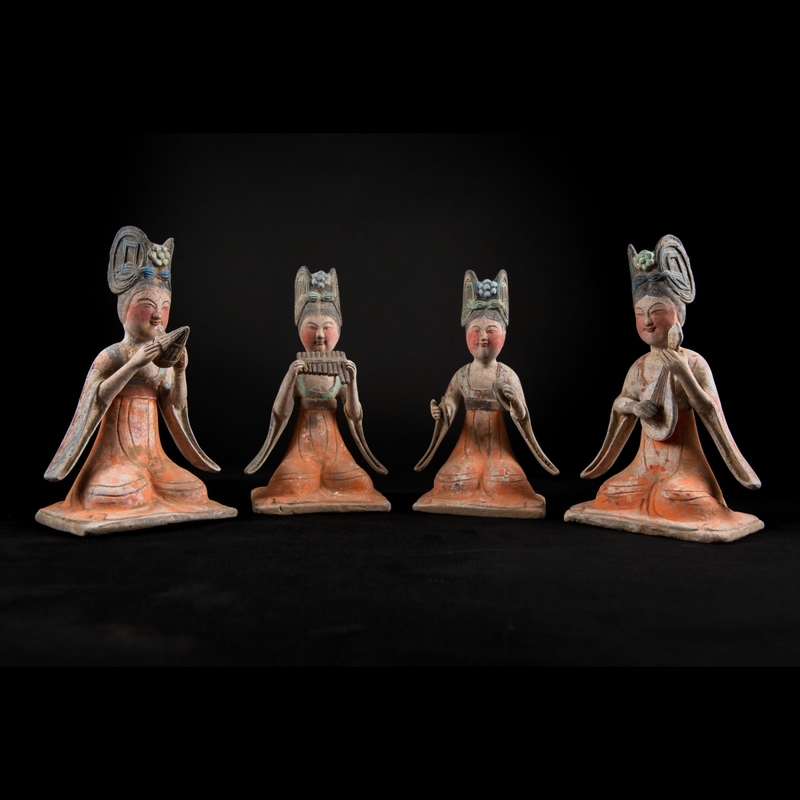 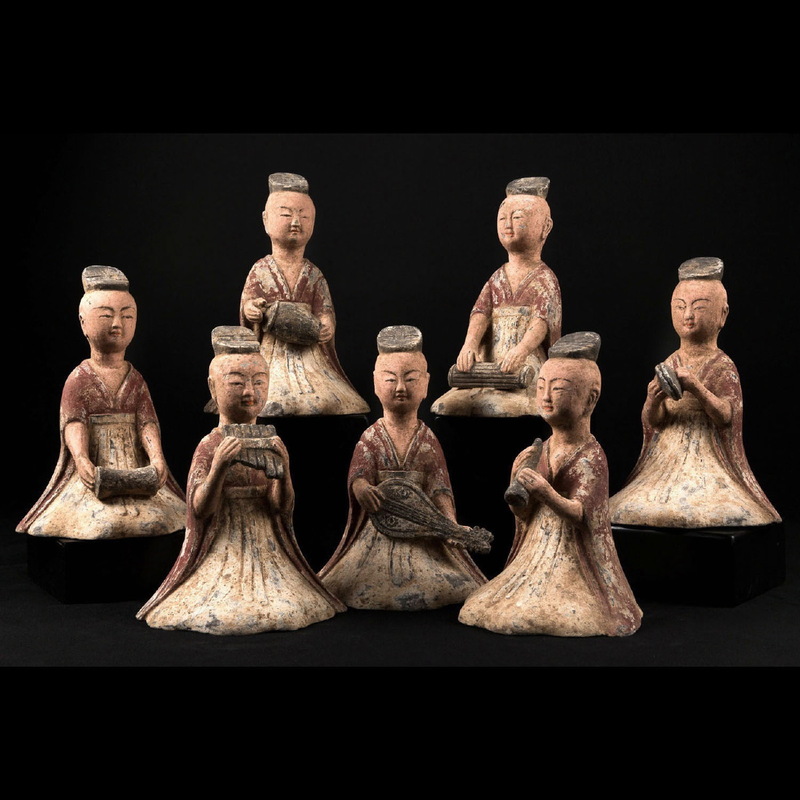 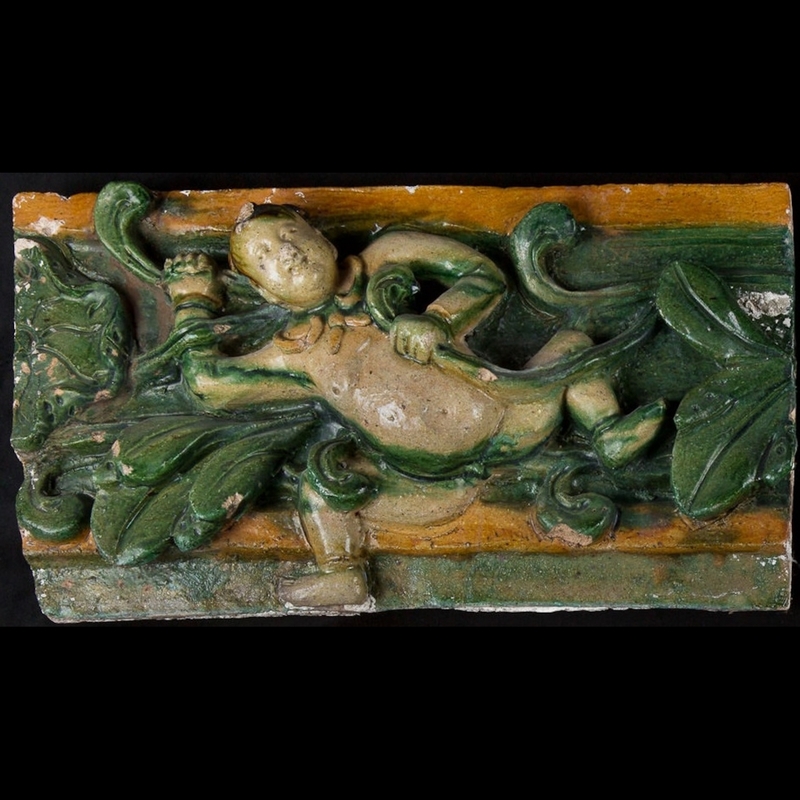 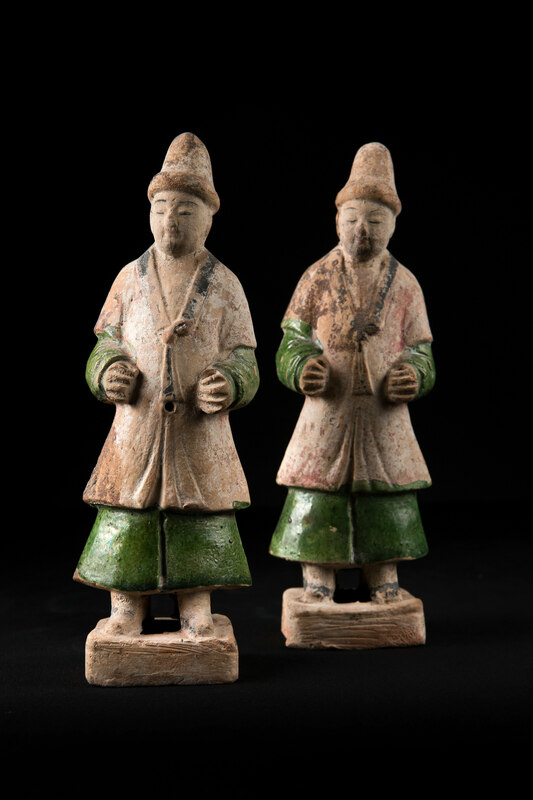 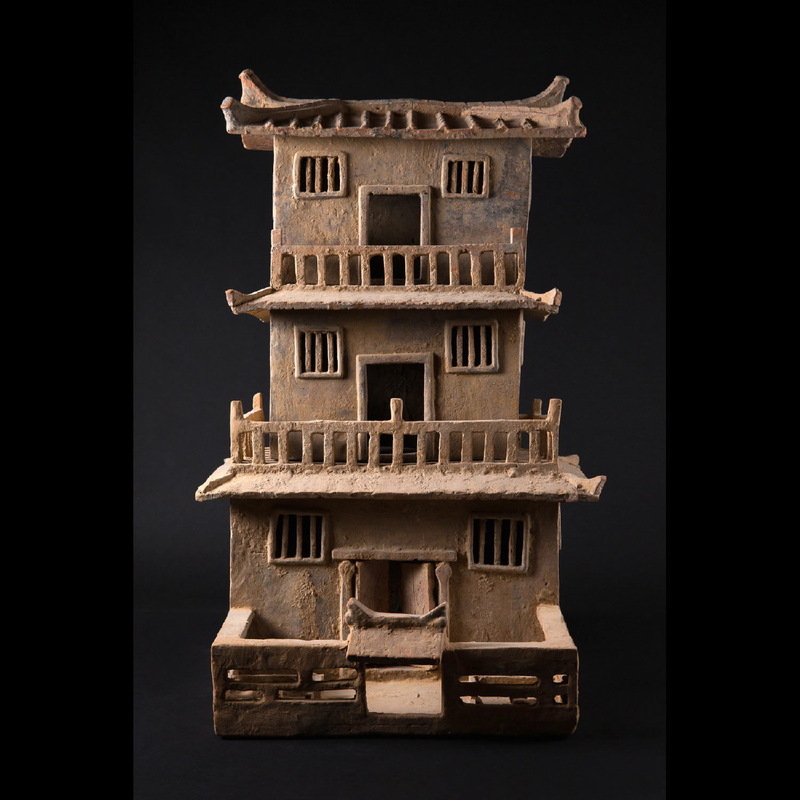 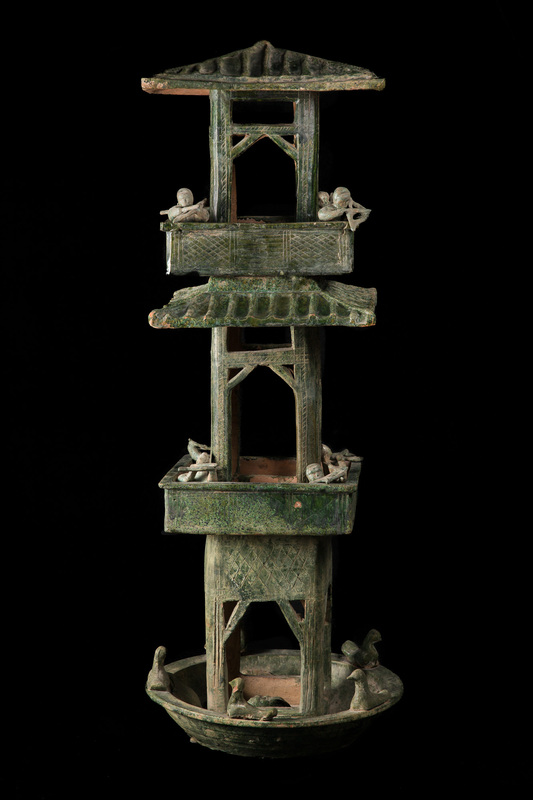 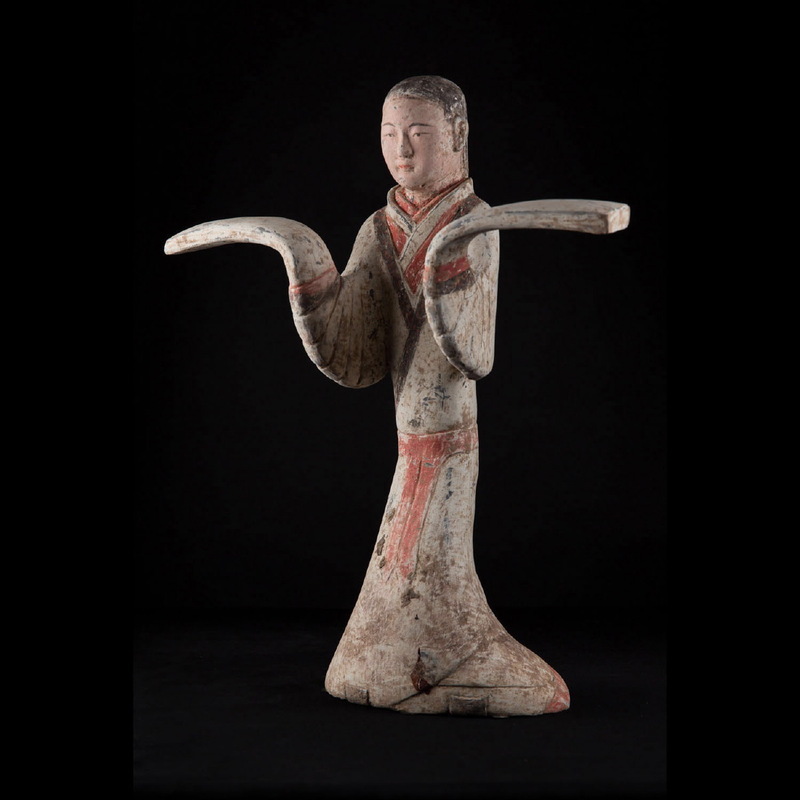 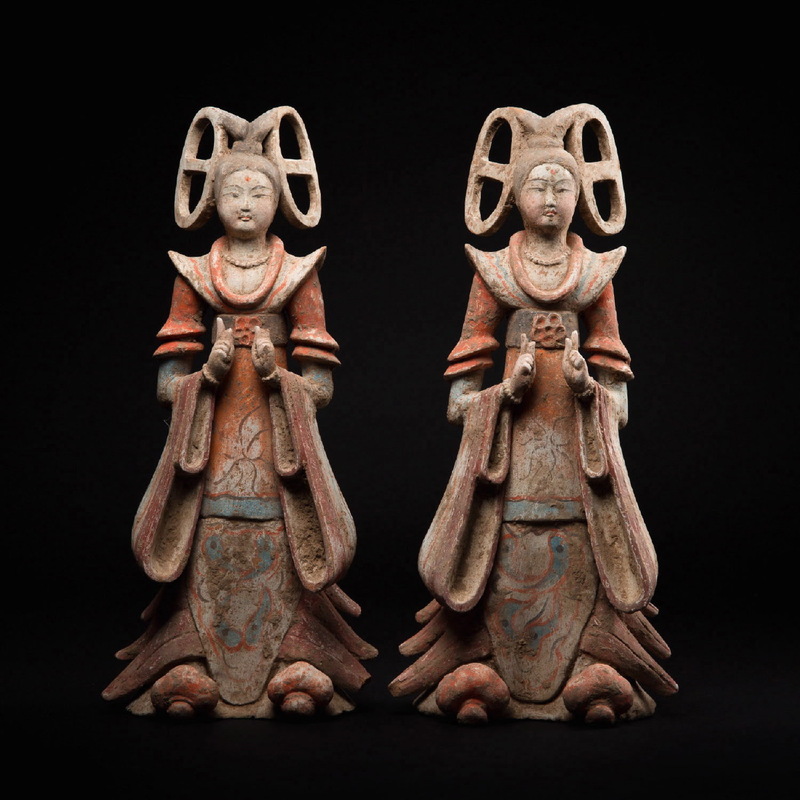 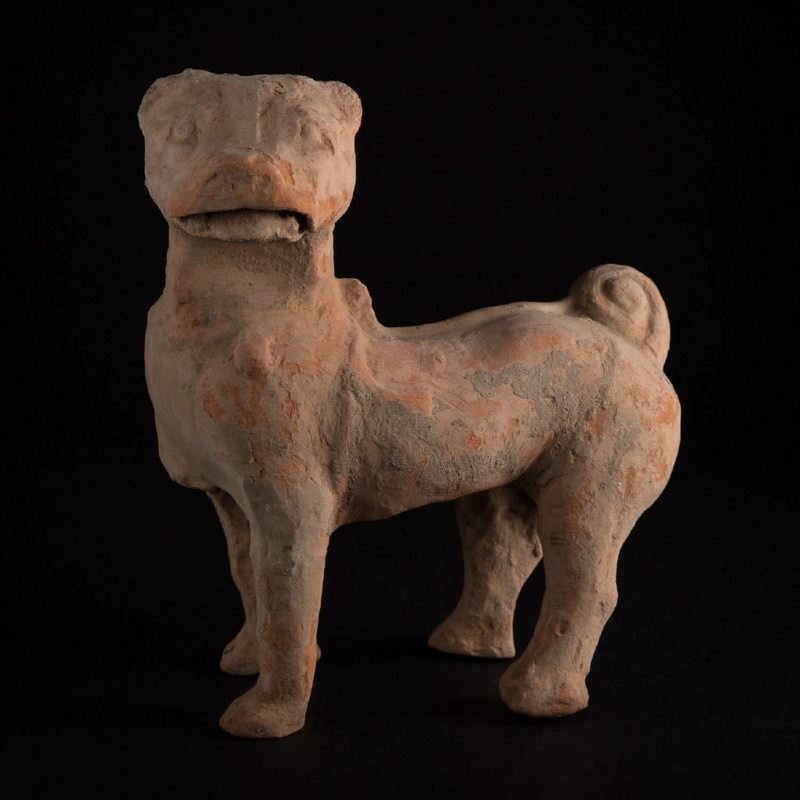 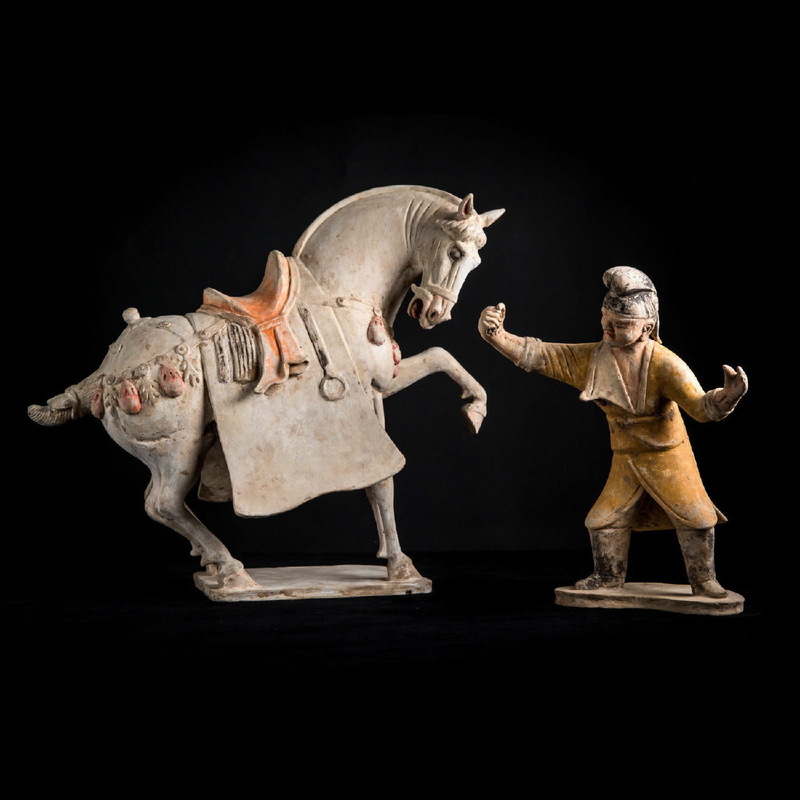 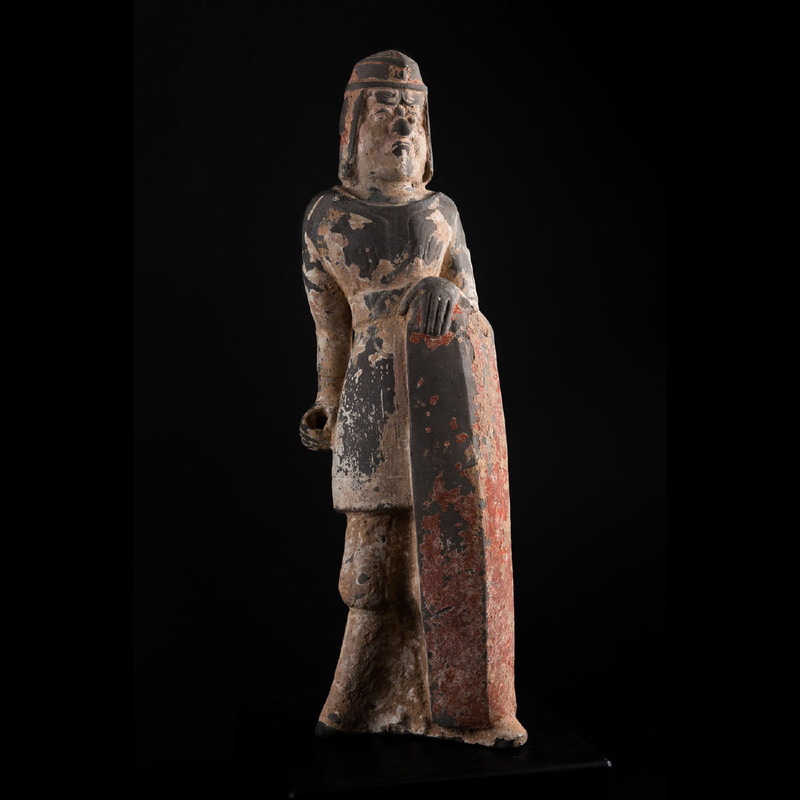 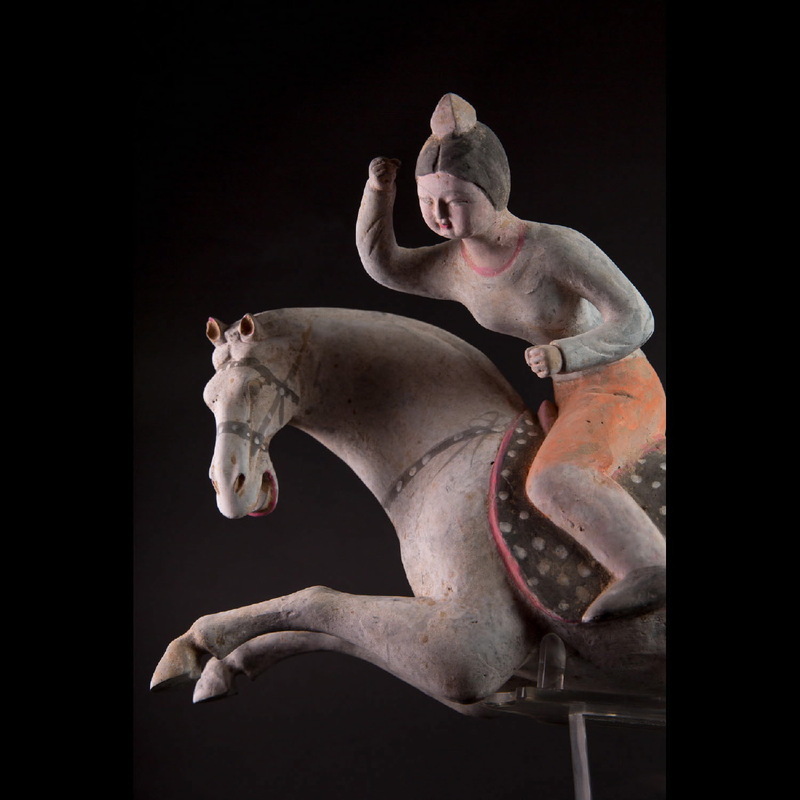 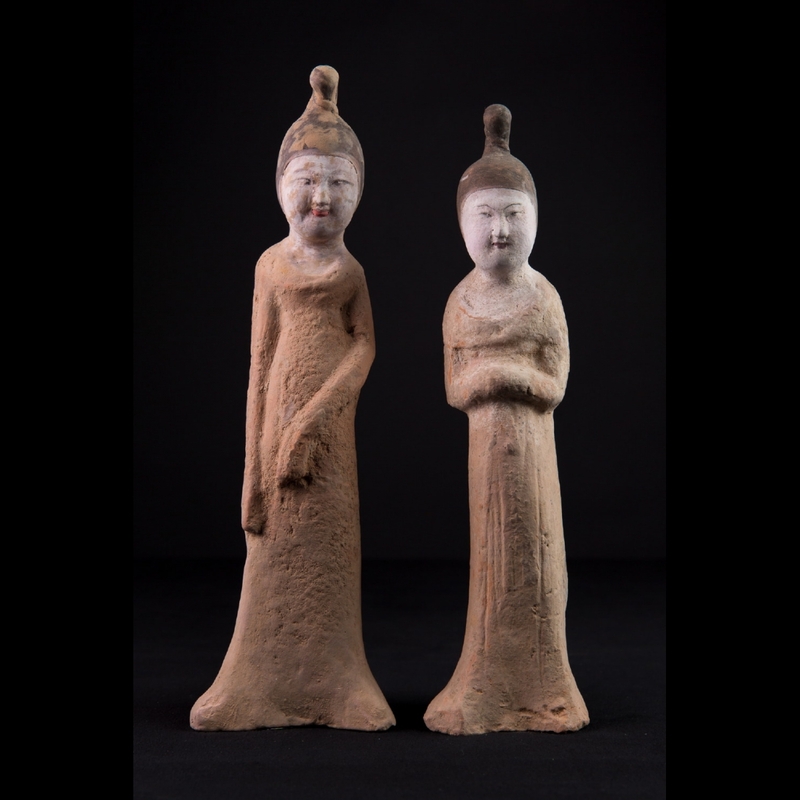 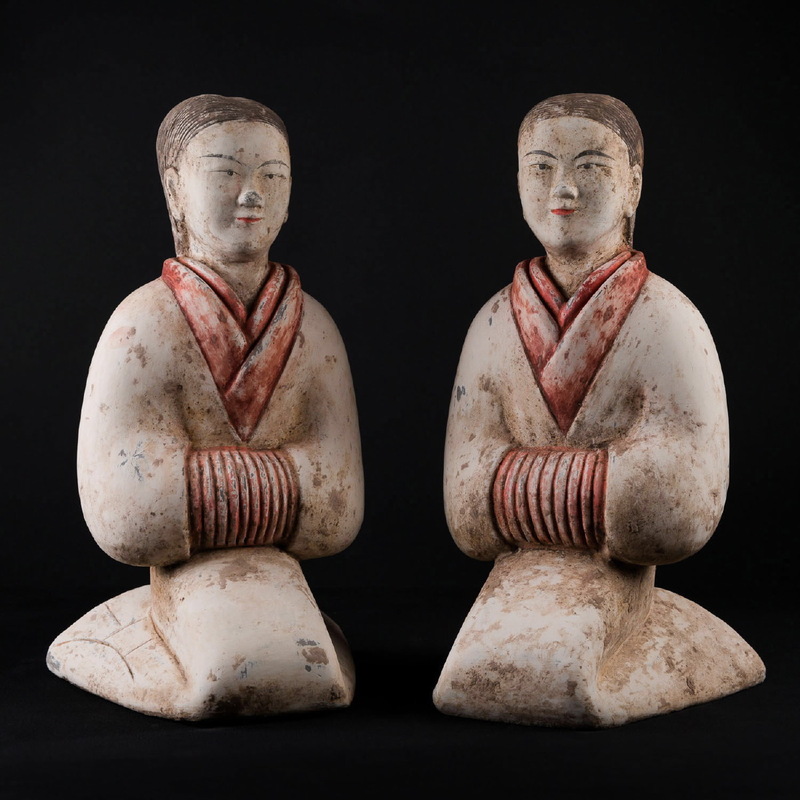 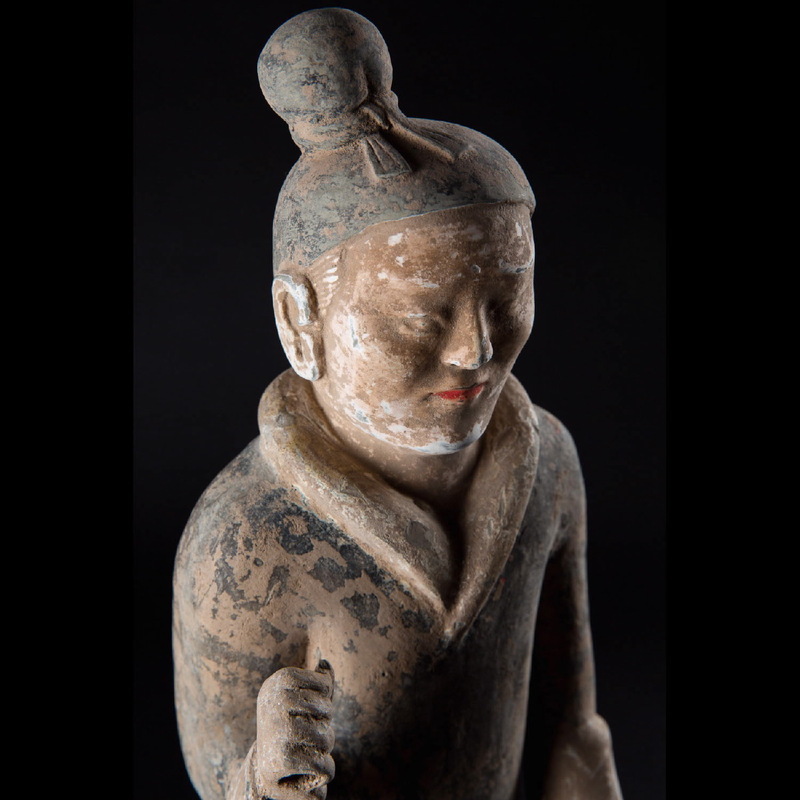 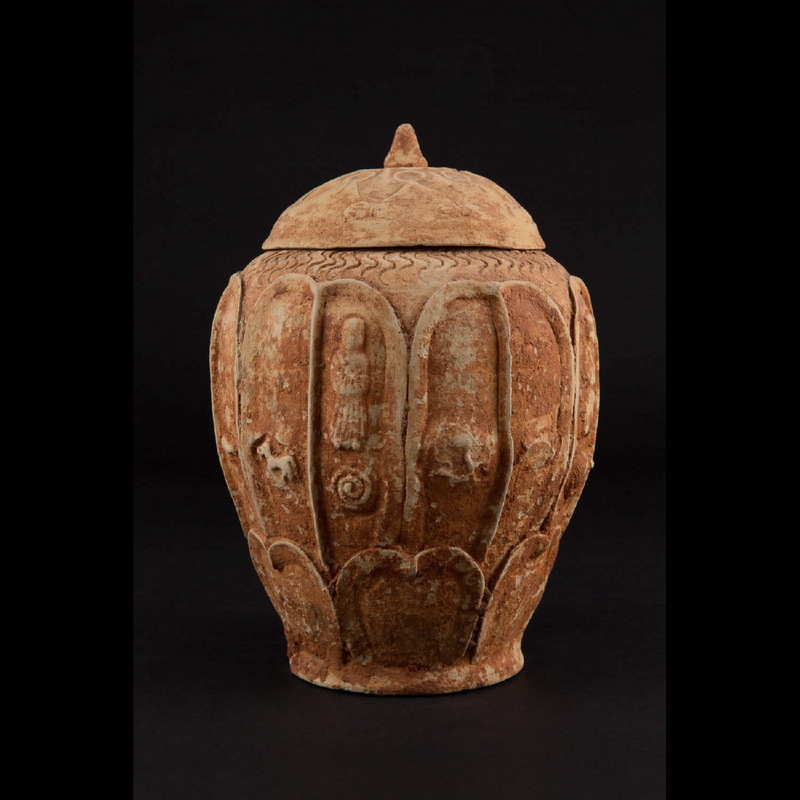 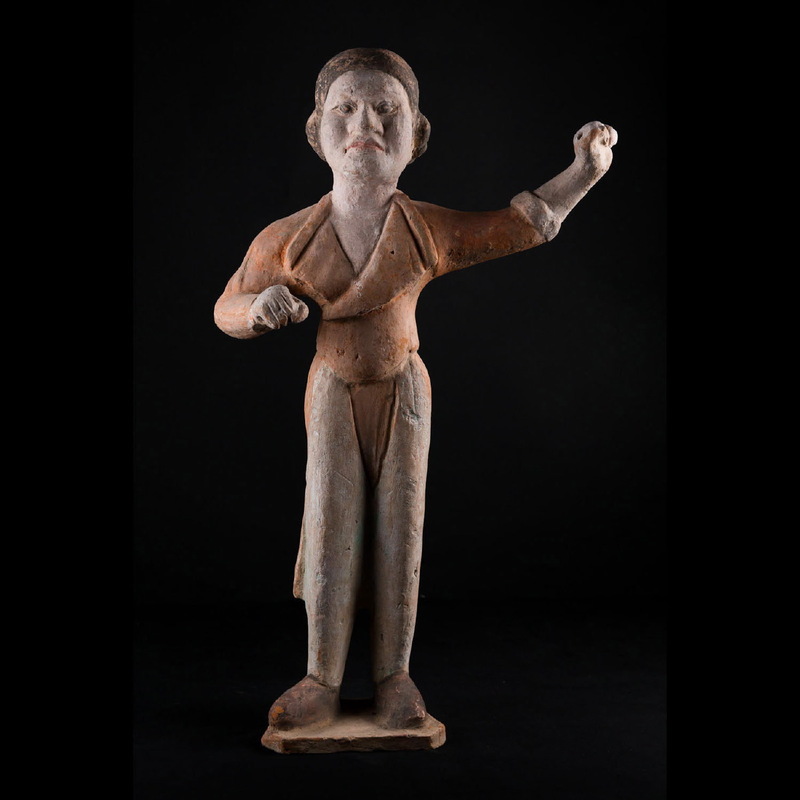 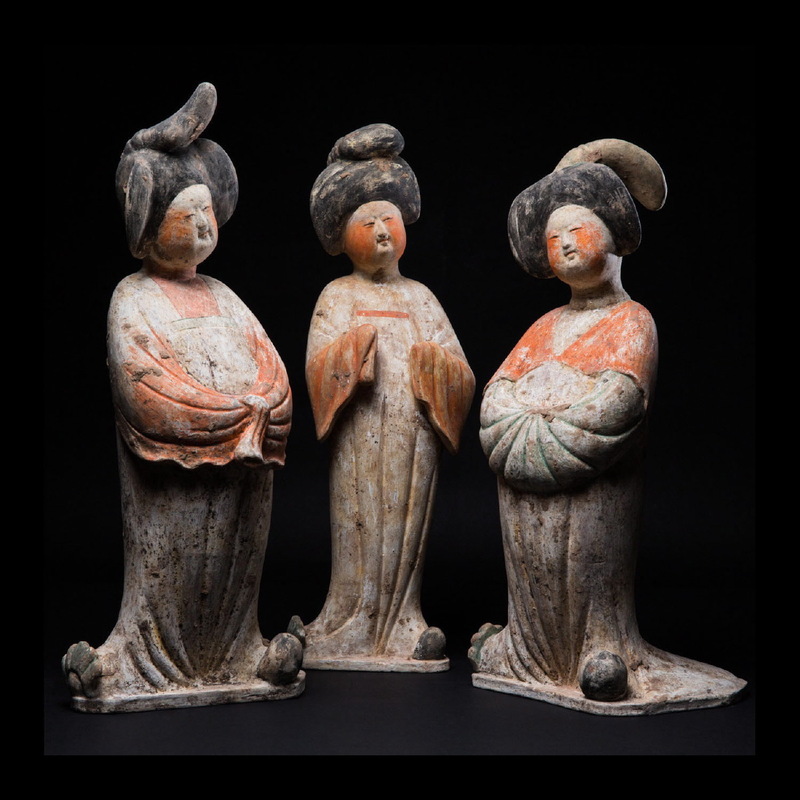 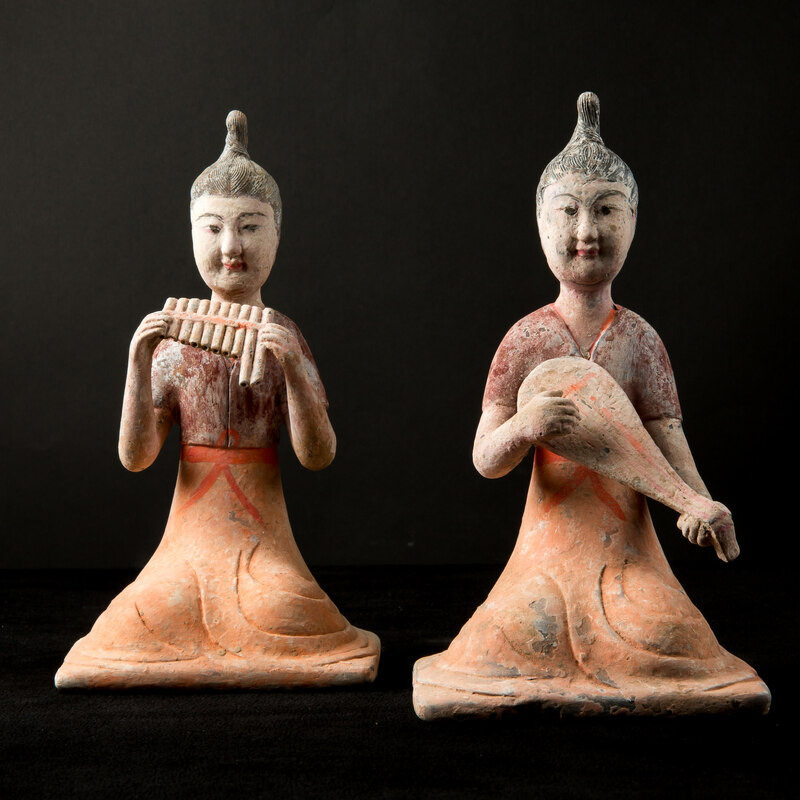 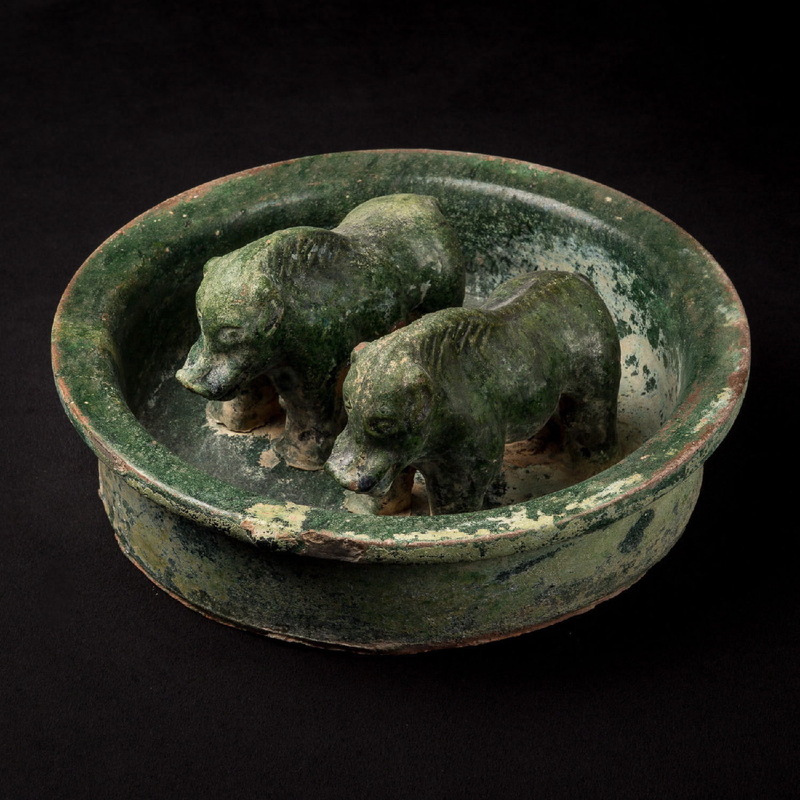 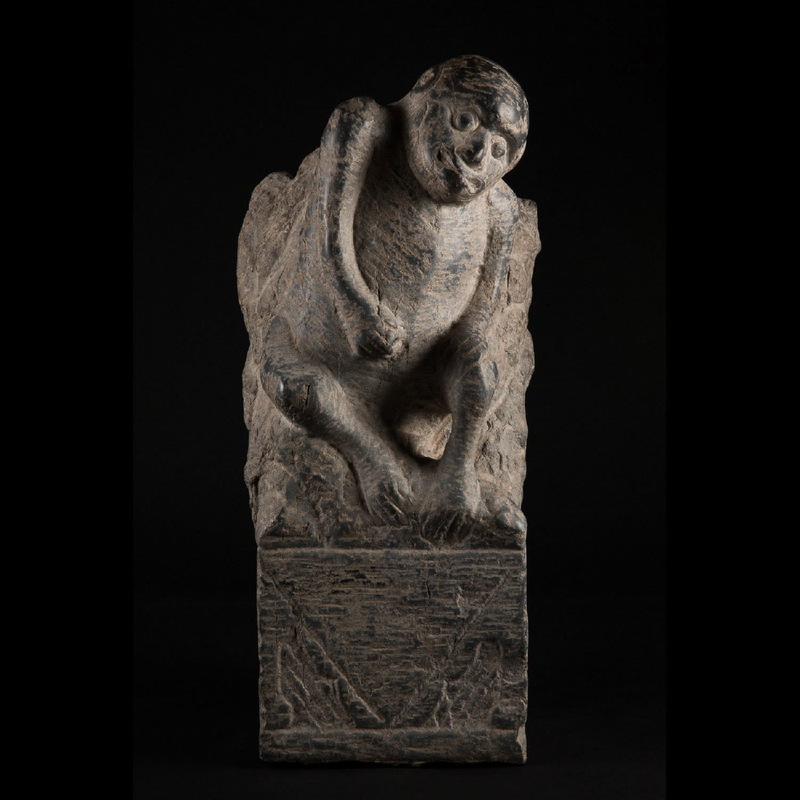 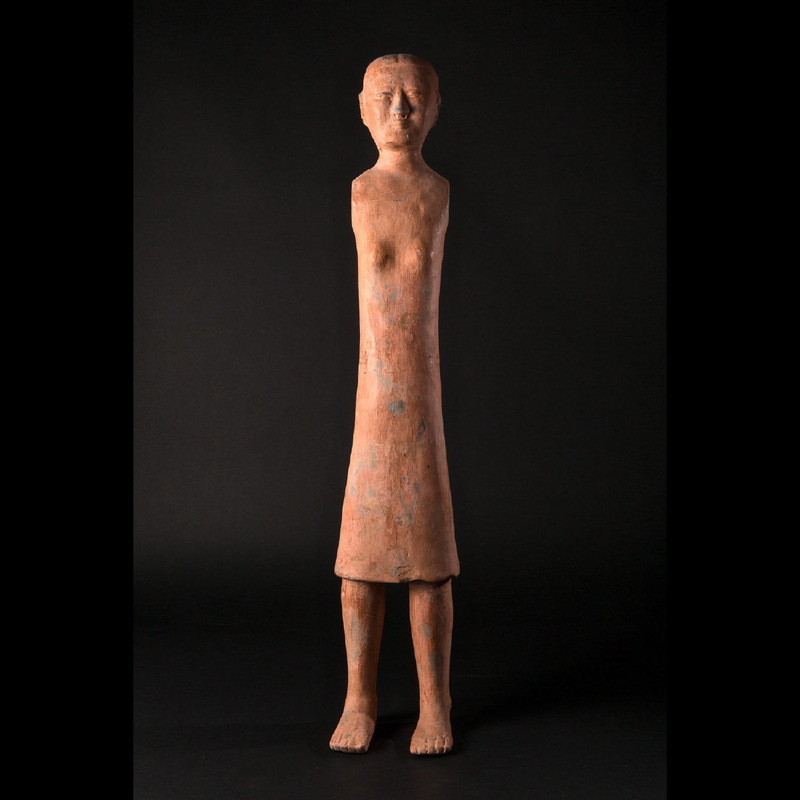 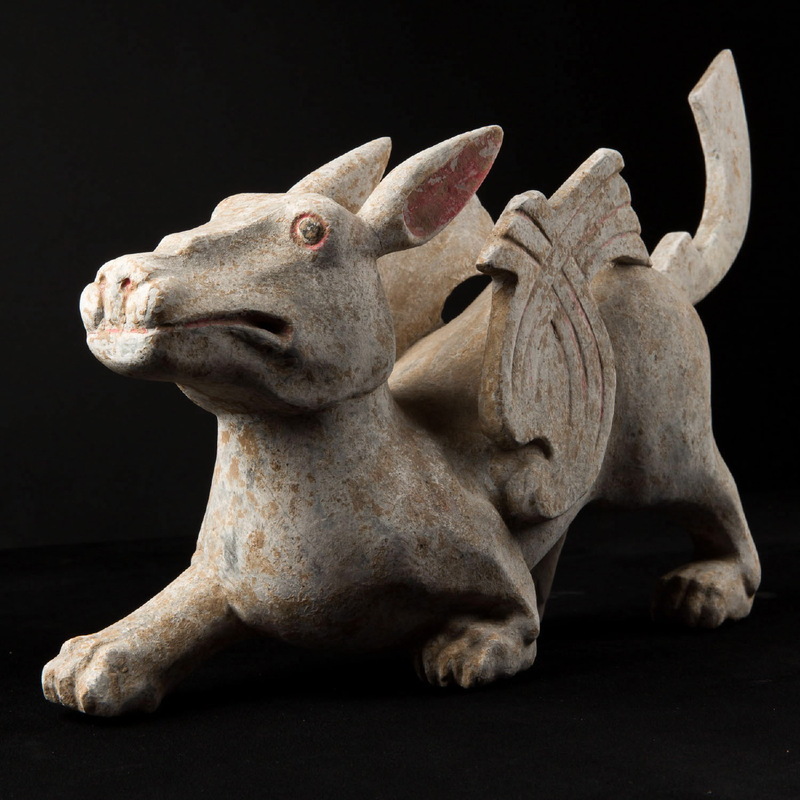 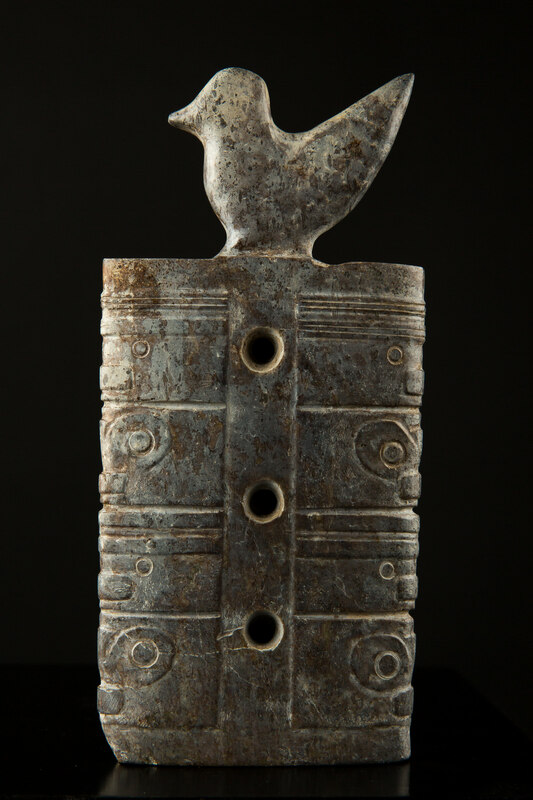 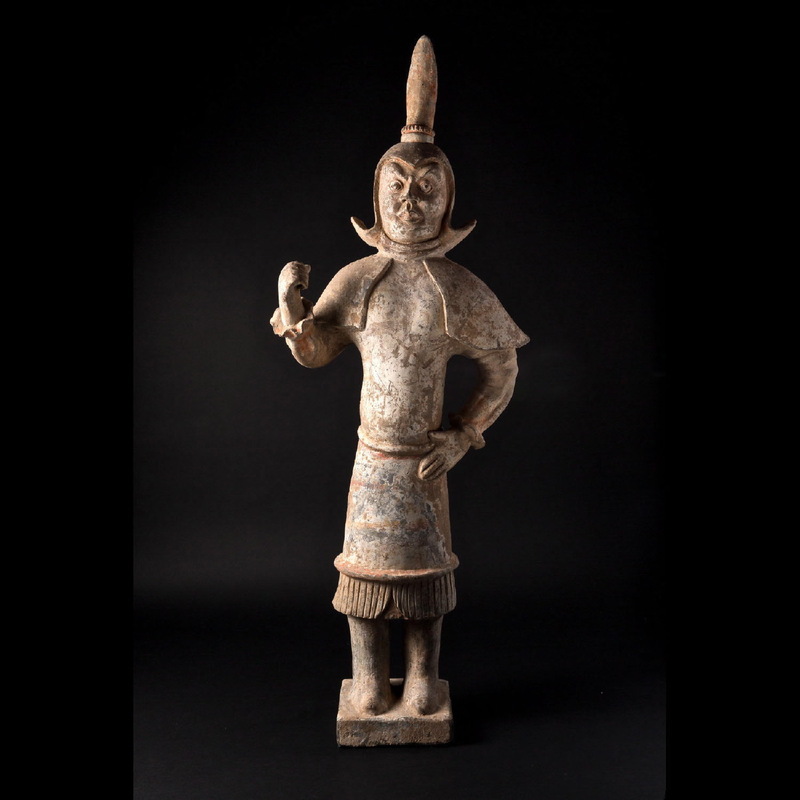 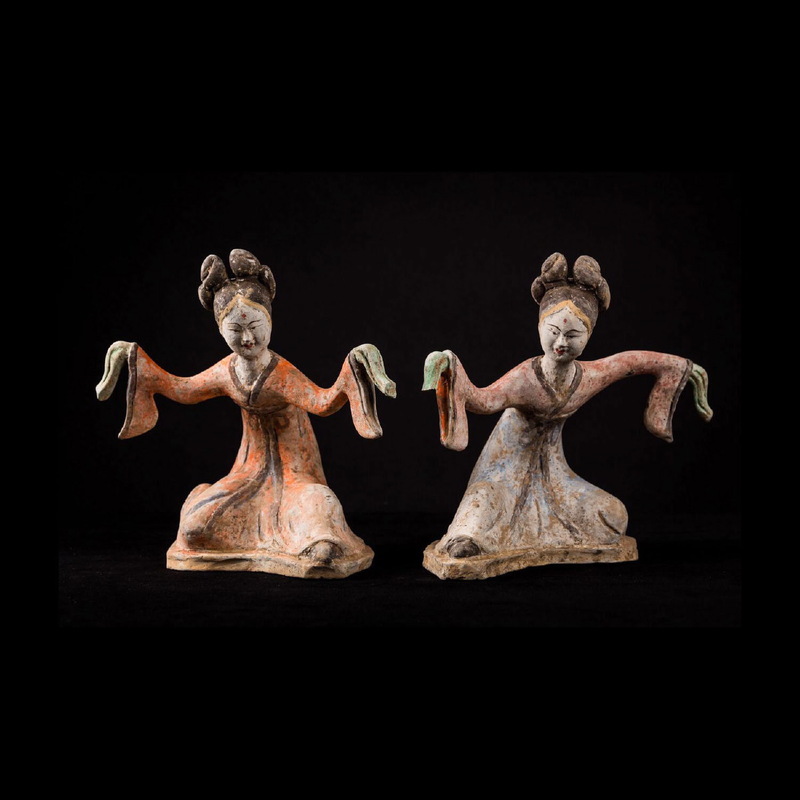 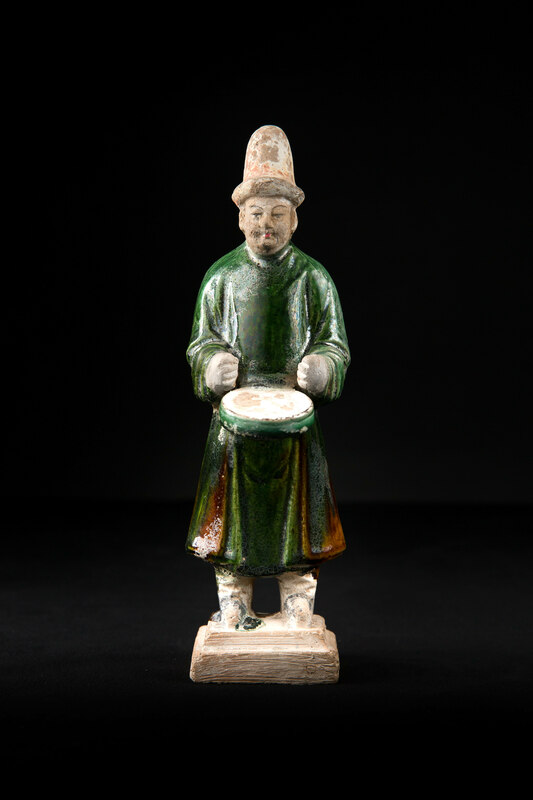 Originating from the Northeast, the Han placed terracotta figurines in tombs to replace former human sacrifices. 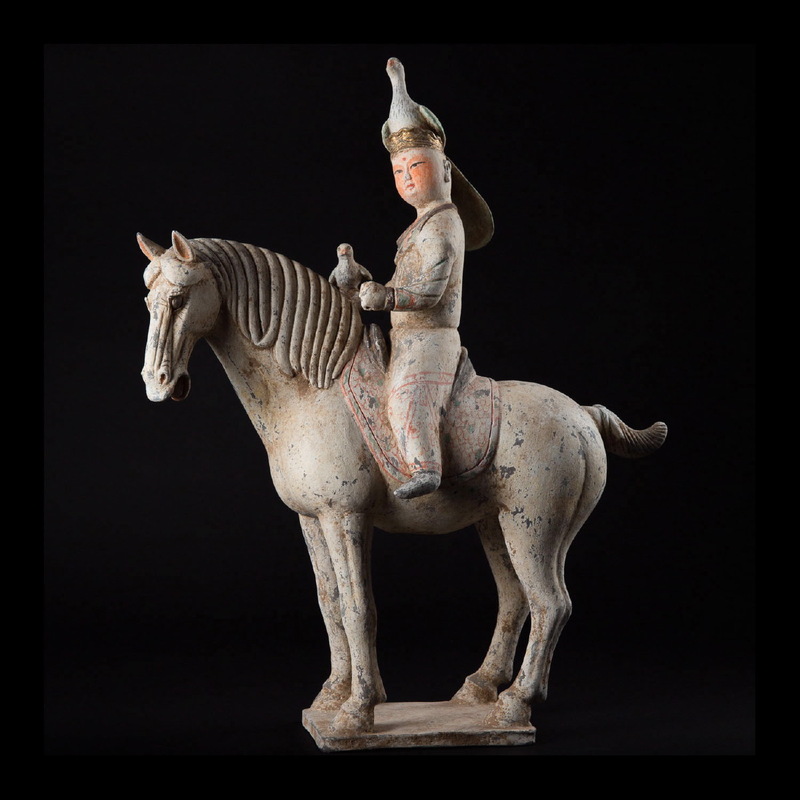 Qin Shi, Huang Emperor, placed a terracotta army in his tomb to enjoy the afterlife as when alive. 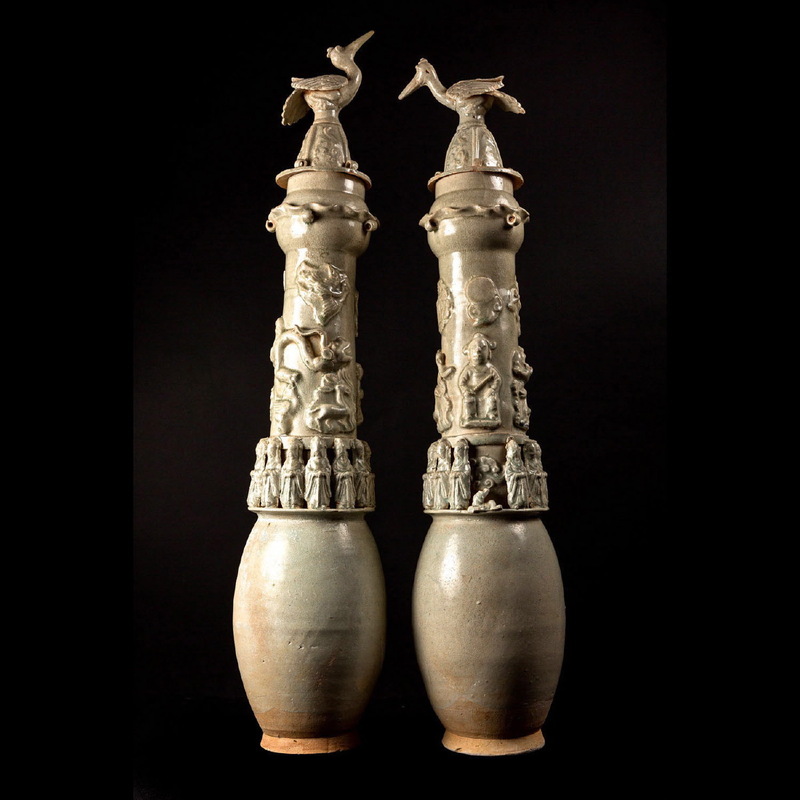 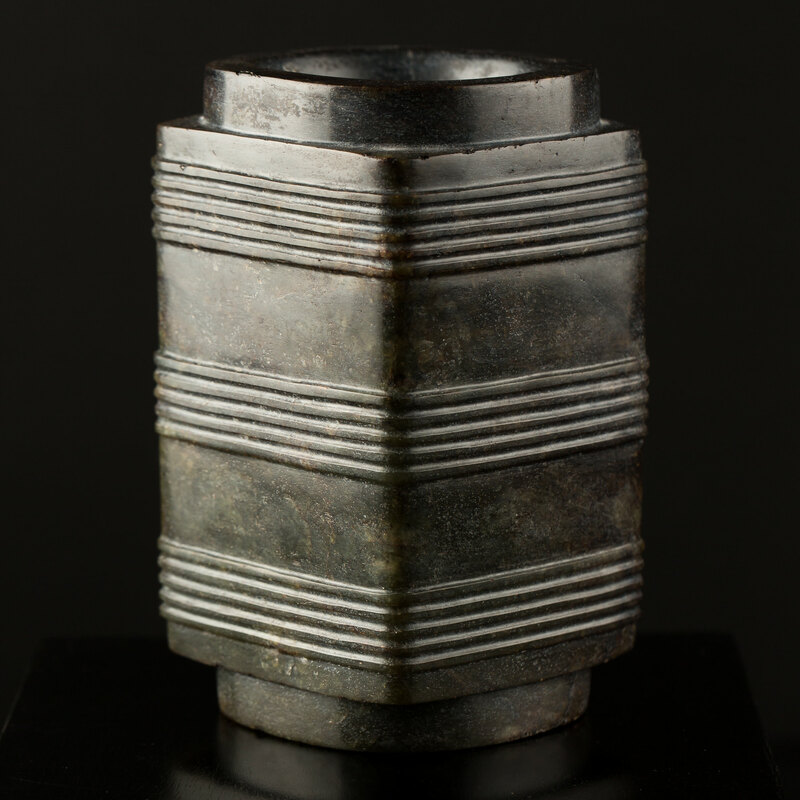 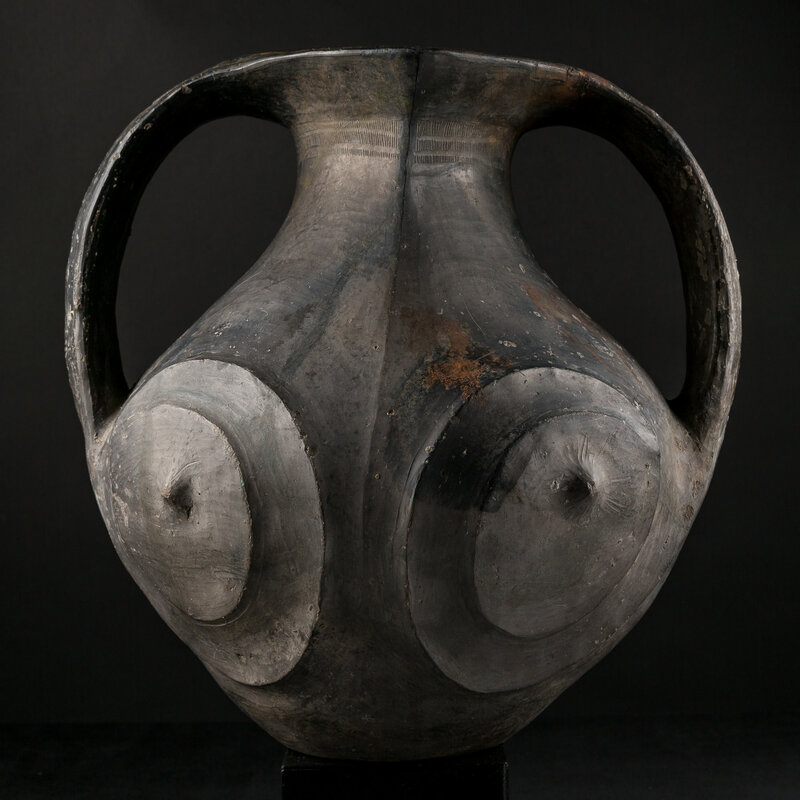 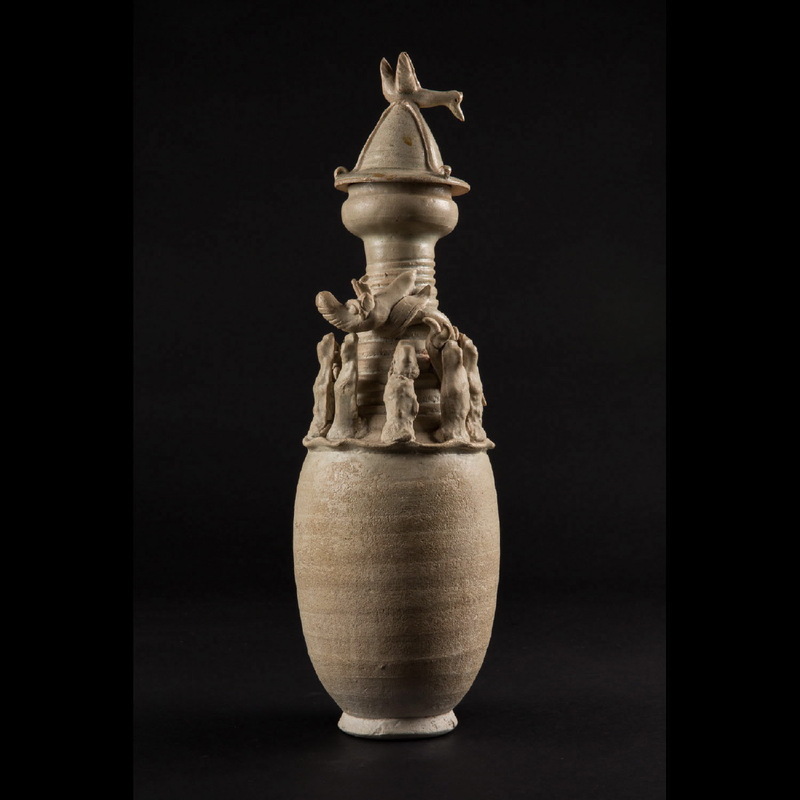 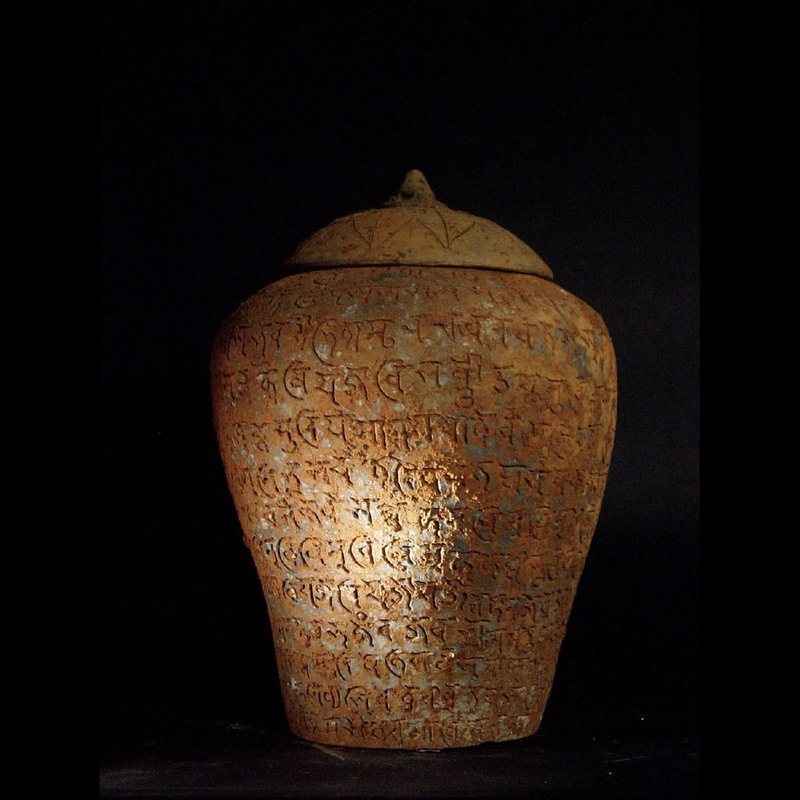 It is an art of incredible modernity, with slender statues and simple vases and vessels that I have always honoured in my collections. 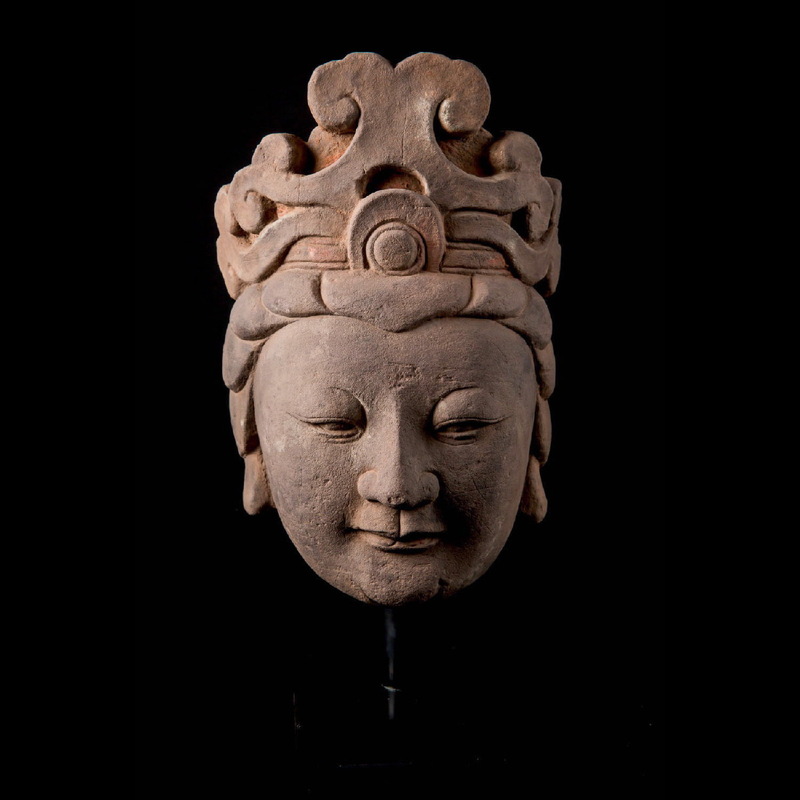 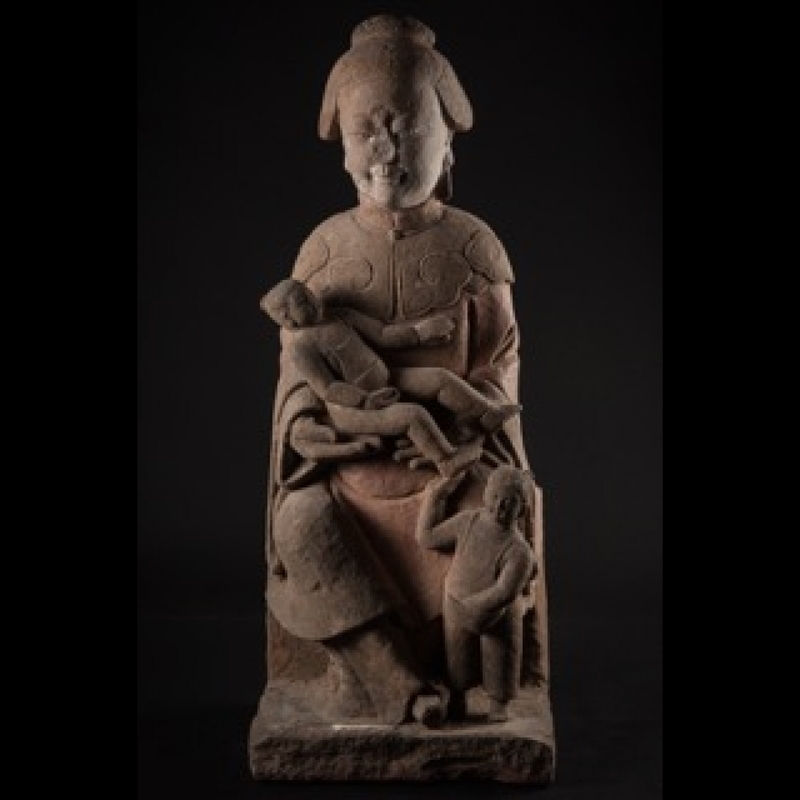 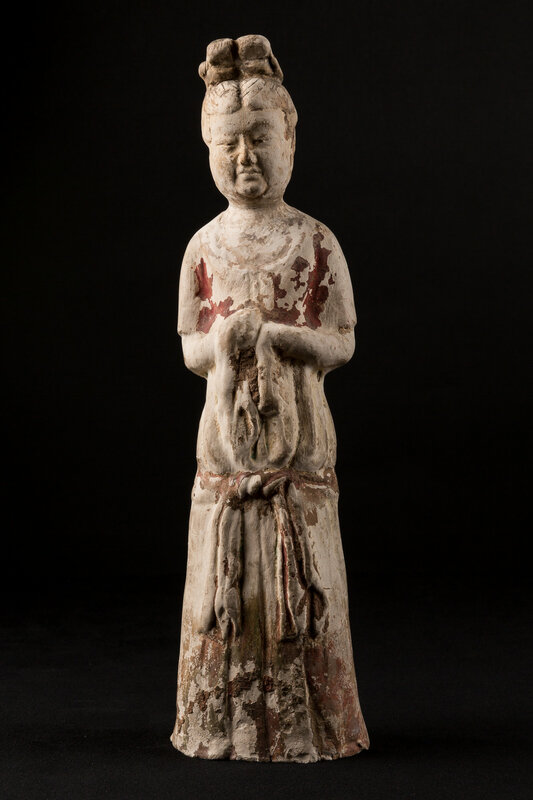 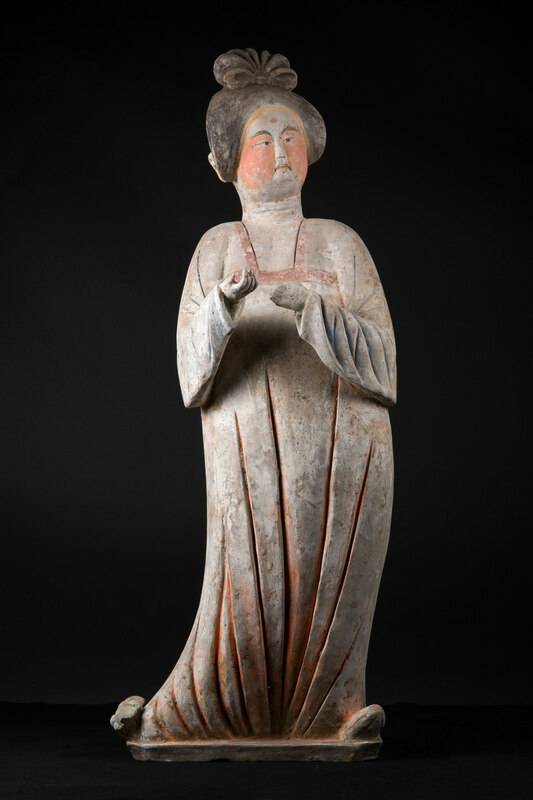 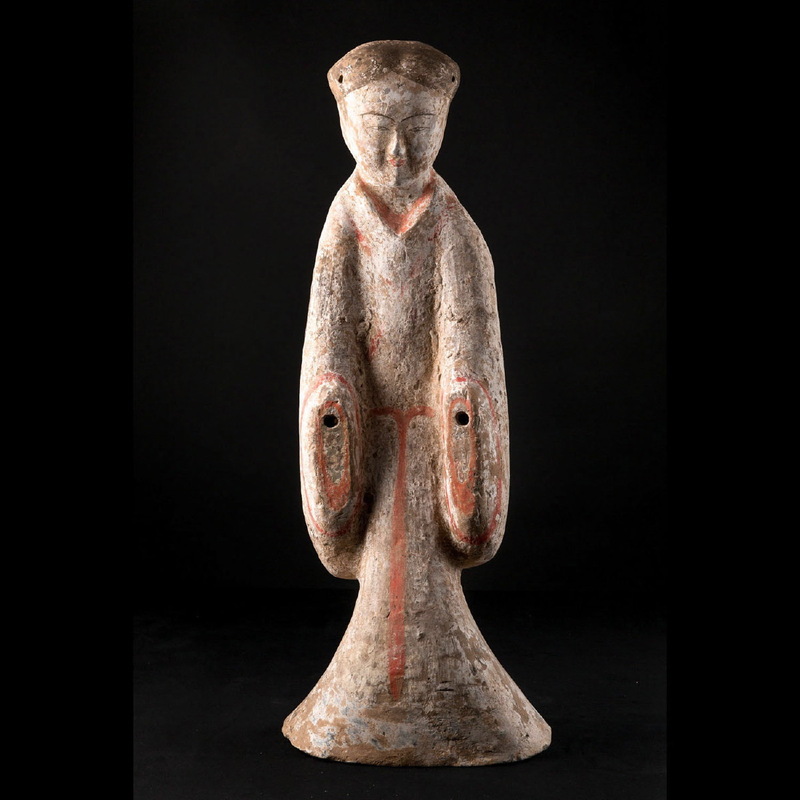 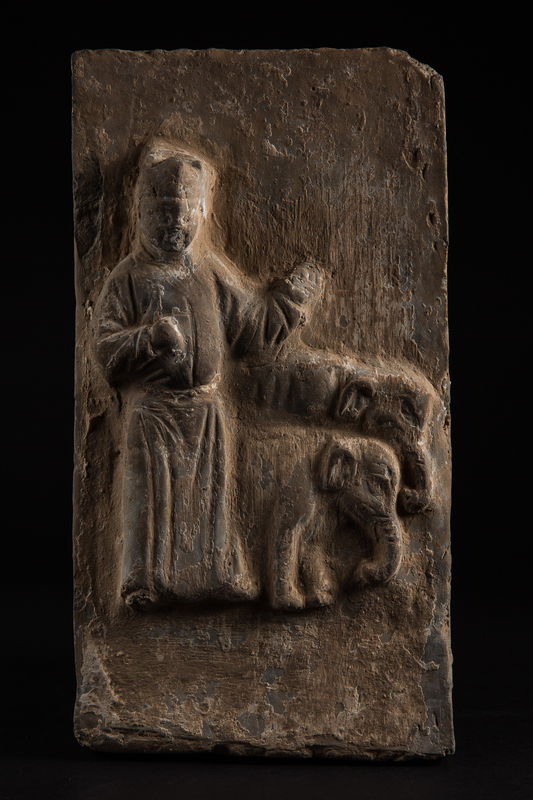 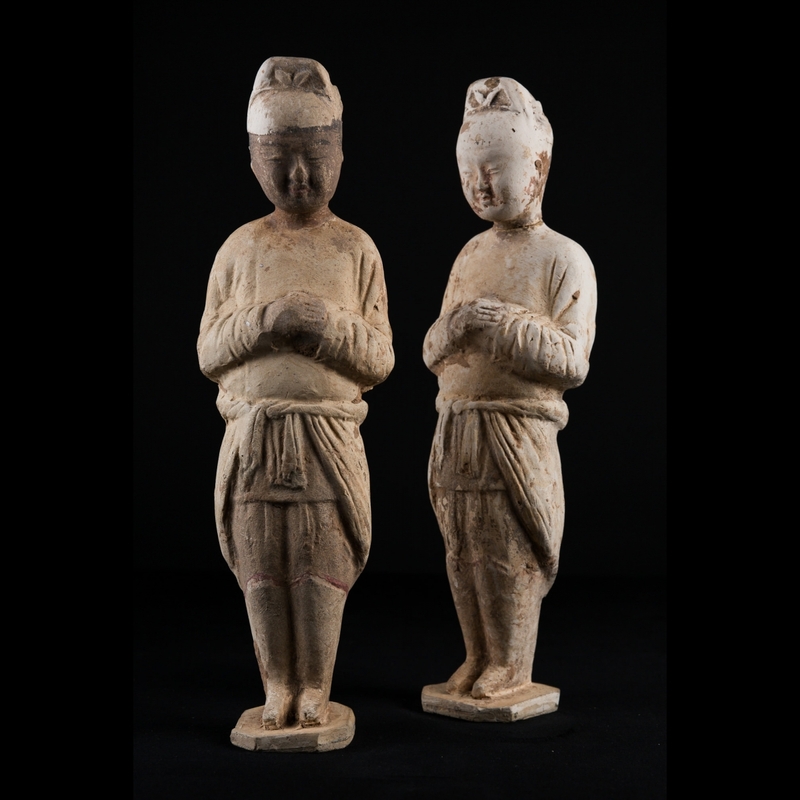 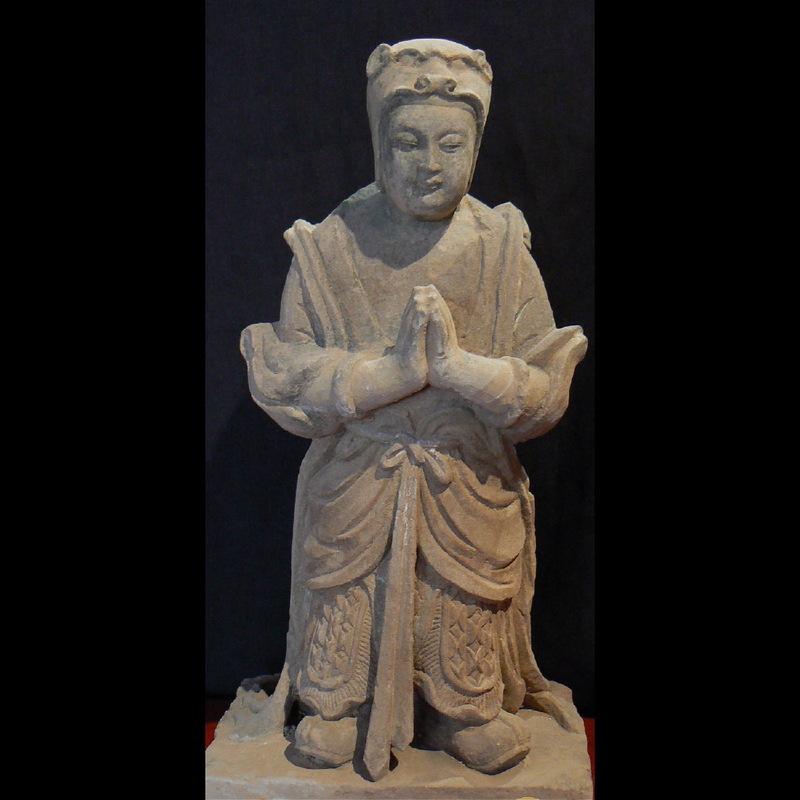 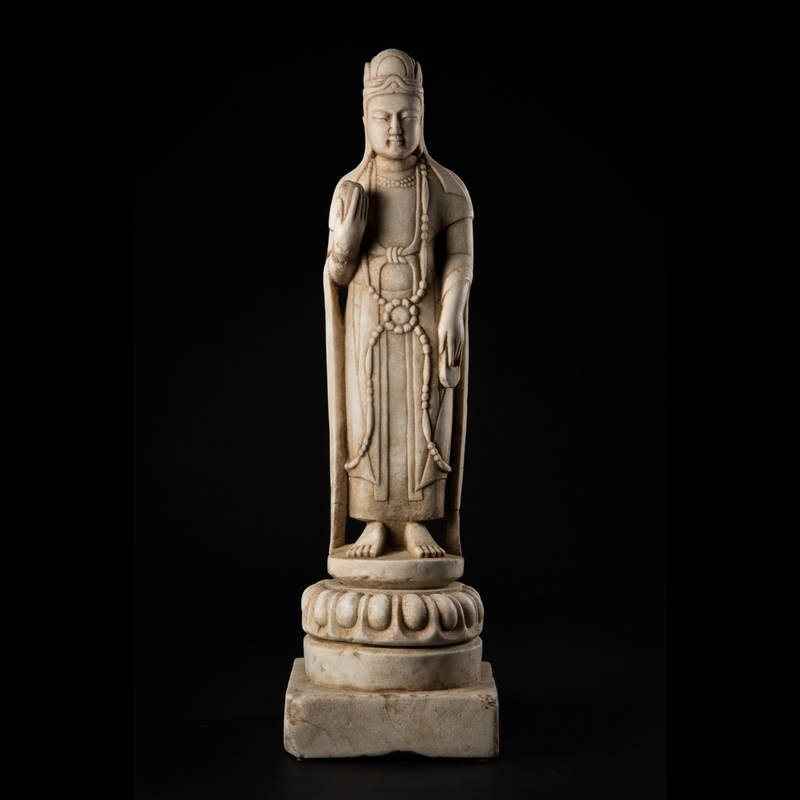 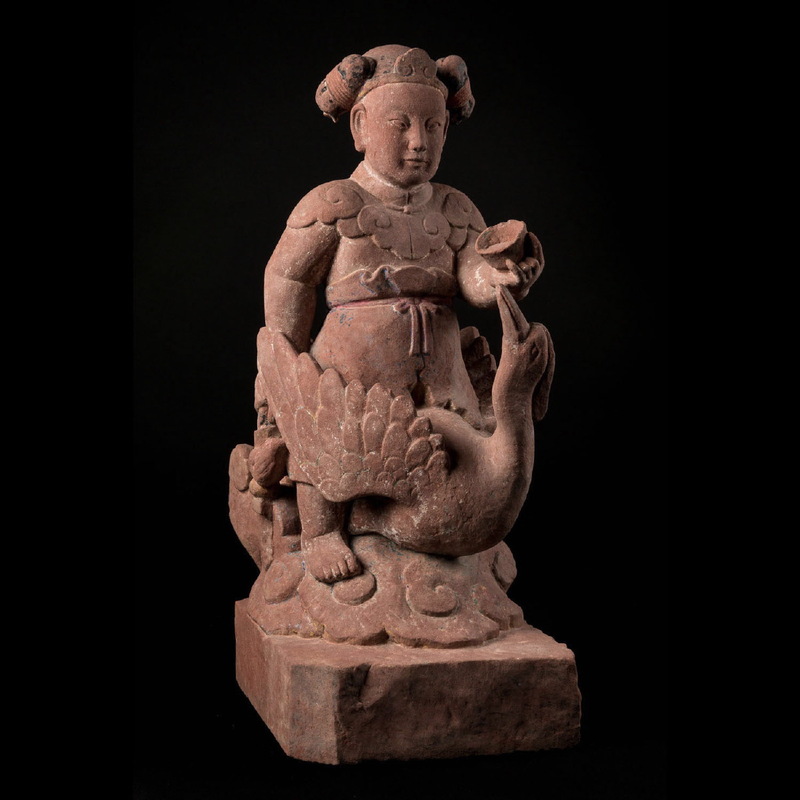 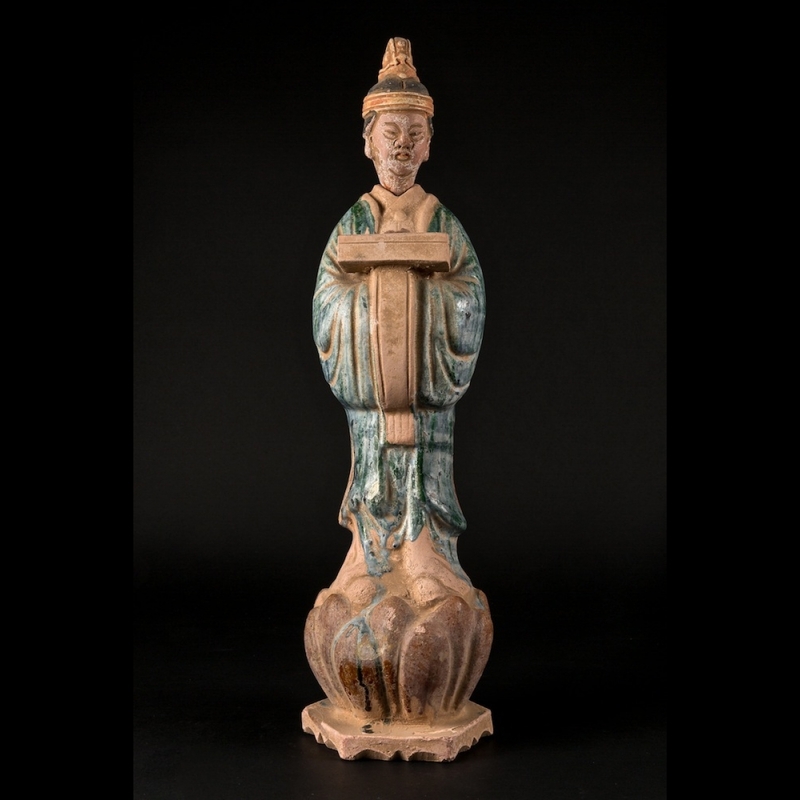 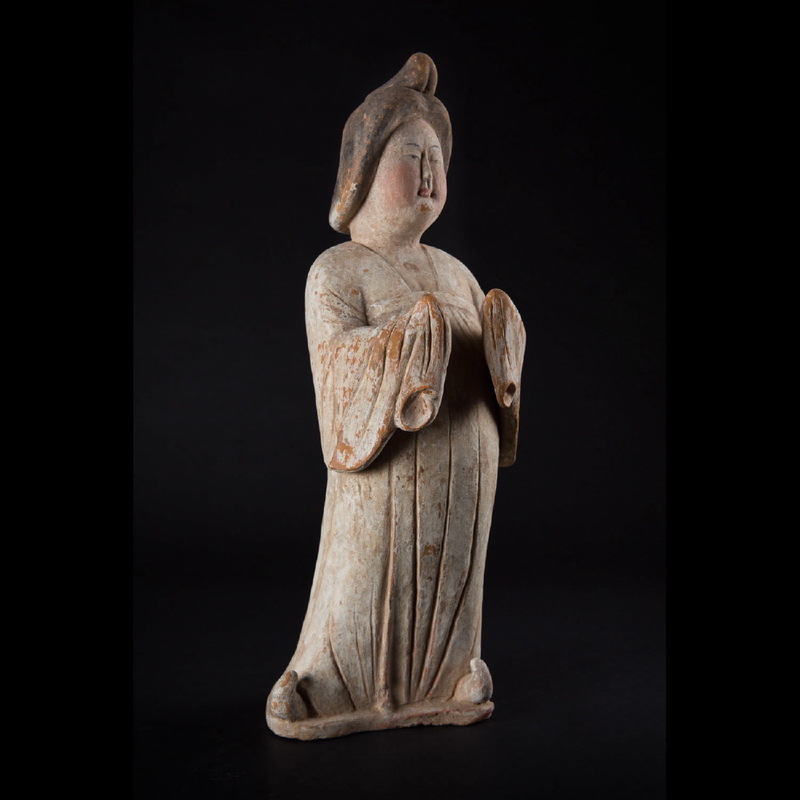 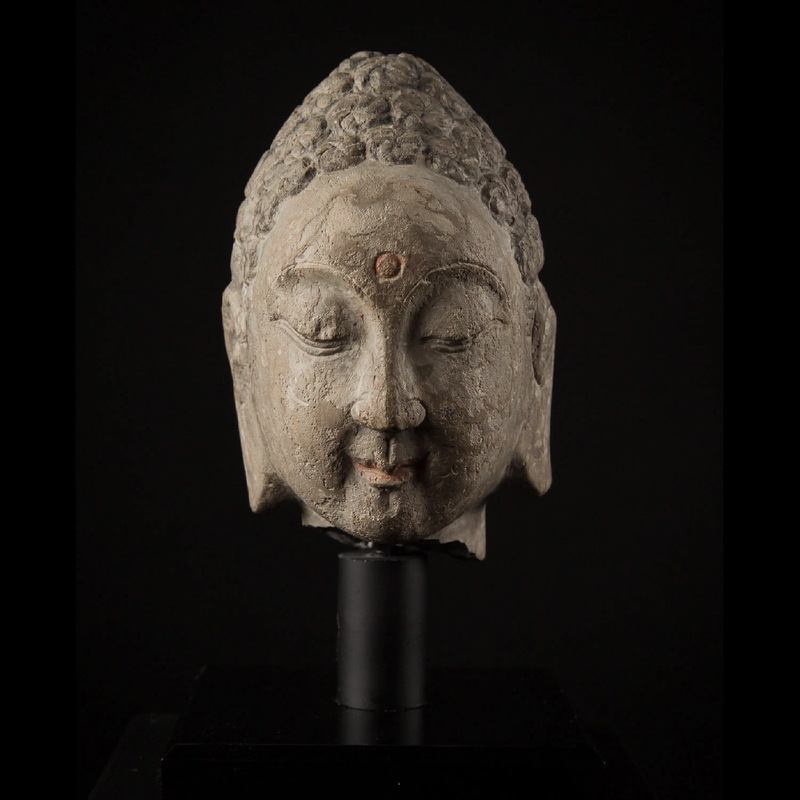 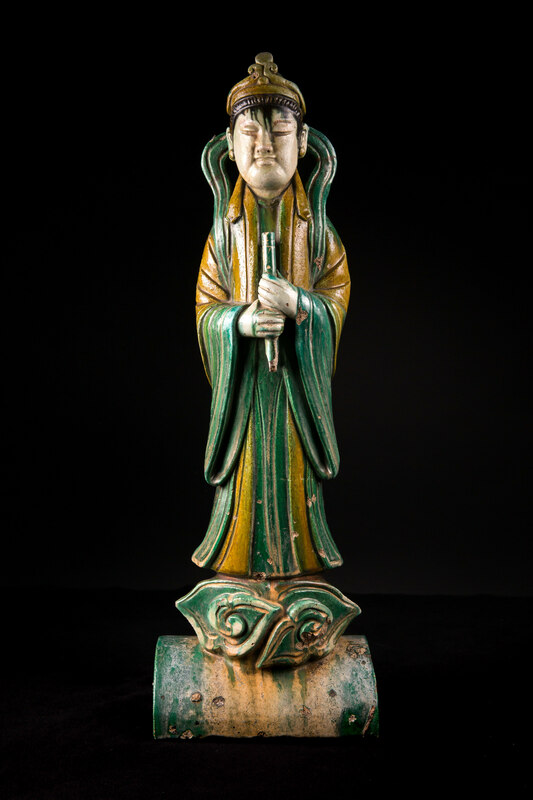 The arrival of Buddhism from the West in the AD 6-7th century became a dominant subject in Chinese sculpture. 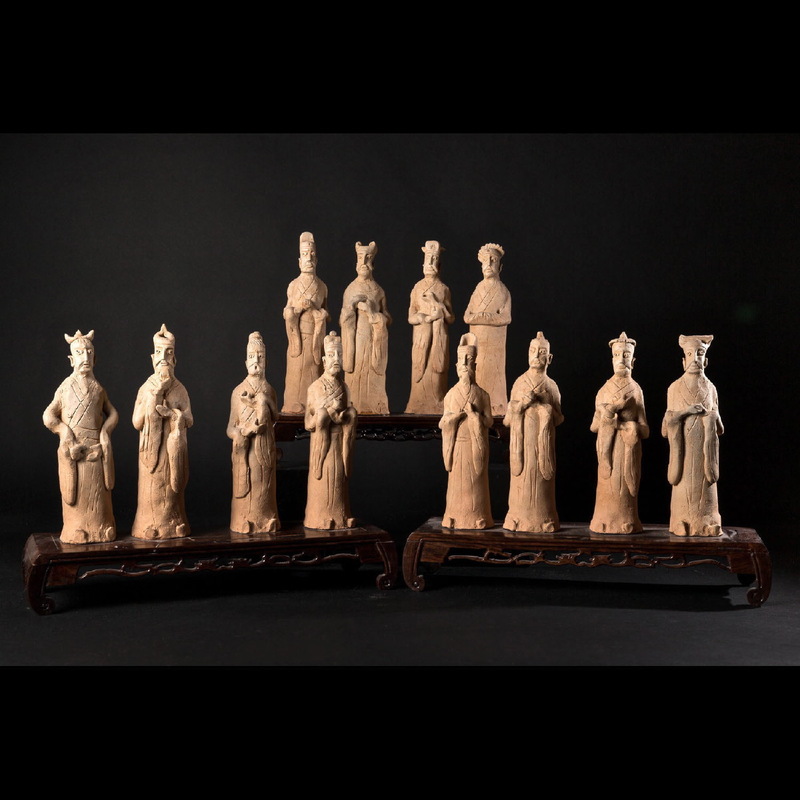 Mixed with Taoism and Confucianism, the Chinese identity loved both horizontality and symmetry. 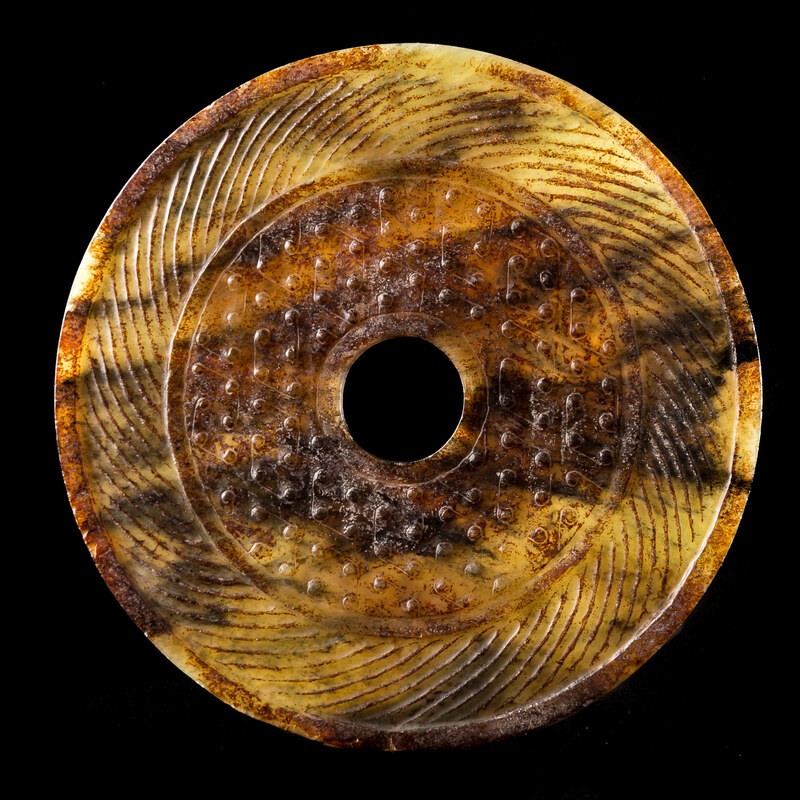 The Tang invented paper, woodblock printing, porcelain and new techniques for glazing colourful ceramics. 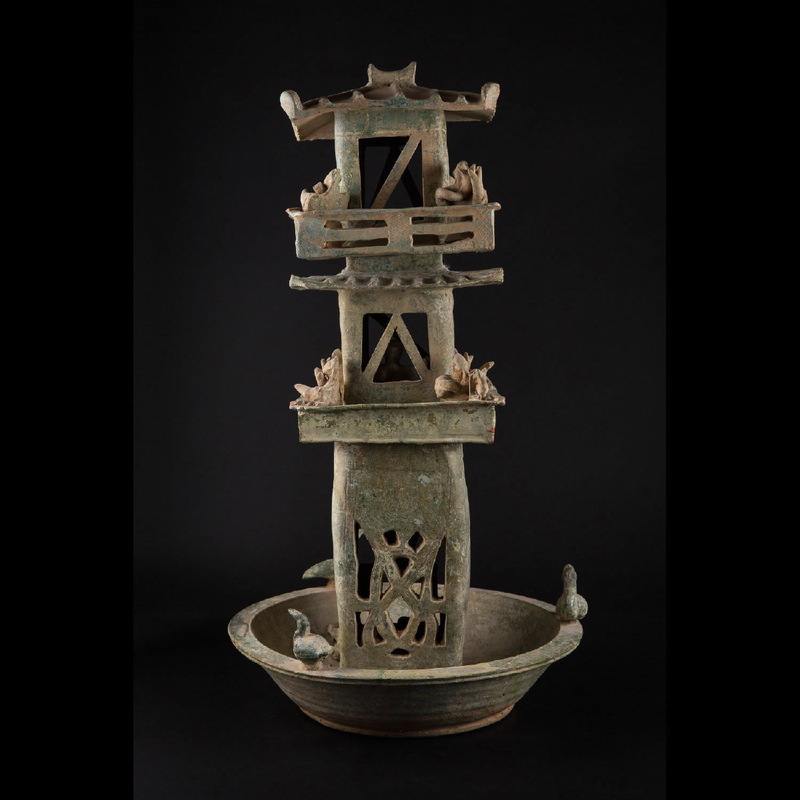 It is regarded as a high point in Chinese civilization and a golden age of cosmopolitan culture. 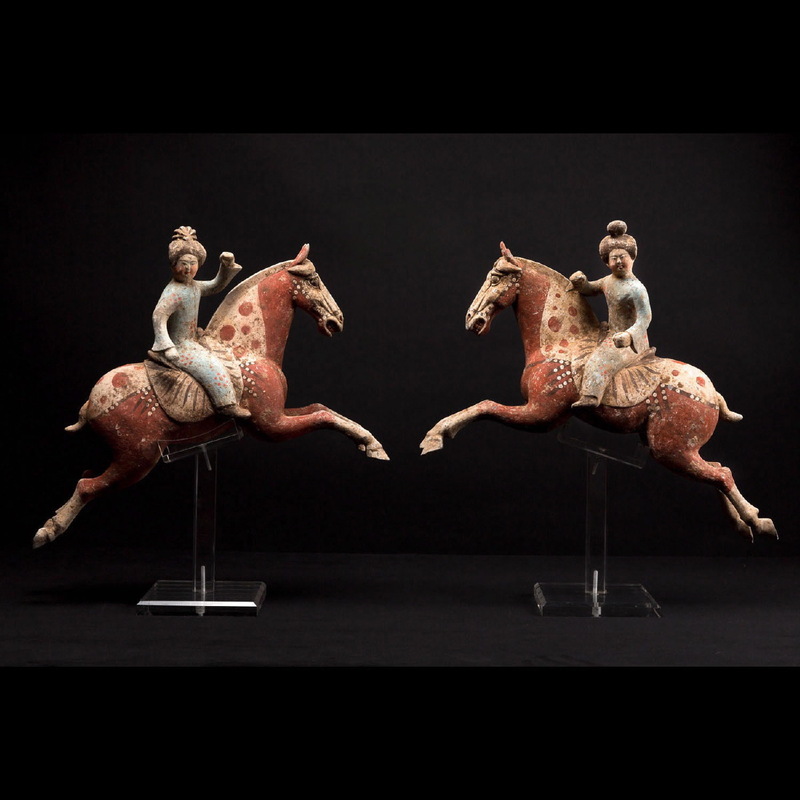 Their horses, full of energy and incredible movement, and their dancers and fat court ladies are a must for any collector. 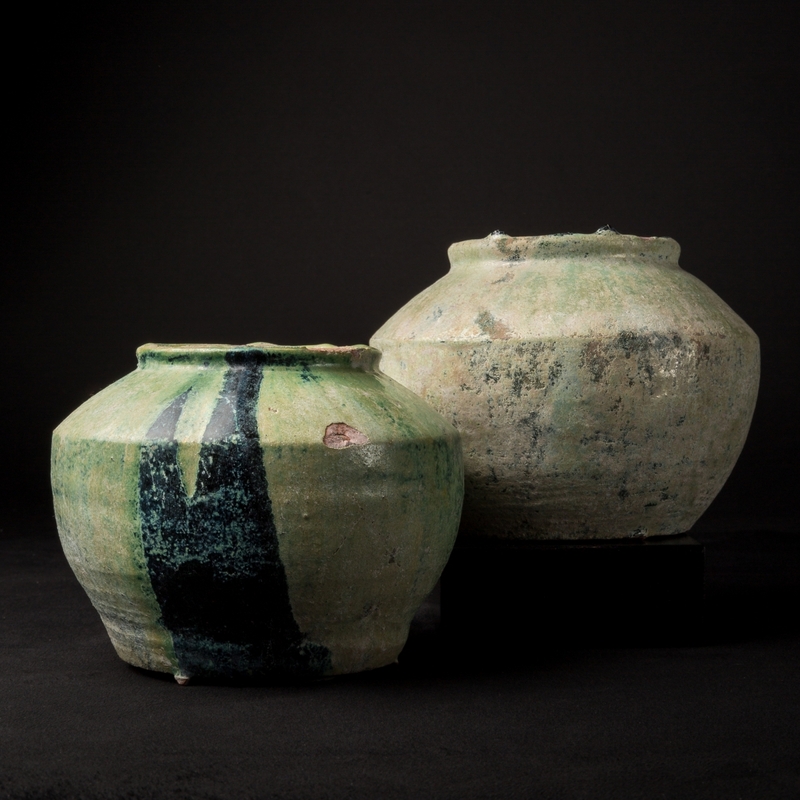 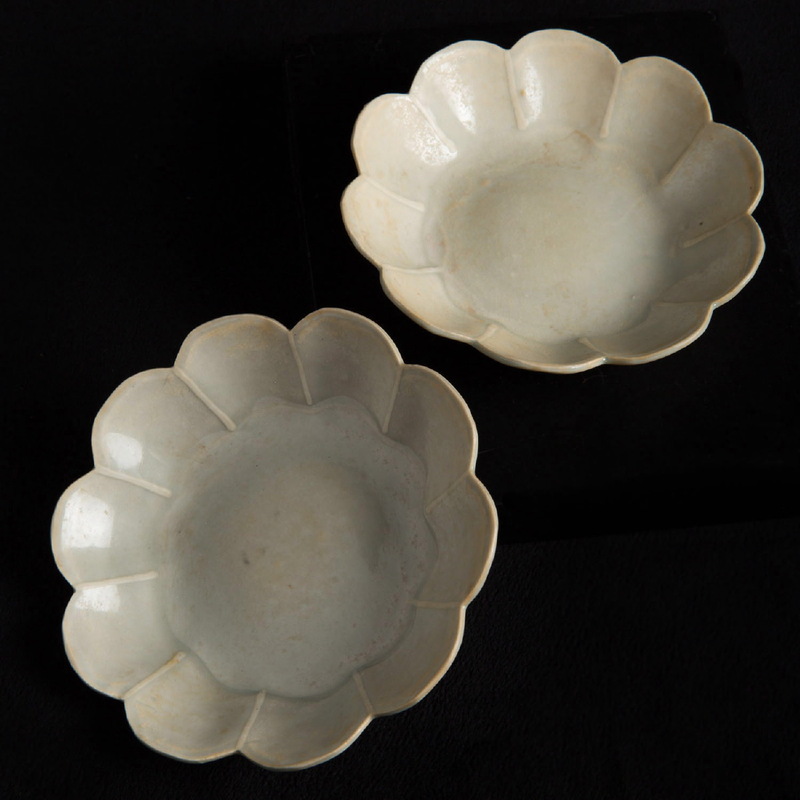 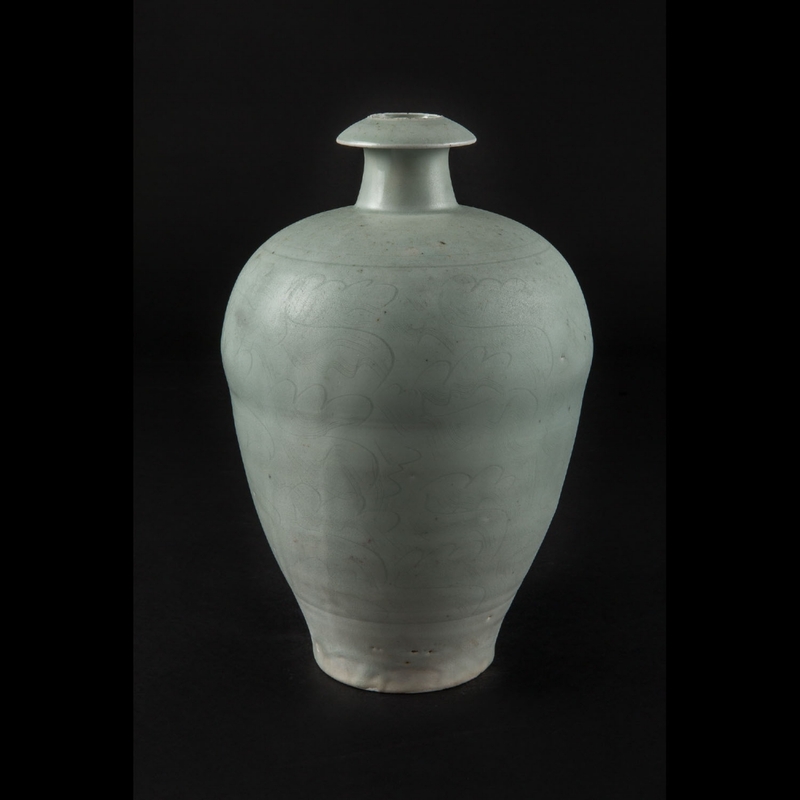 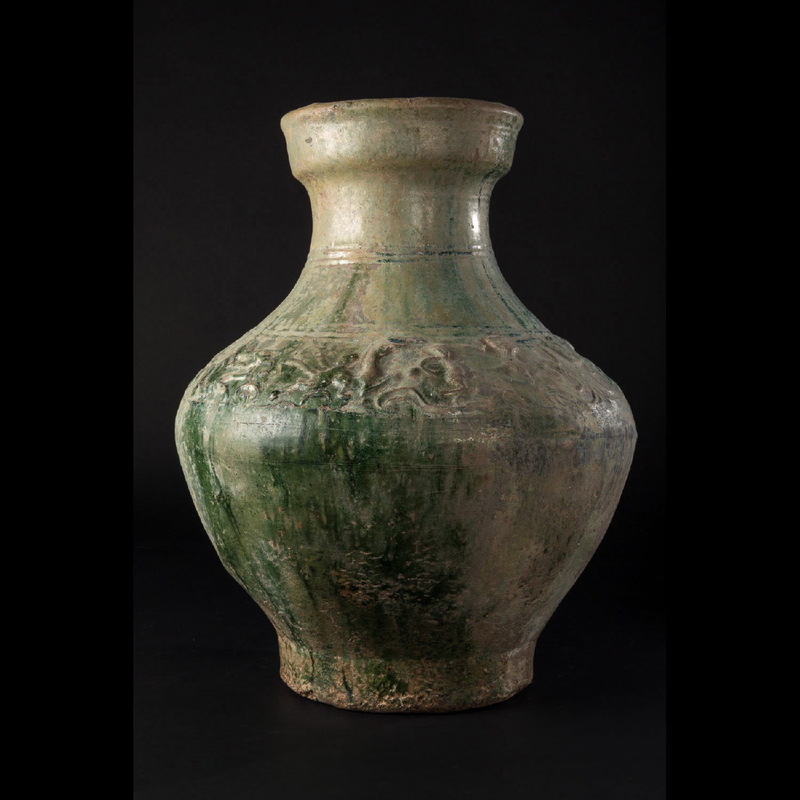 Song and Liao dedicated most of their art to this special celadon colour, inventing wares with perfect lines and exquisite pale glazes. 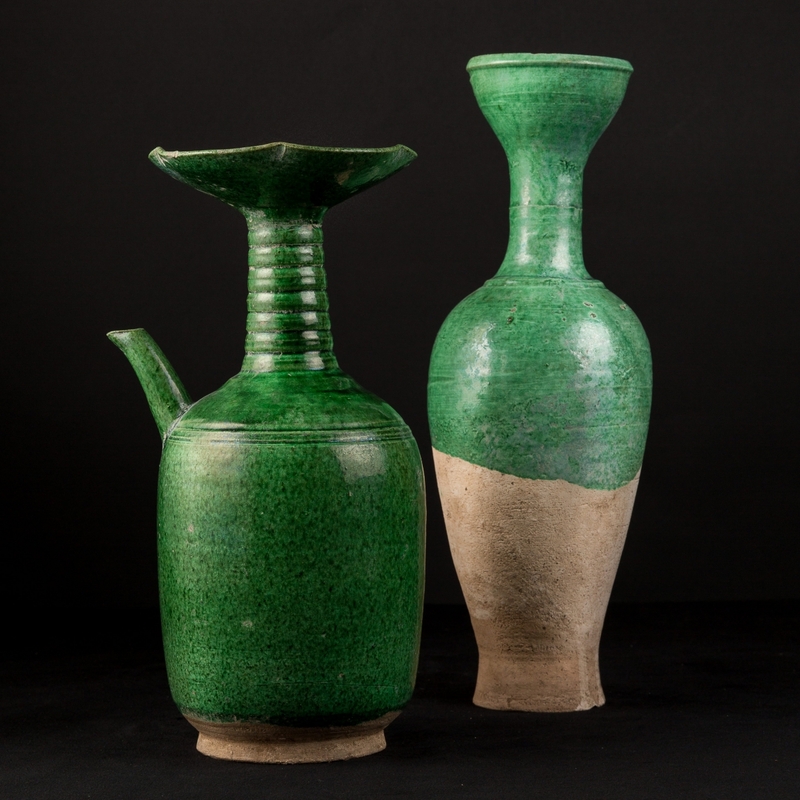 Galerie Golconda never misses these pleasant vases and cups in the selections. 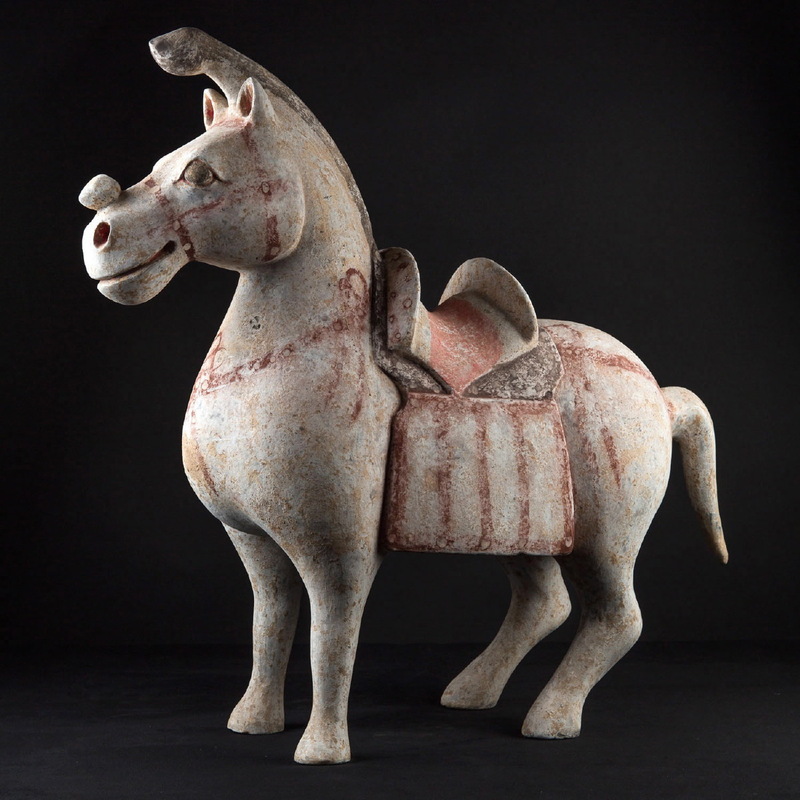 The Ming art and production was ruled under imperial factories, reaching a high degree of perfection. 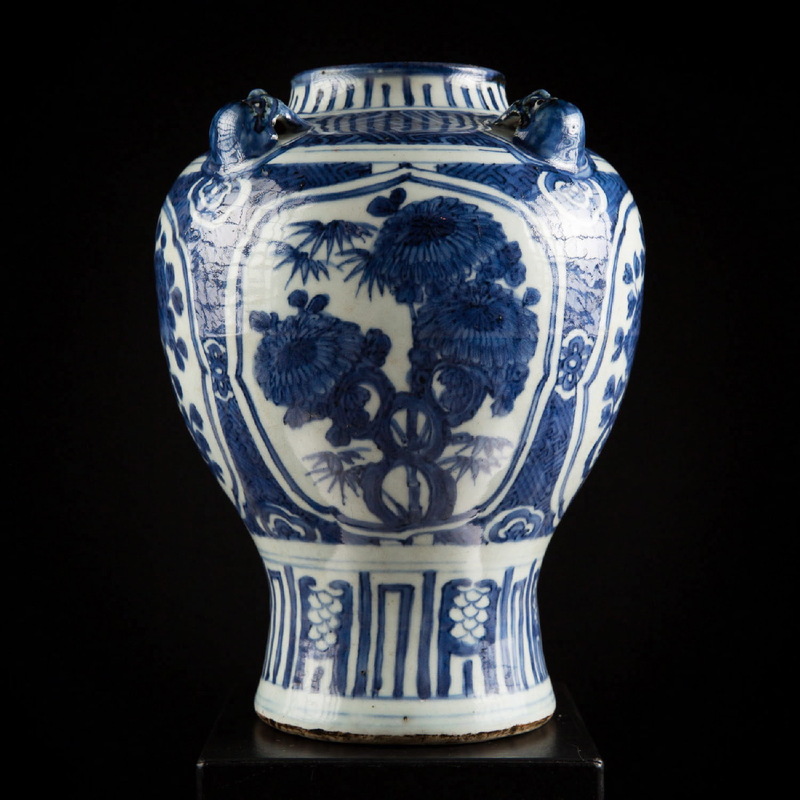 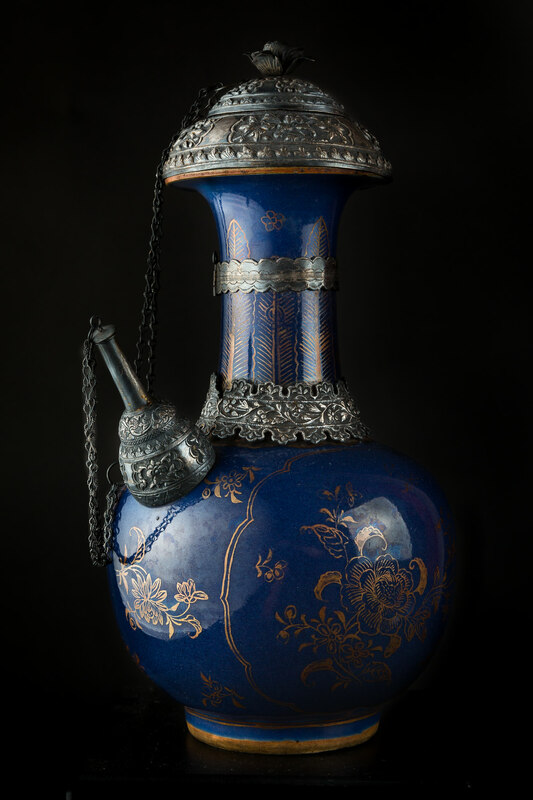 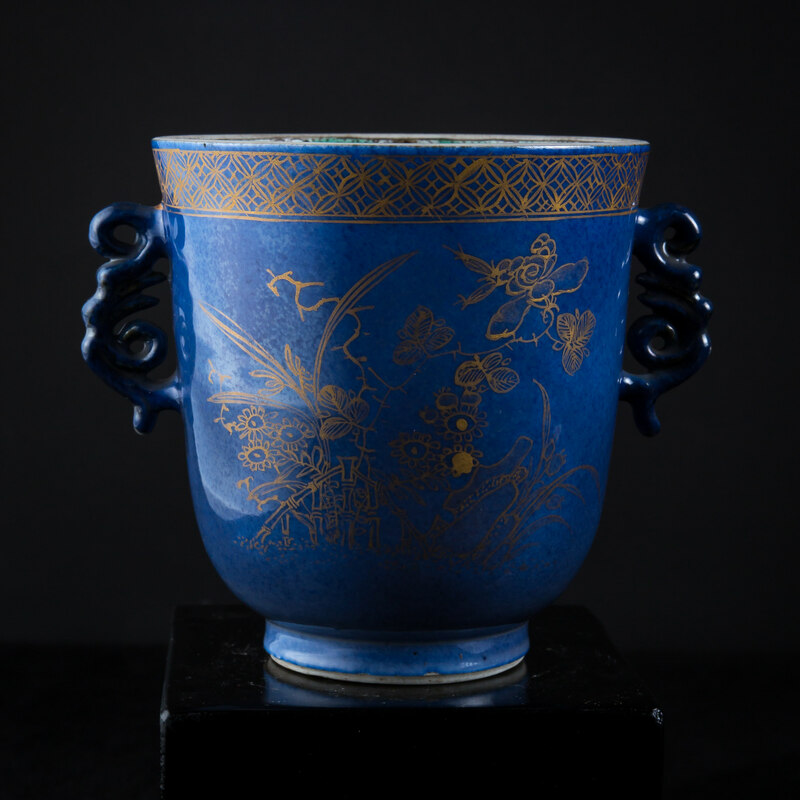 It witnessed the apogee of fine porcelain vessels painted with Persian blue cobalt and many special wares were exported on an unprecedented scale. 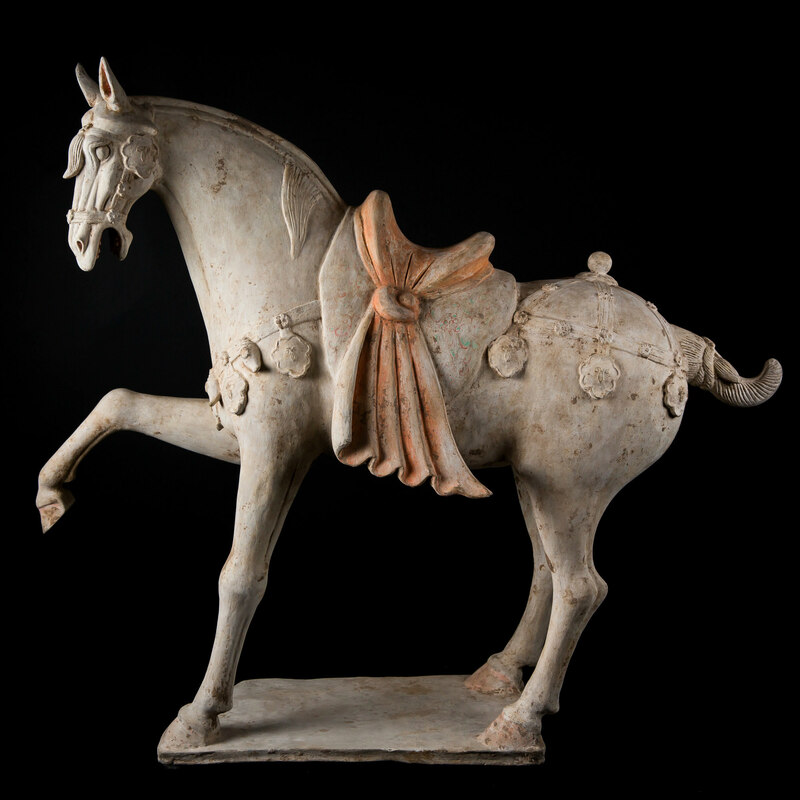 Chinese art, while adapting perfectly to each dynasty and easily recognizable, is always marked by an unusual degree of continuity and coherence. 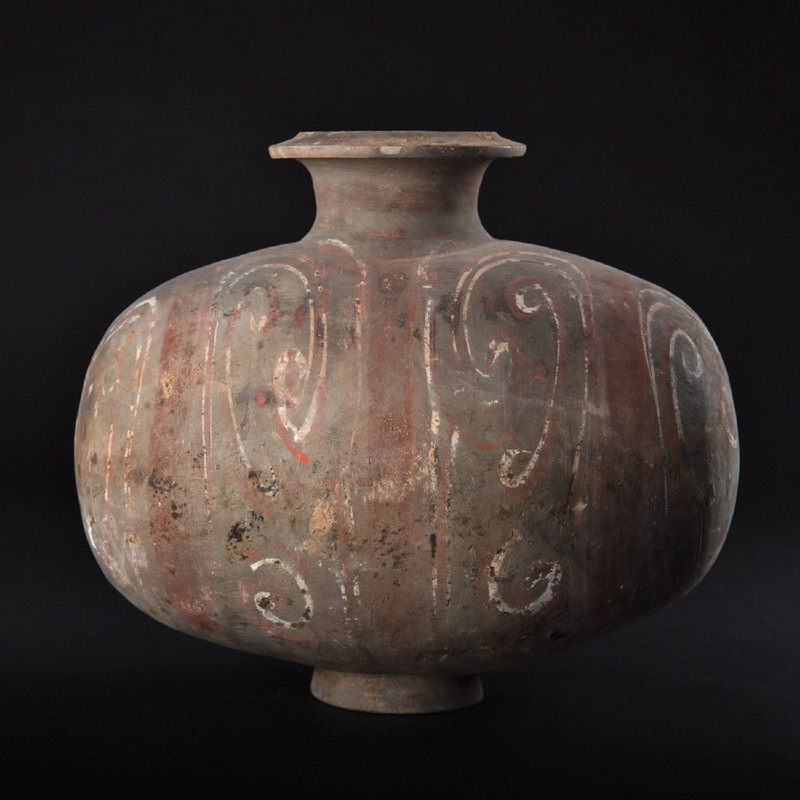 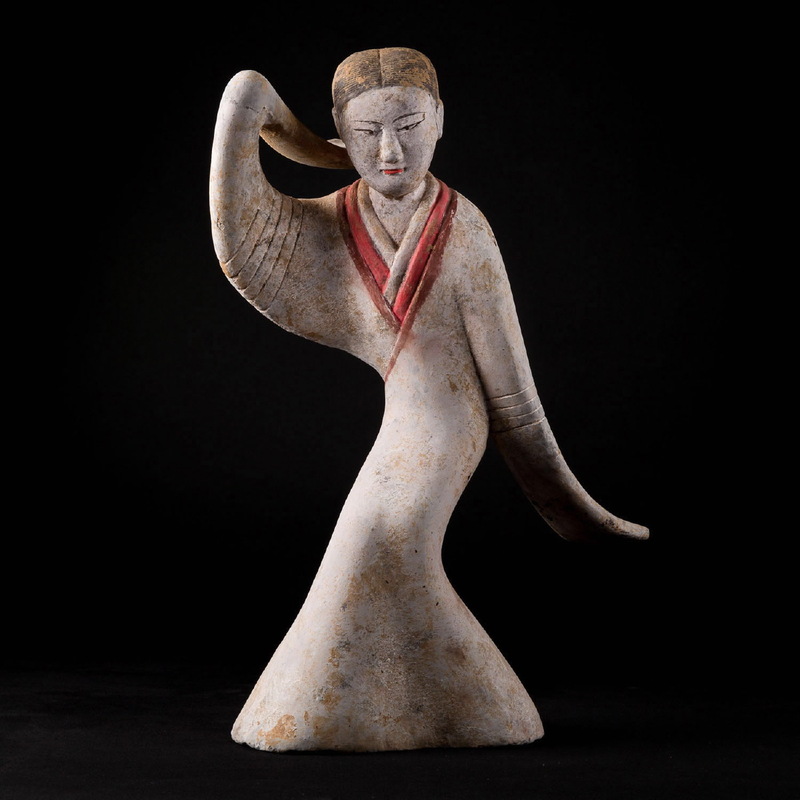 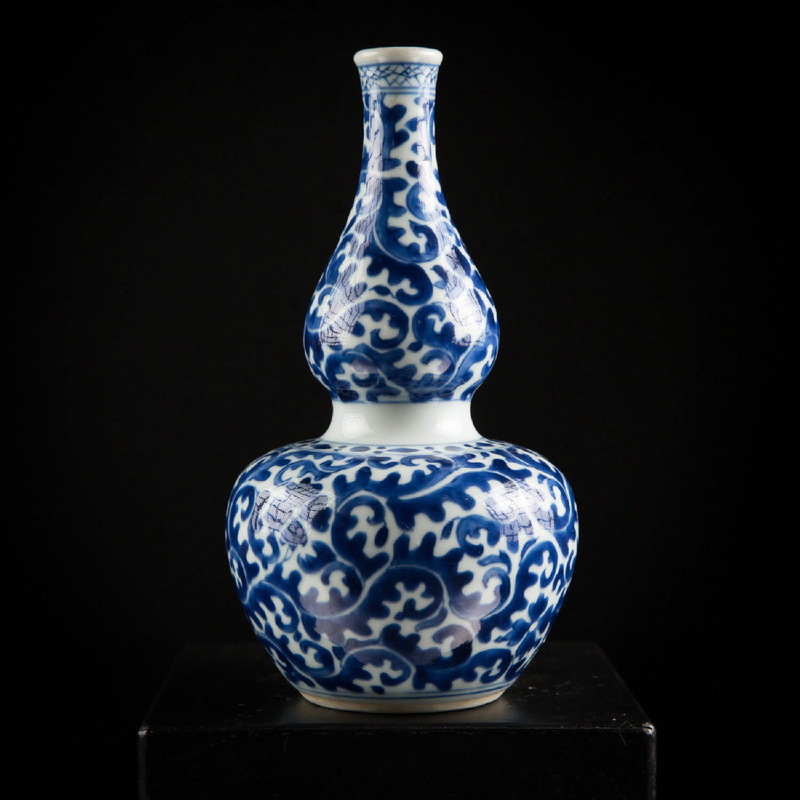 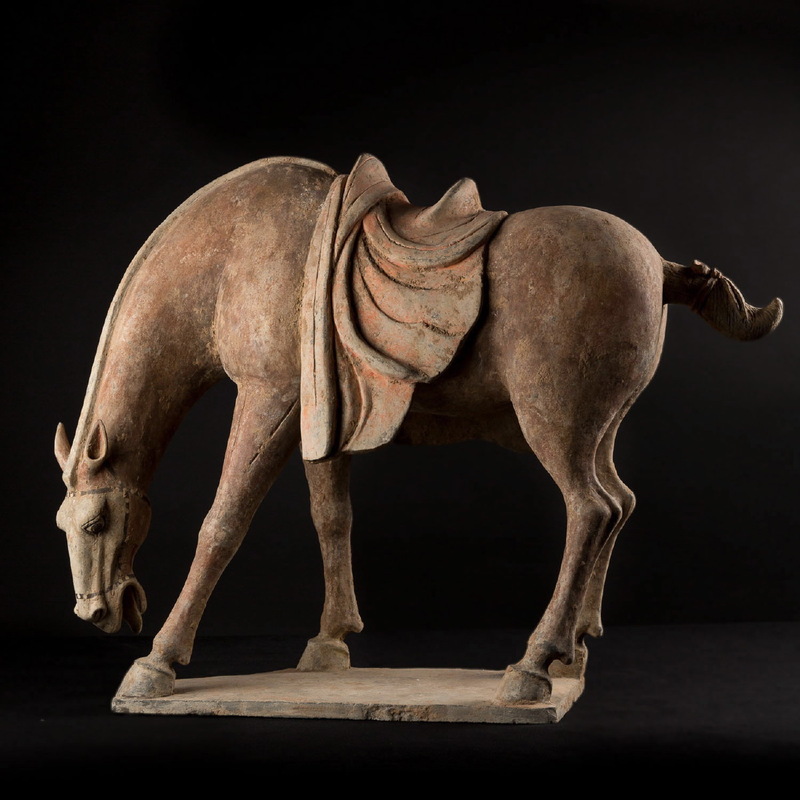 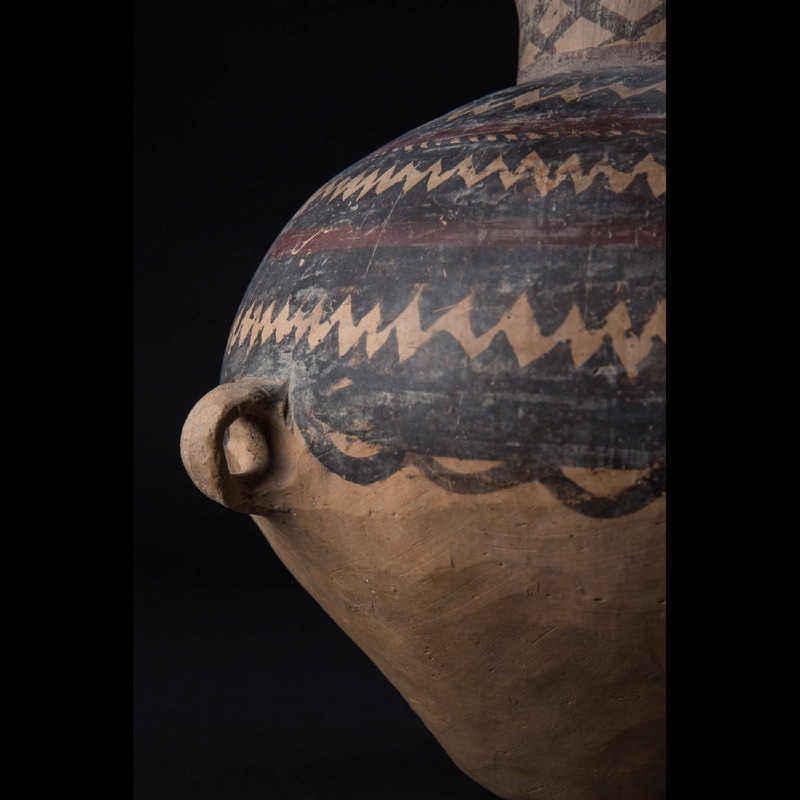 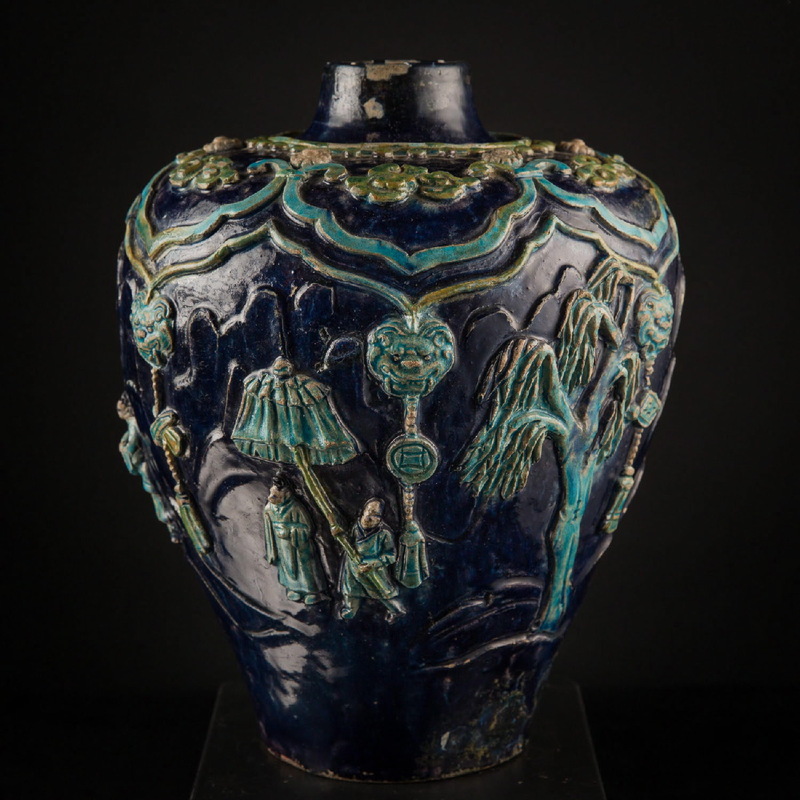 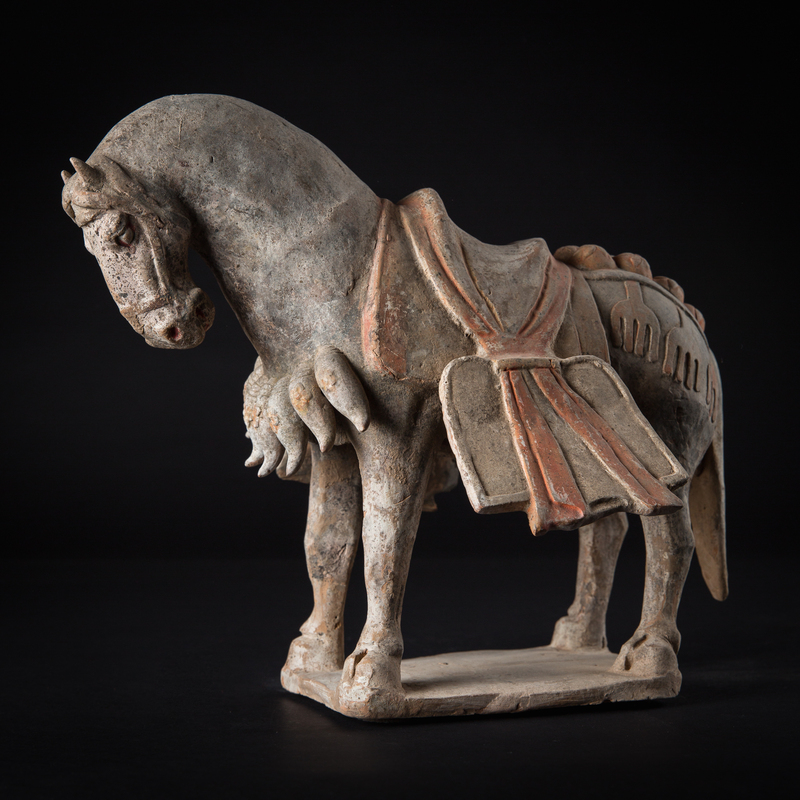 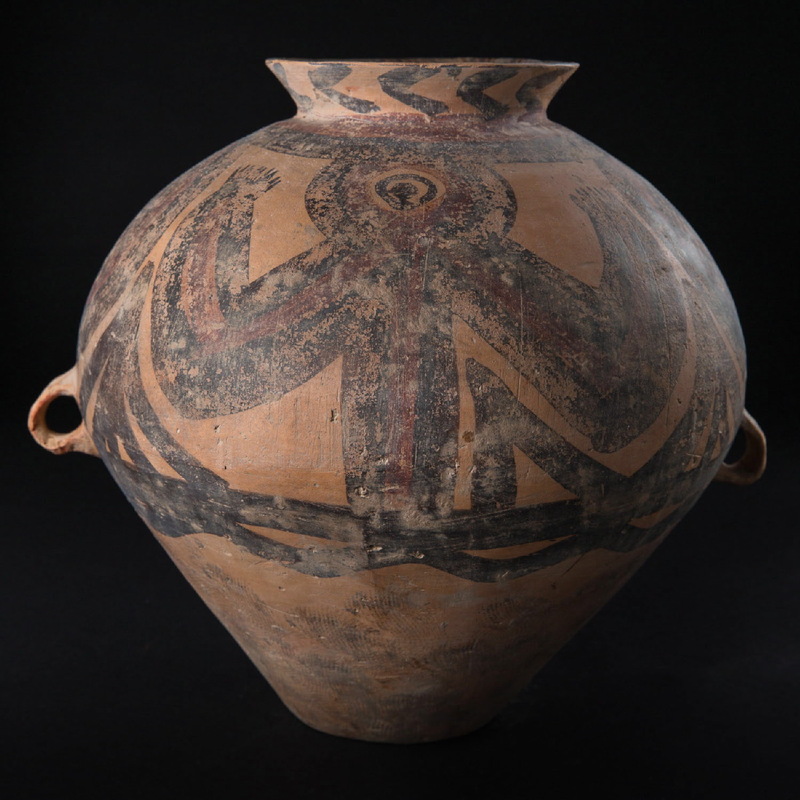 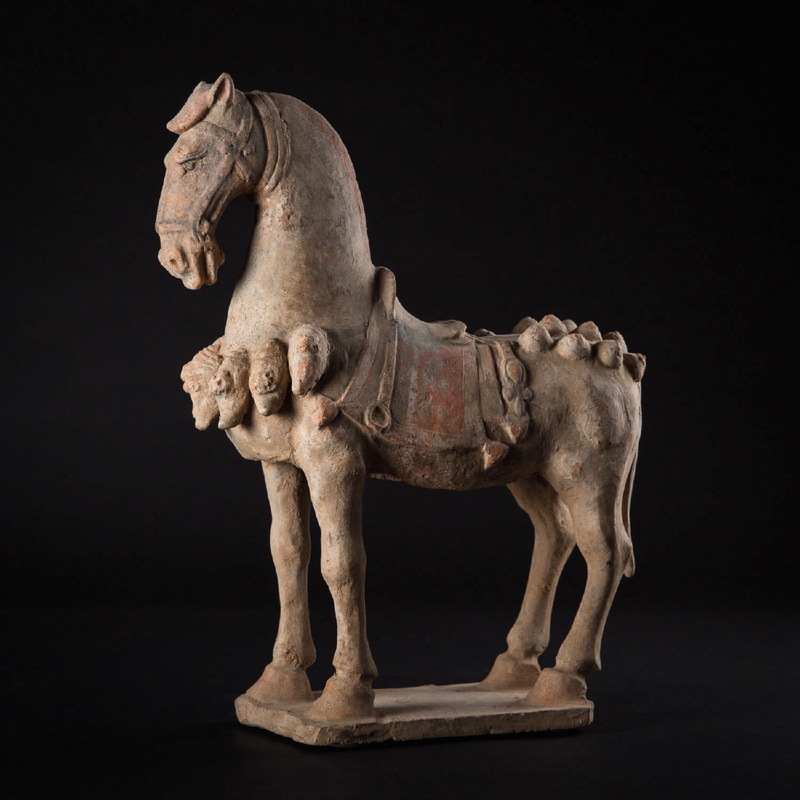 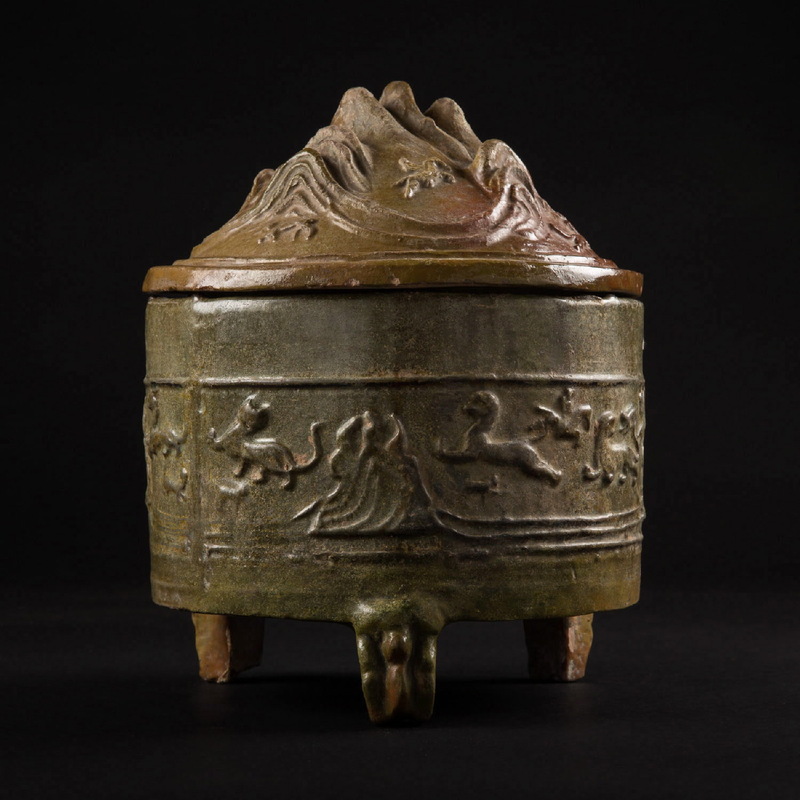 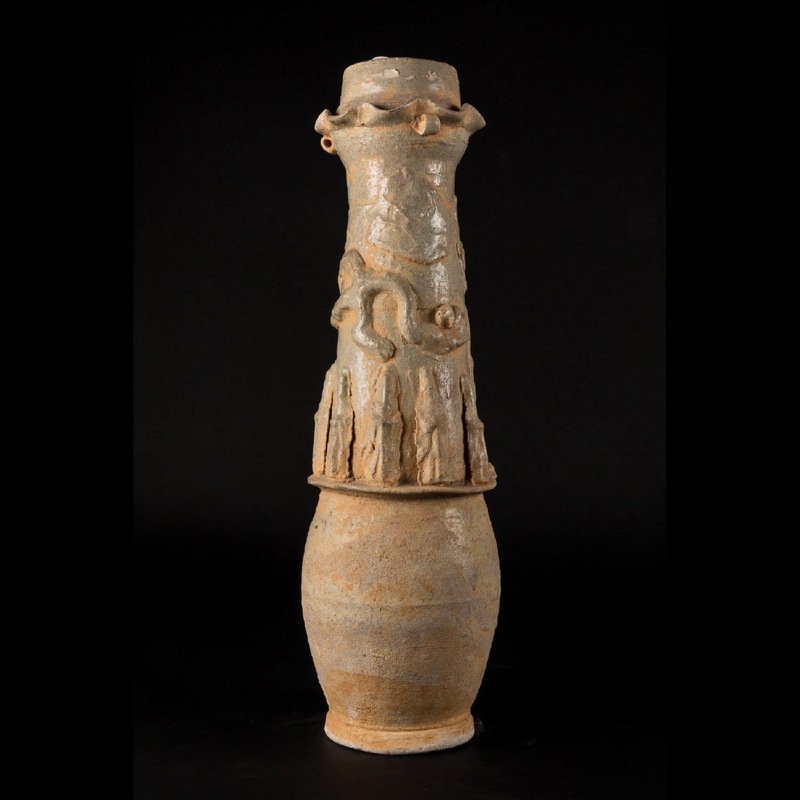 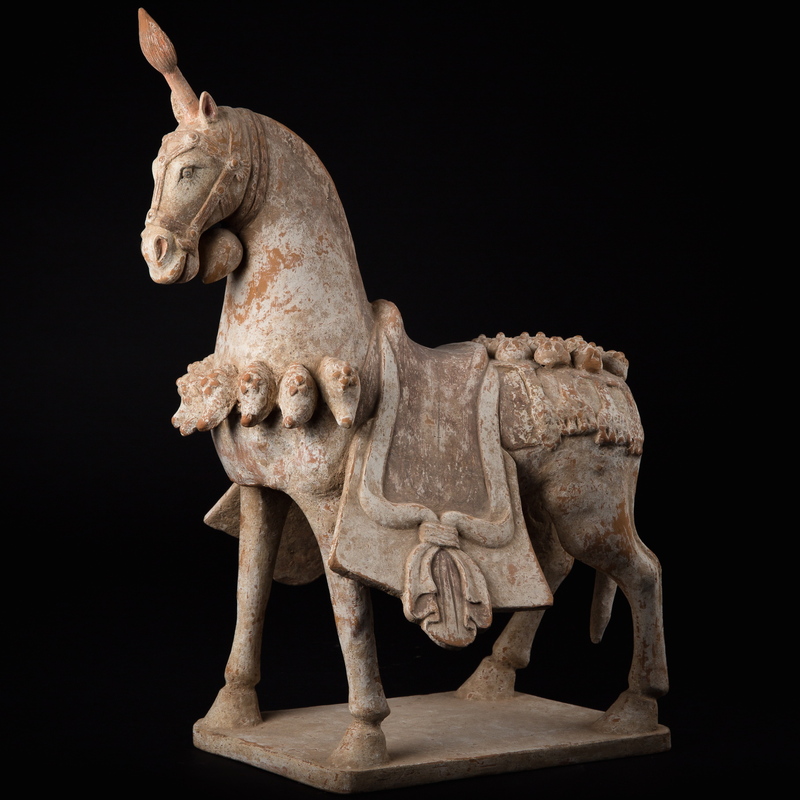 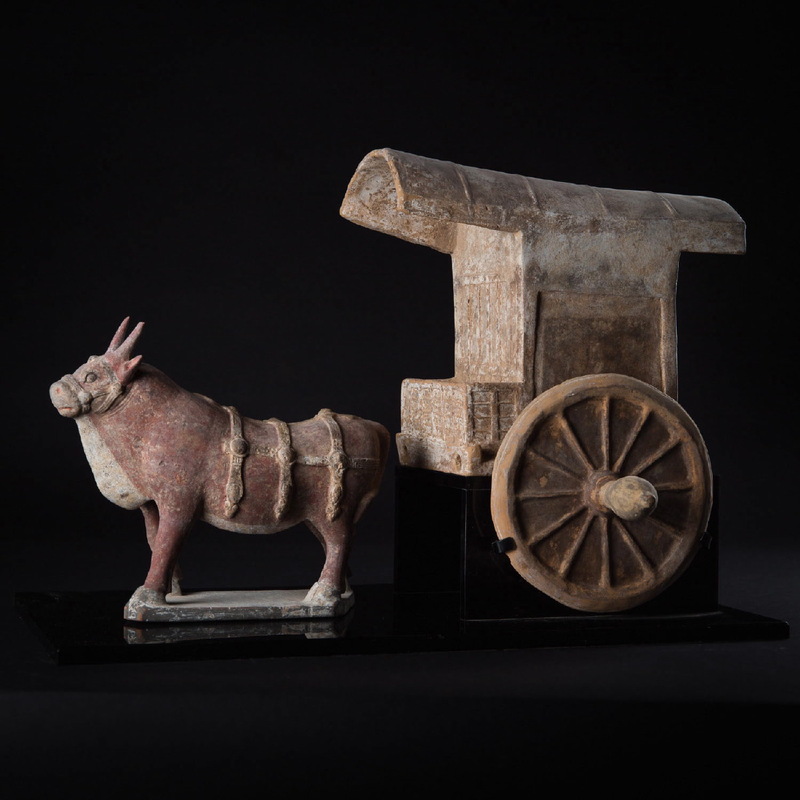 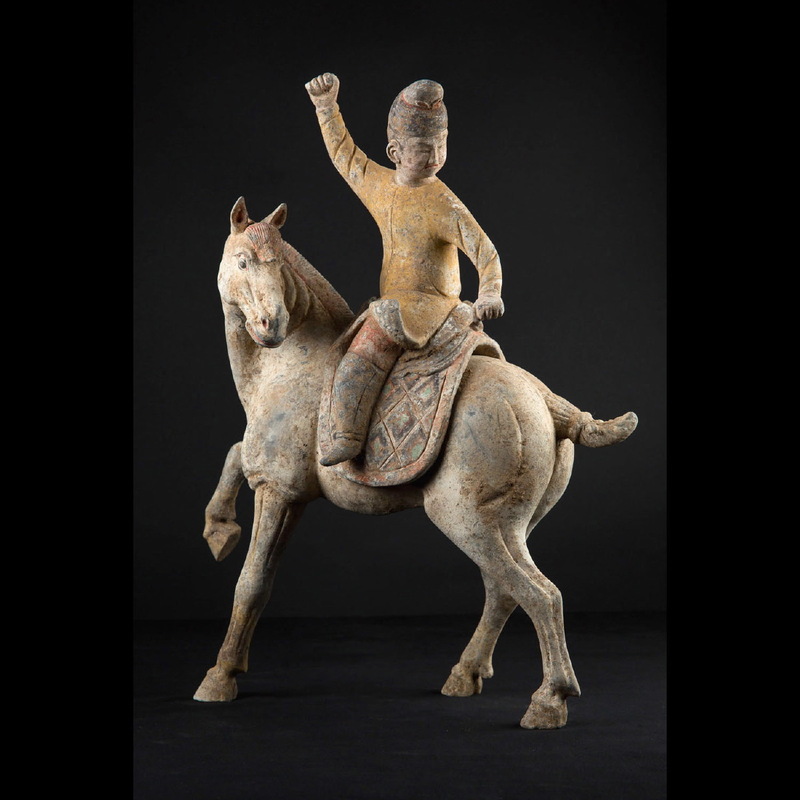 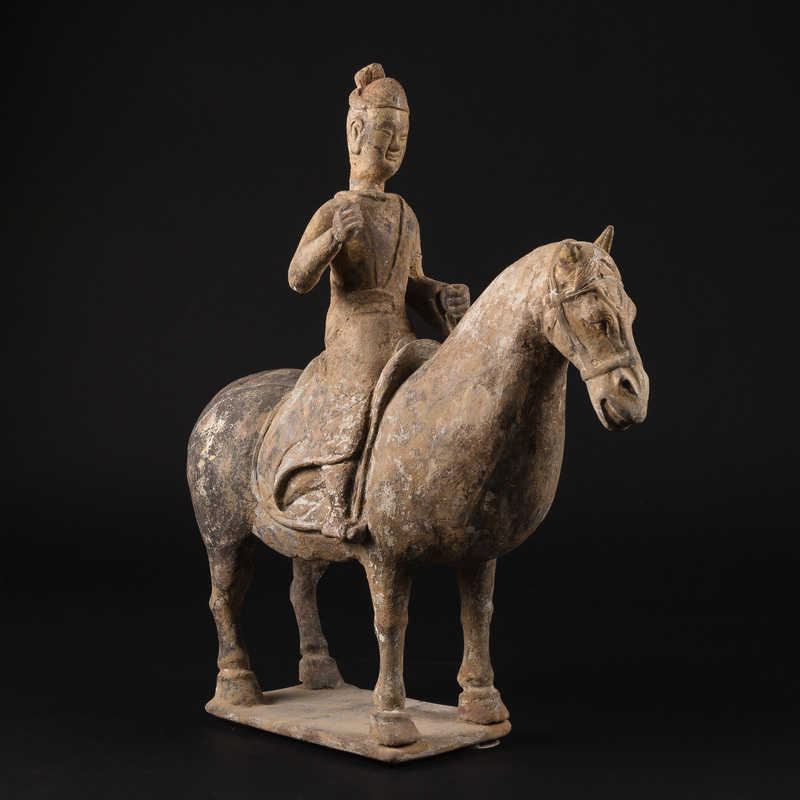 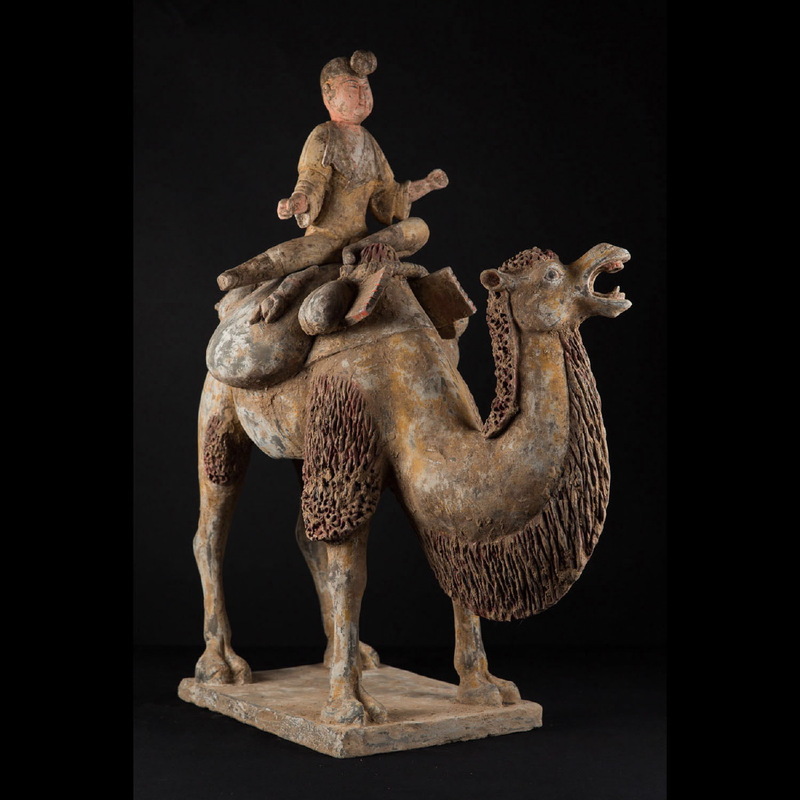 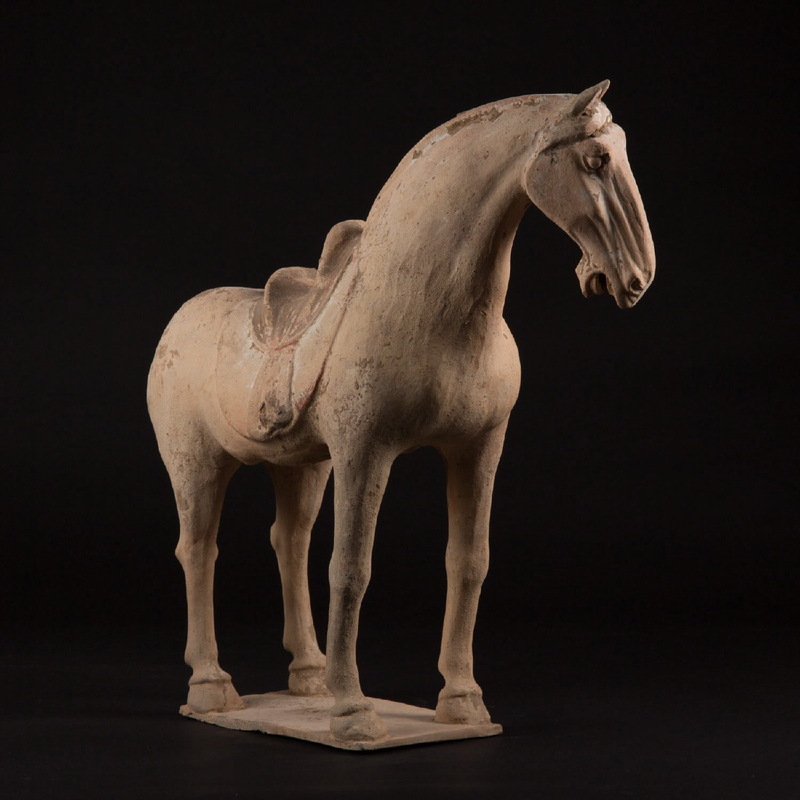 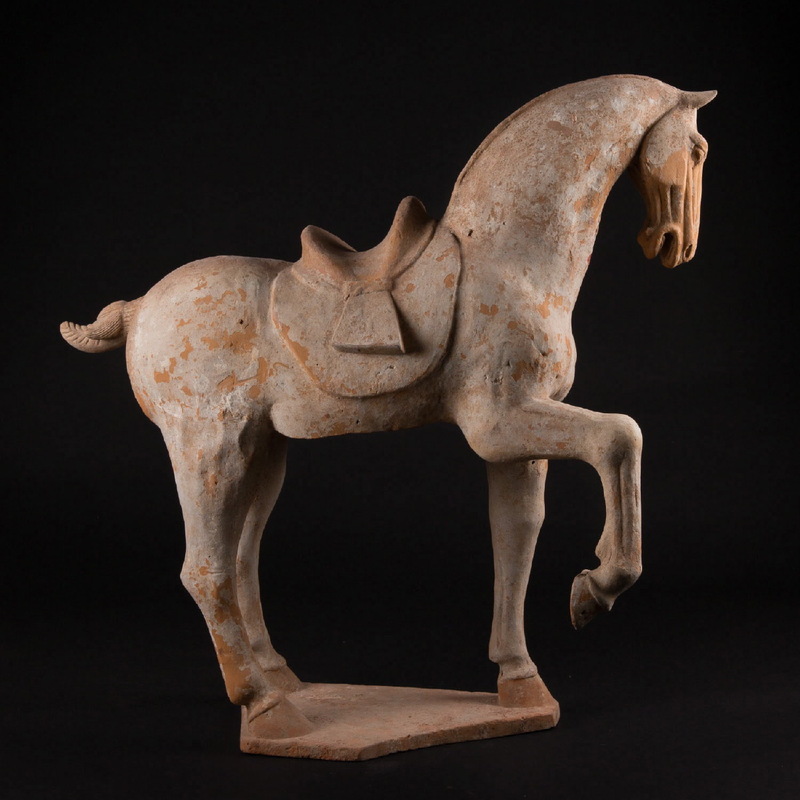 The recent globalization of the market has helped the re-discovery of Chinese art, placing it among the best possible investment in ancient art.